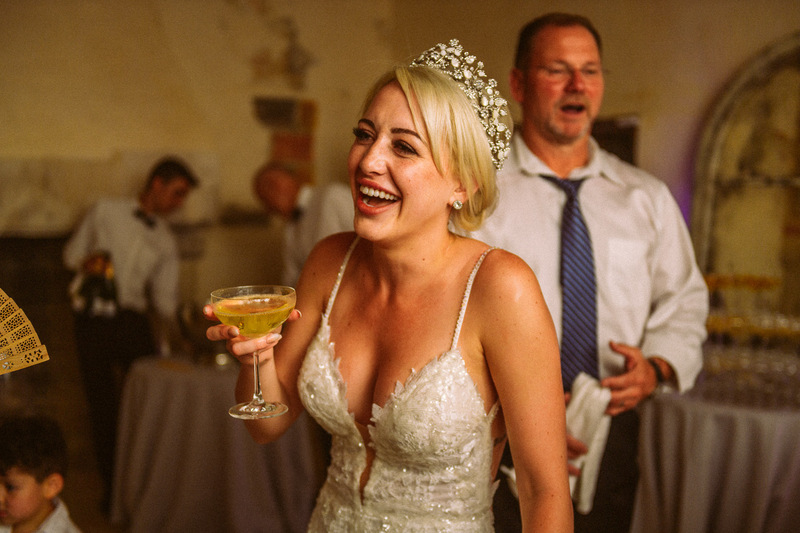 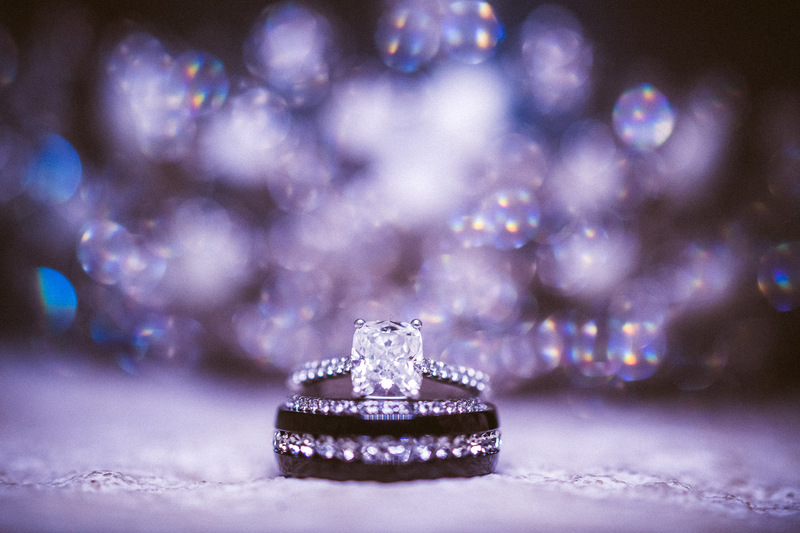 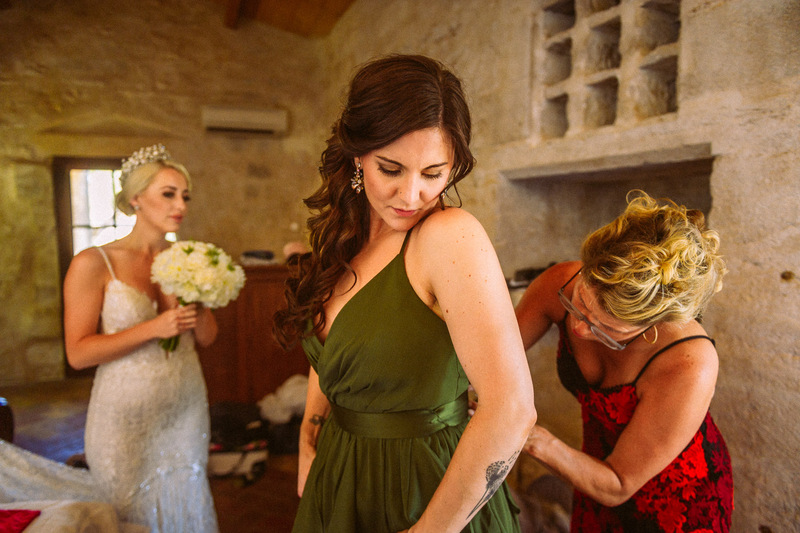 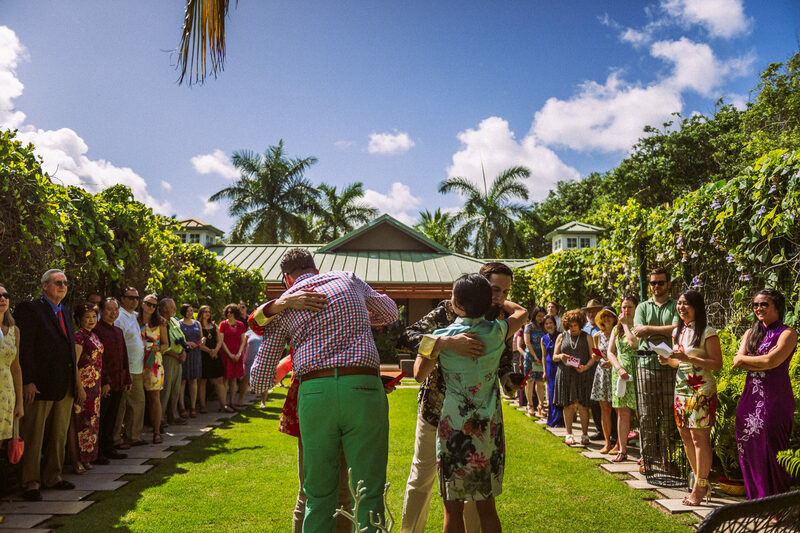 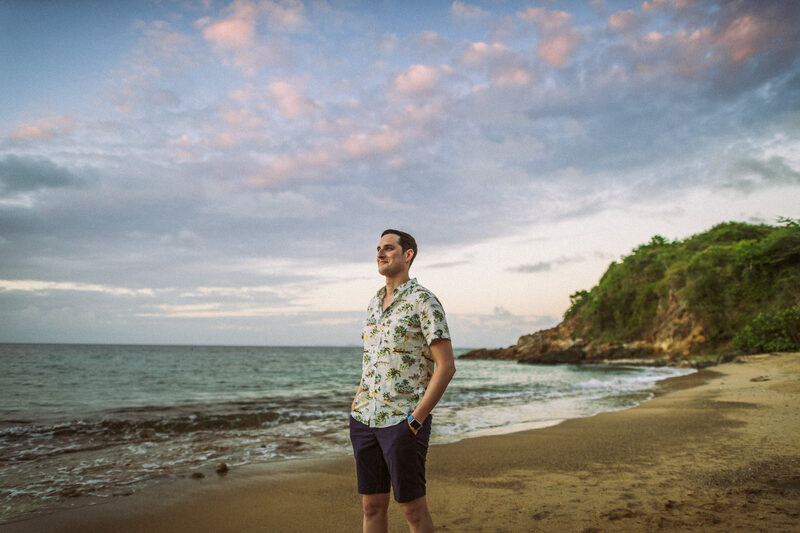 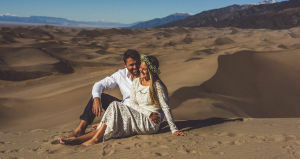 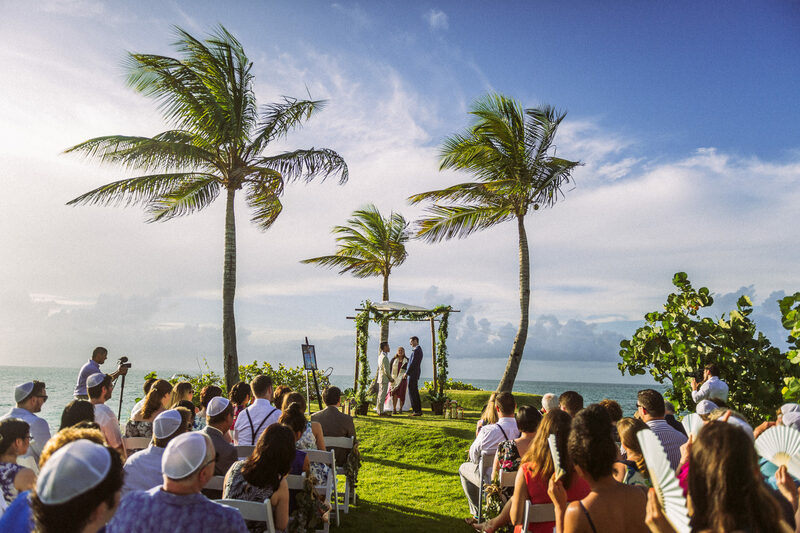 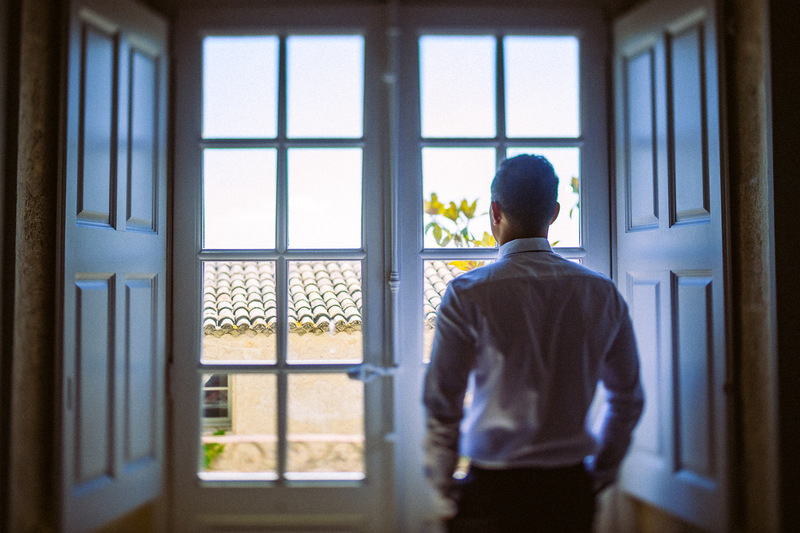 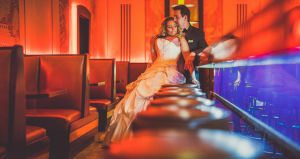 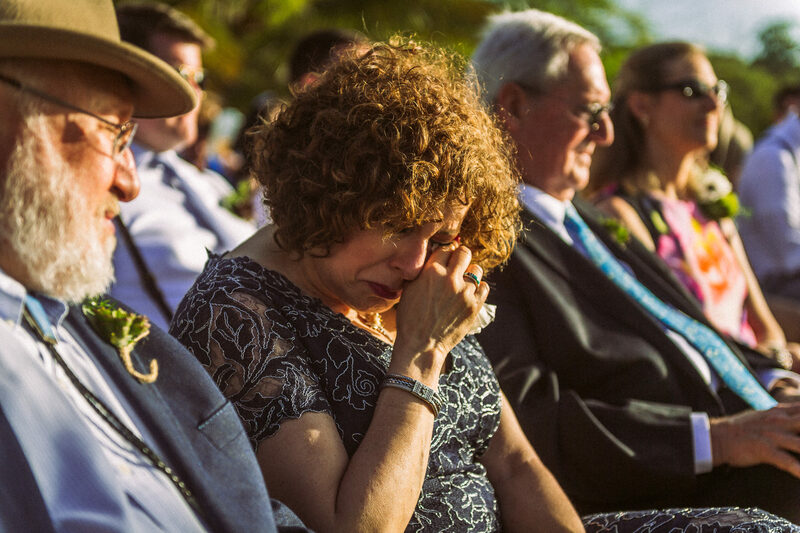 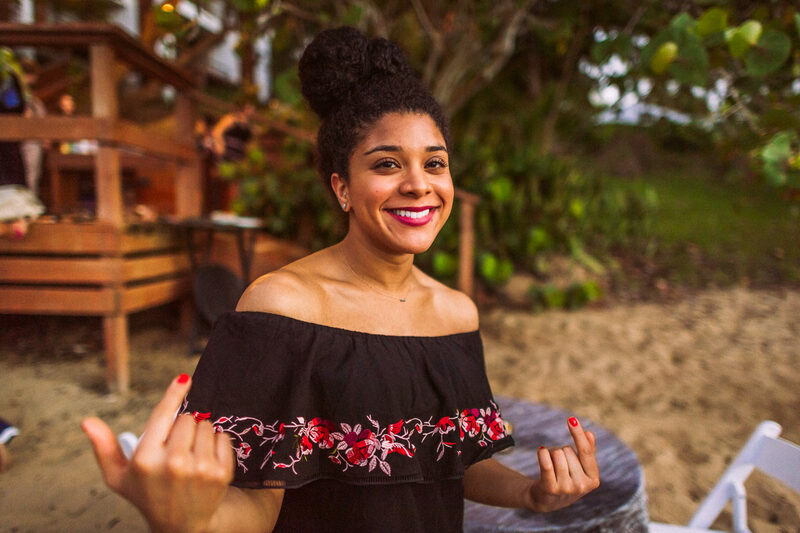 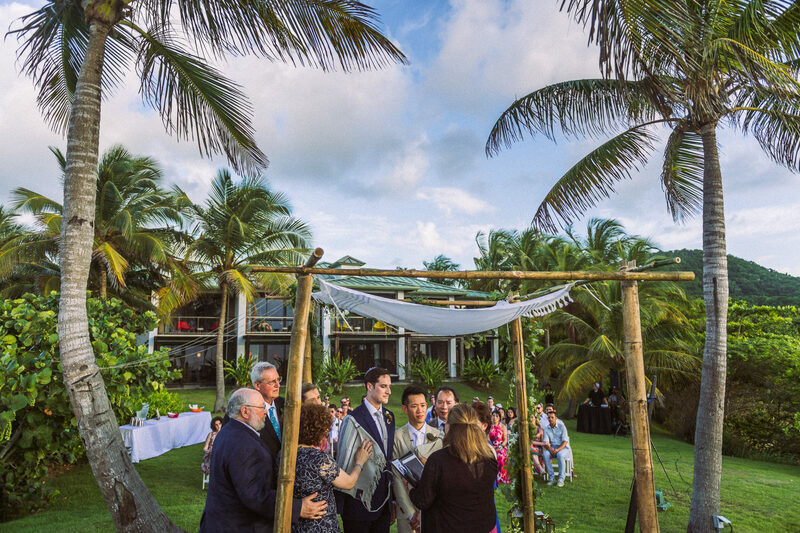 I’ve had a lucky year already with destination weddings, coming hot off a trip to Puerto Rico and one in the chamber for an event in Greece, these types of wedding adventures are right up my alley for traveling to other parts of the world to help people celebrate their love with family and friends. 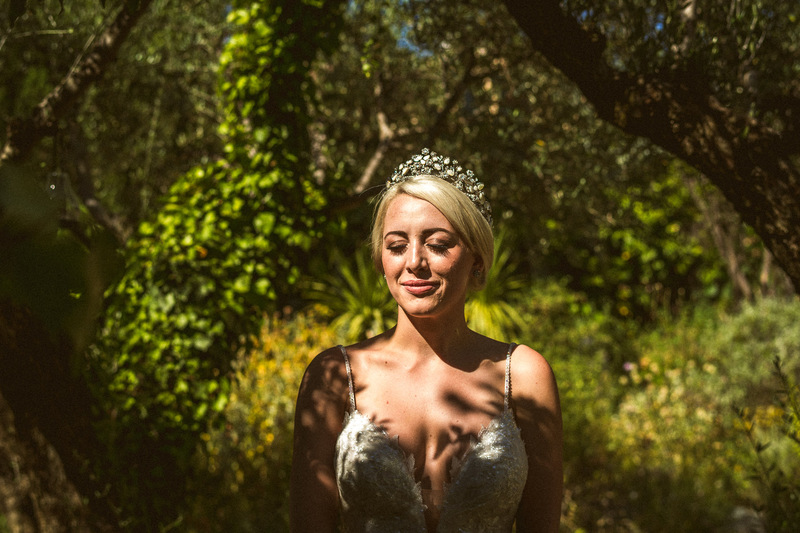 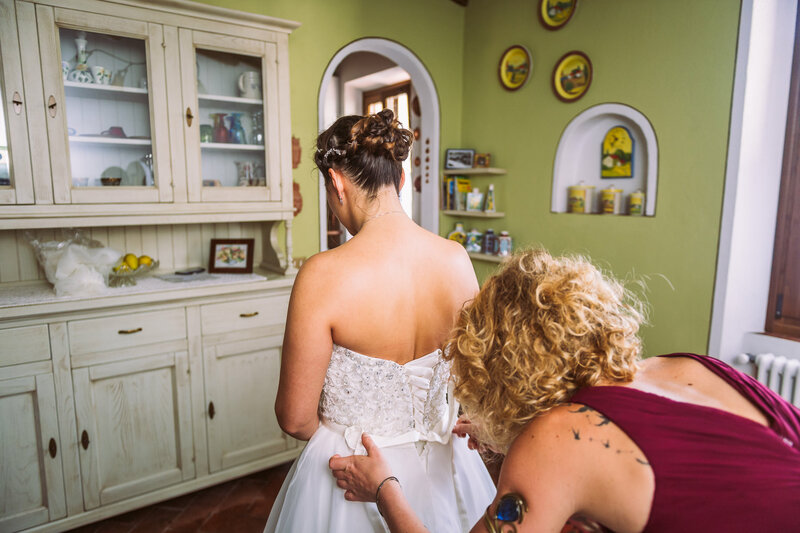 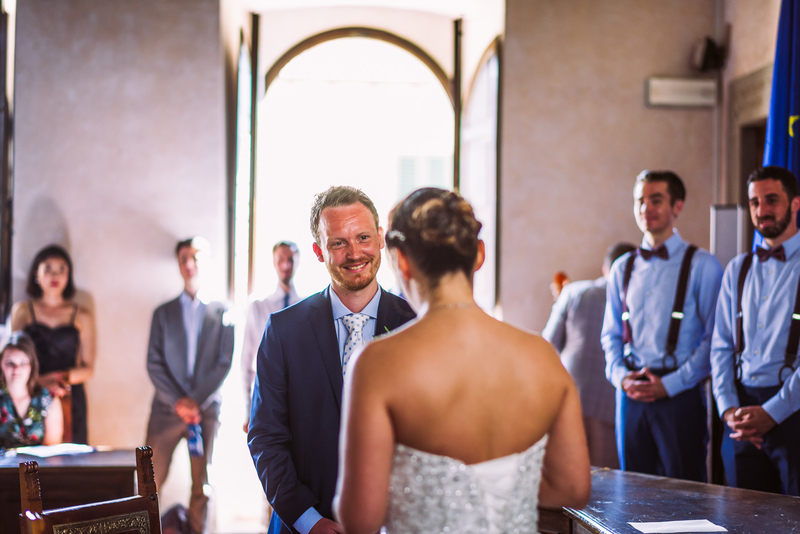 I’ve been looking forward to this wedding in Italy for a long time now and I’m so excited to share the images from Giulia & Sindre’s week long Italian celebration in the mountains of northern Tuscany. 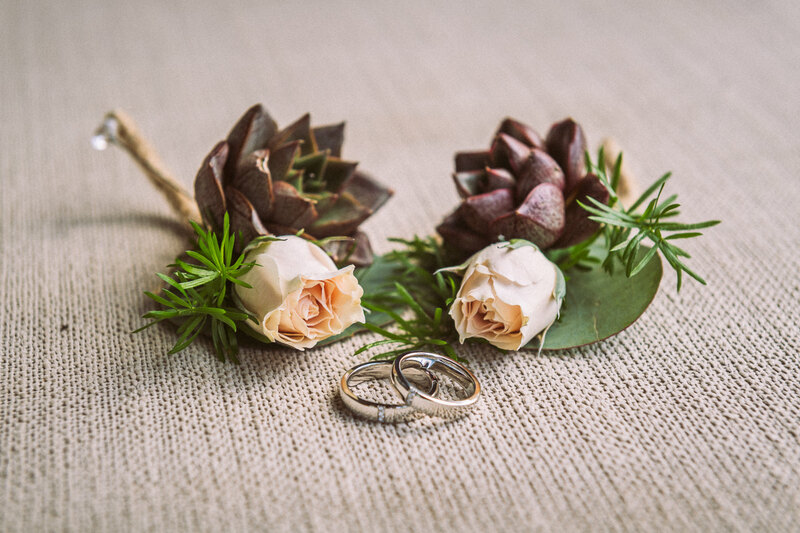 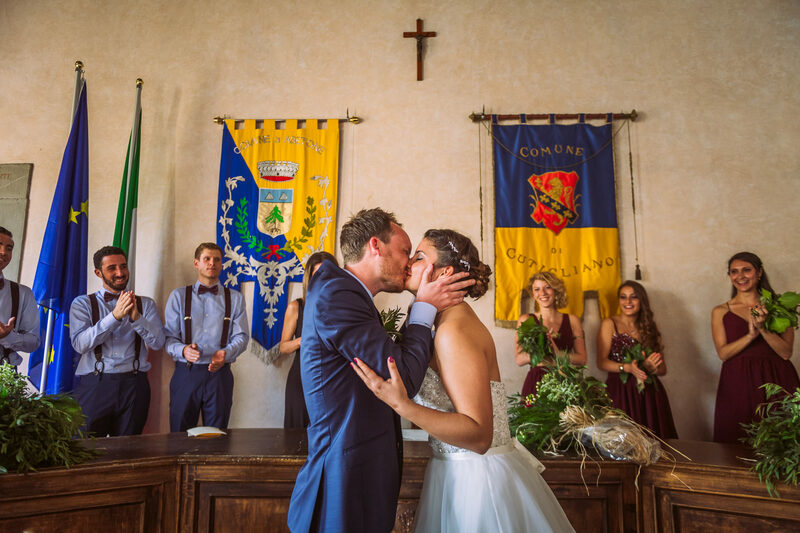 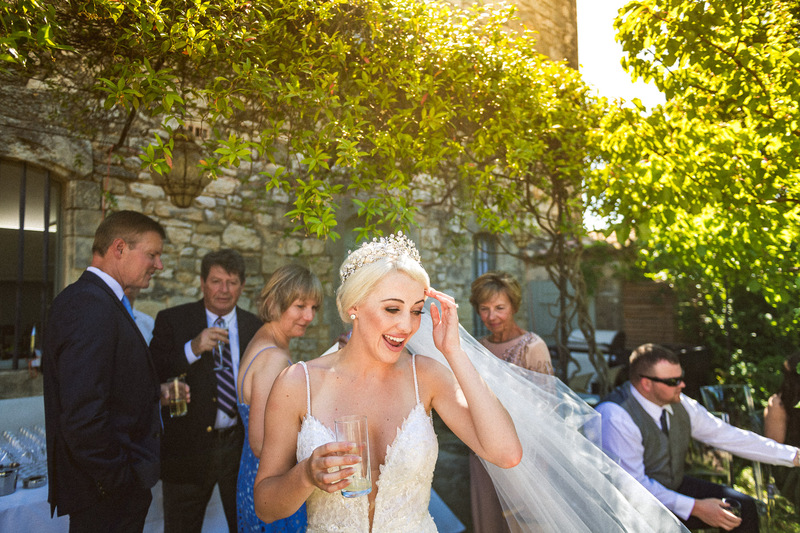 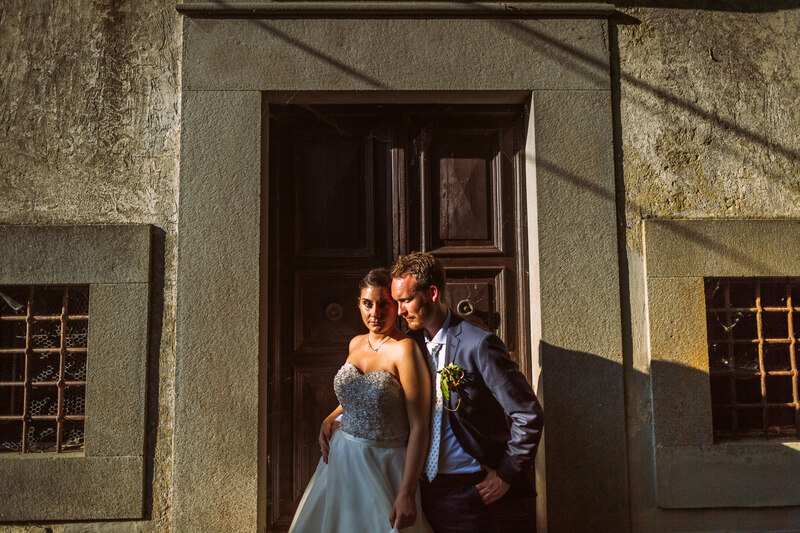 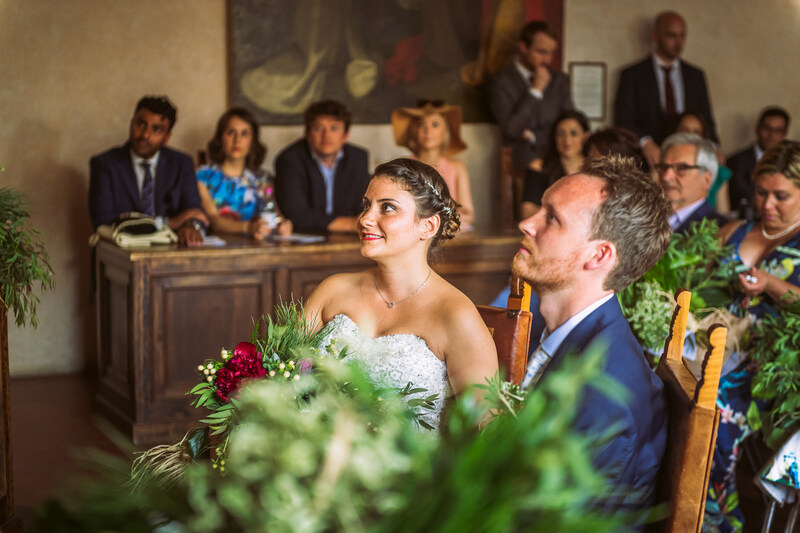 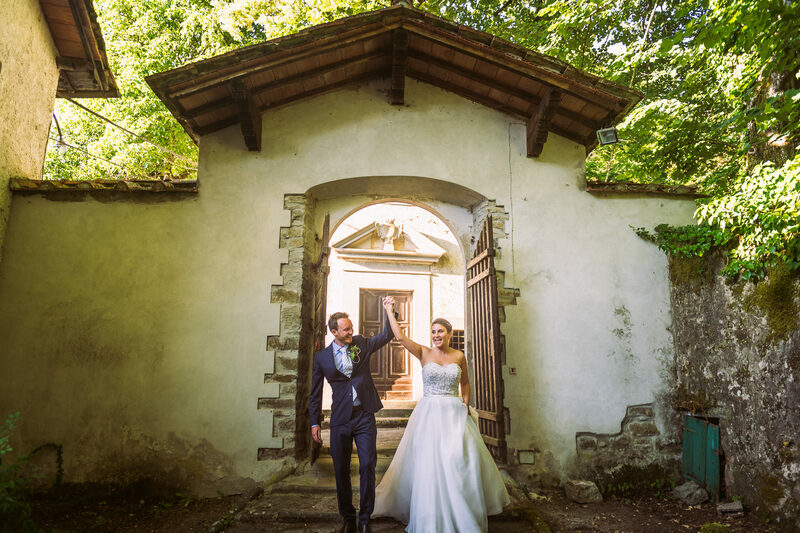 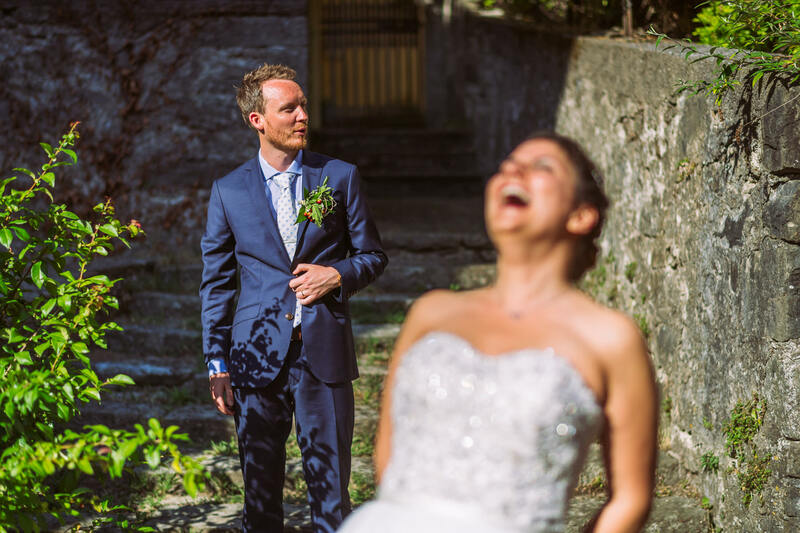 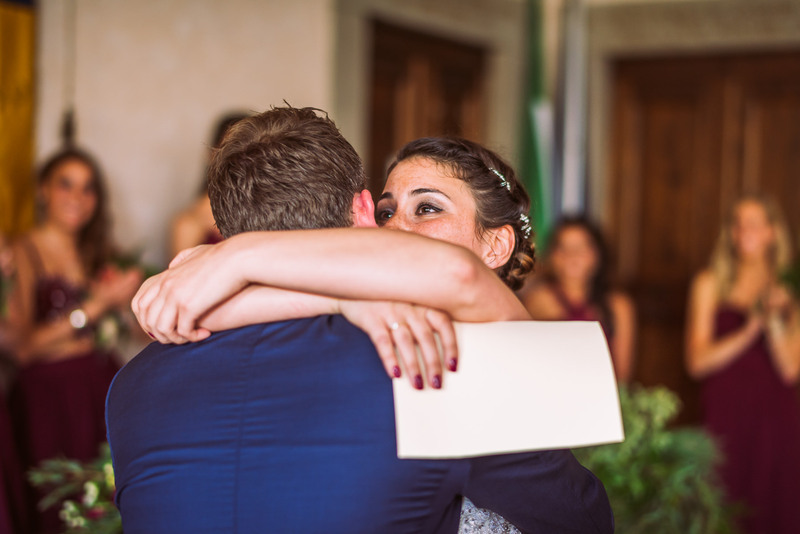 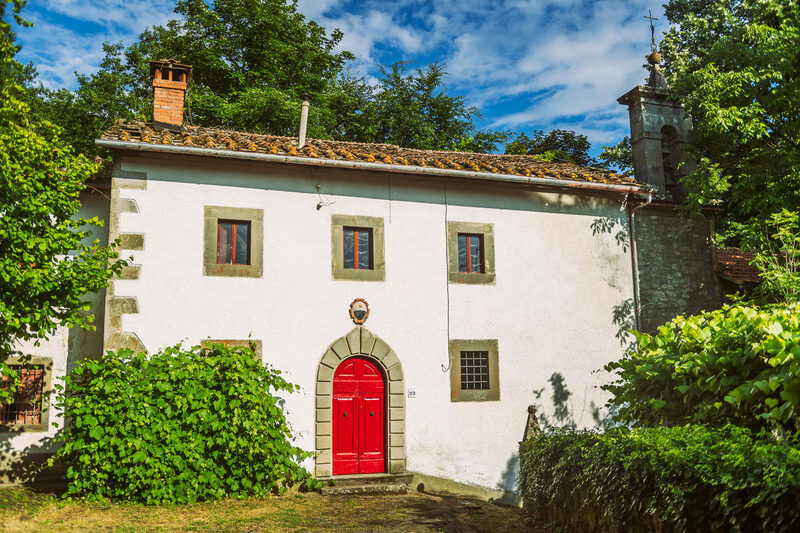 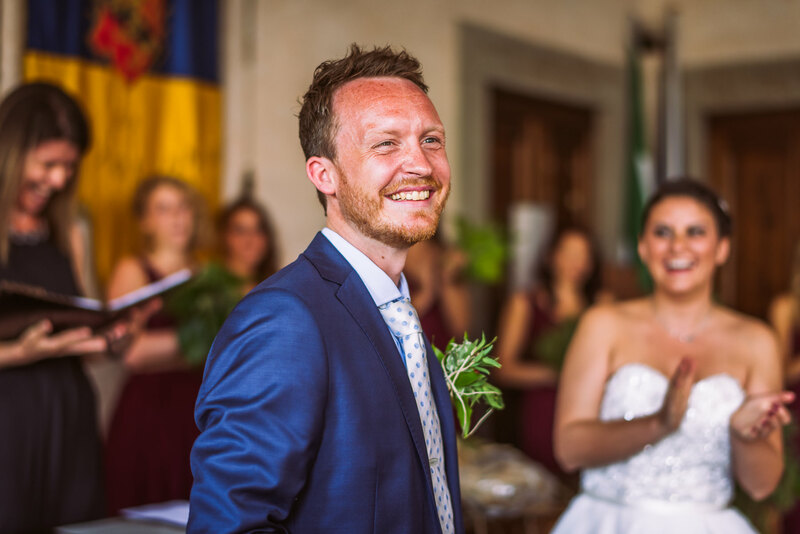 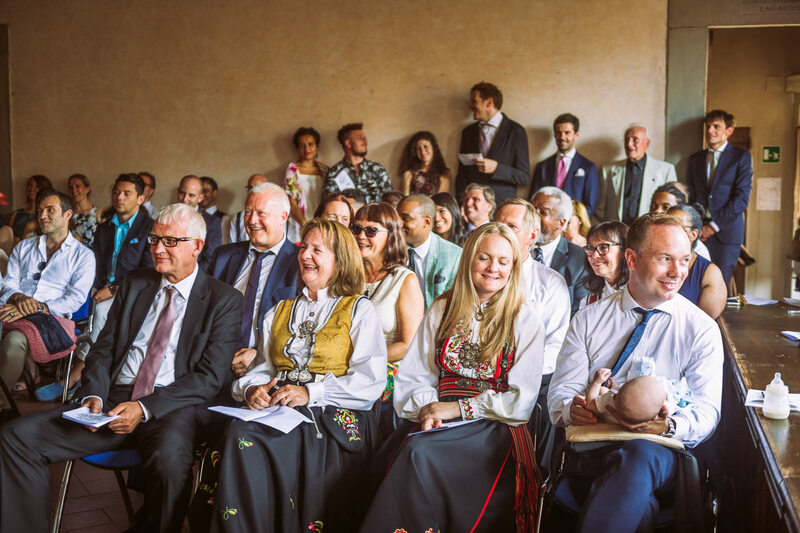 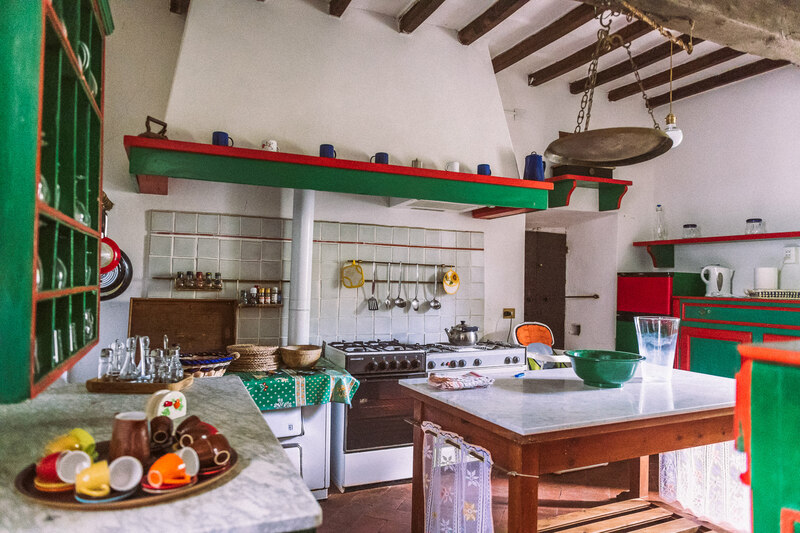 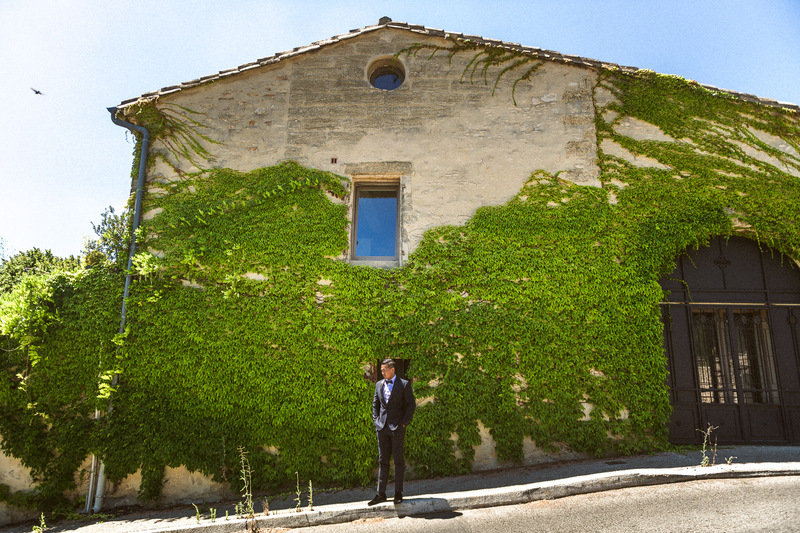 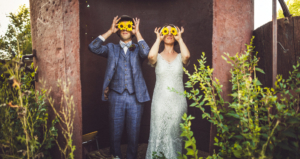 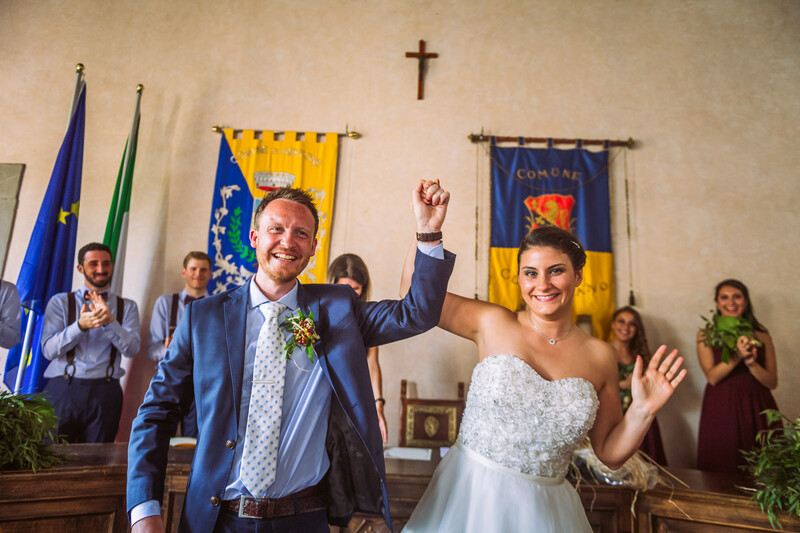 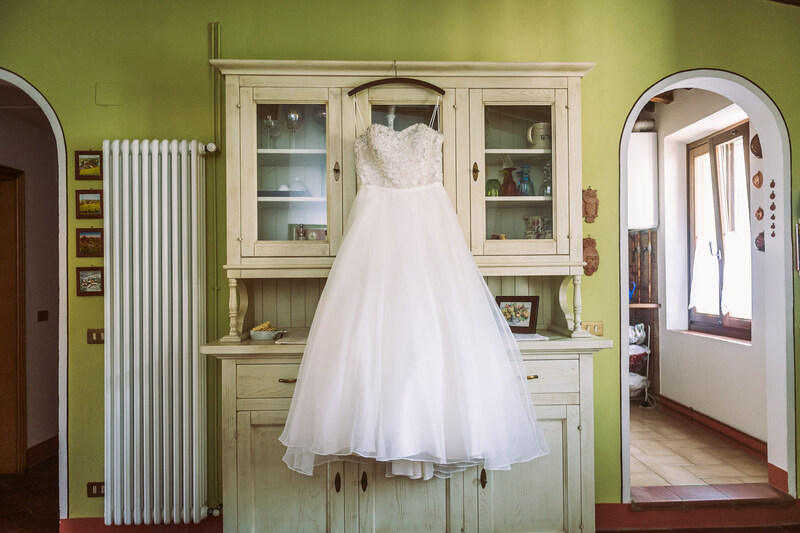 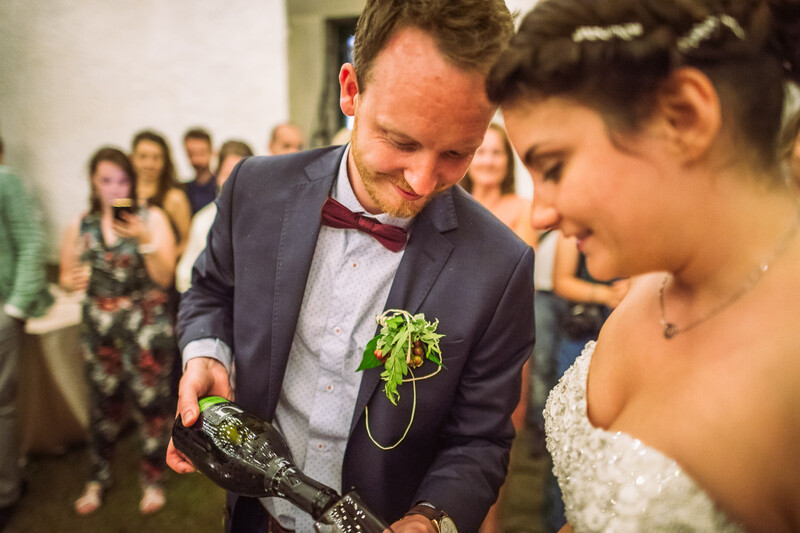 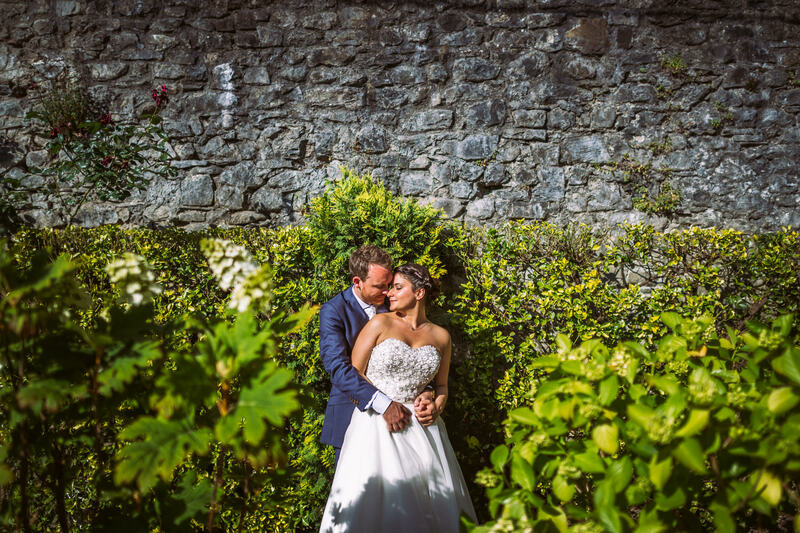 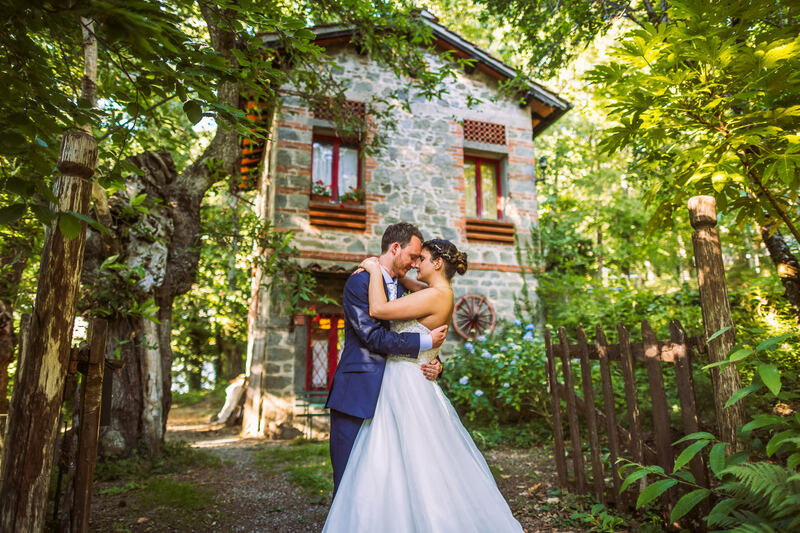 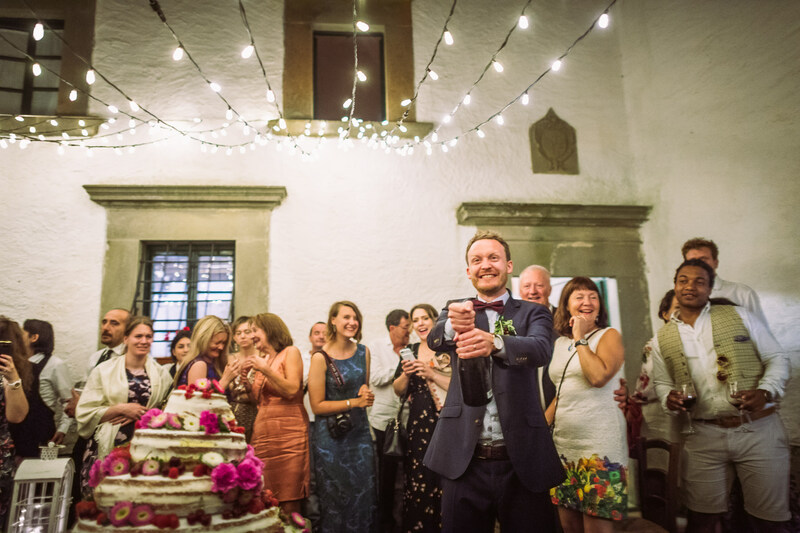 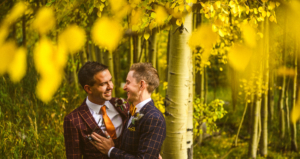 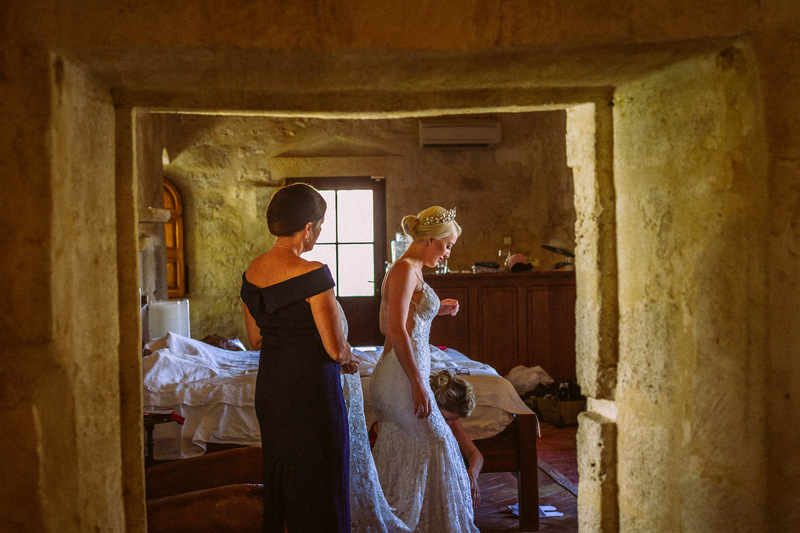 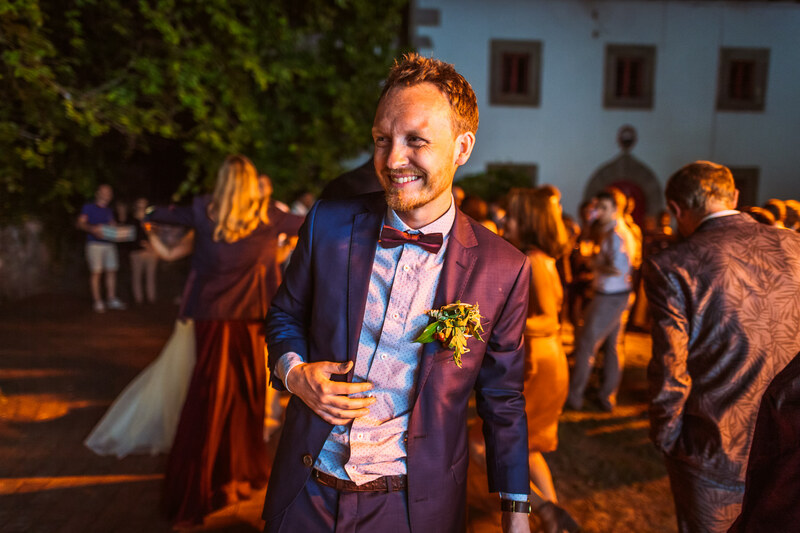 This famously happy couple live in Norway, but wanted to host their wedding in Giulia’s ancestral home, where her family roots are, a small hamlet in Piteglio, Italy by the name of Borgo Migliorini. 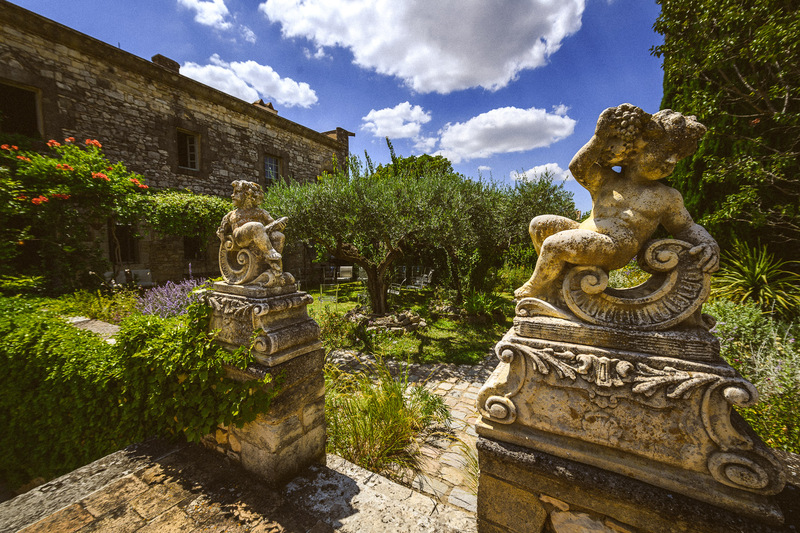 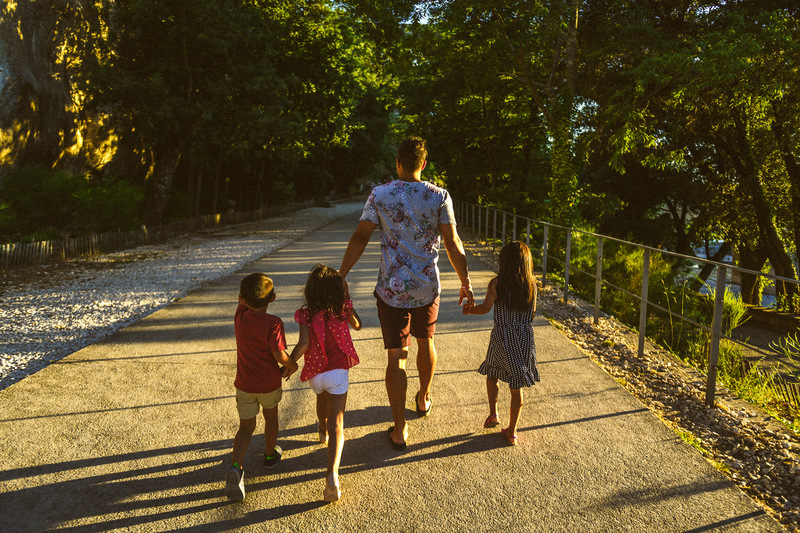 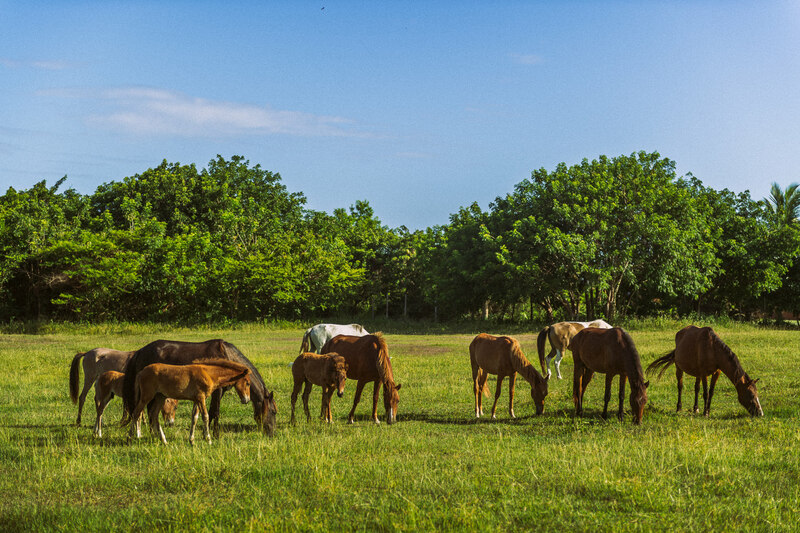 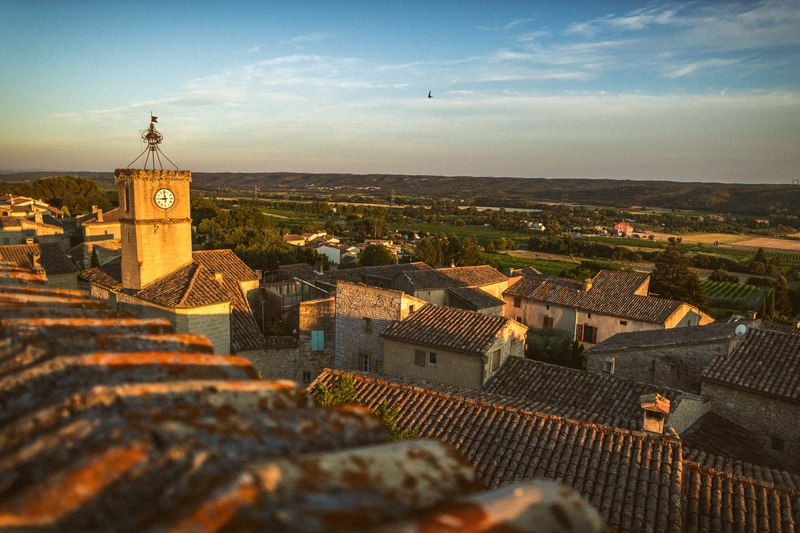 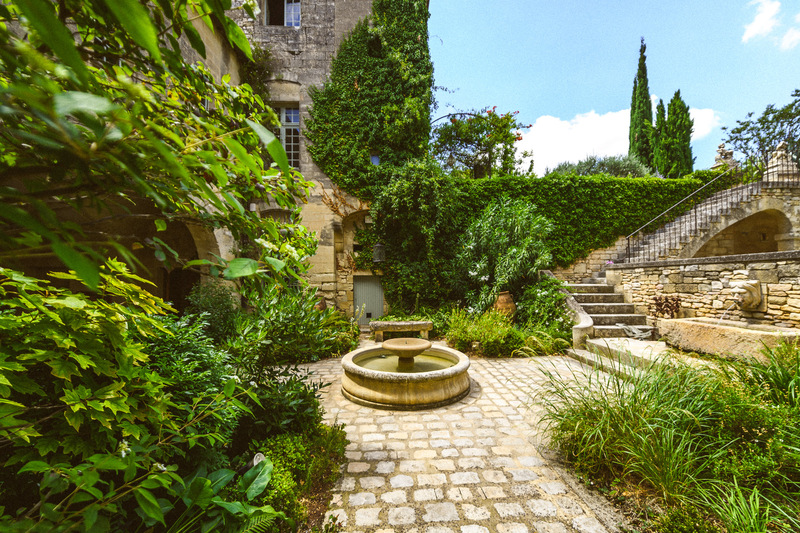 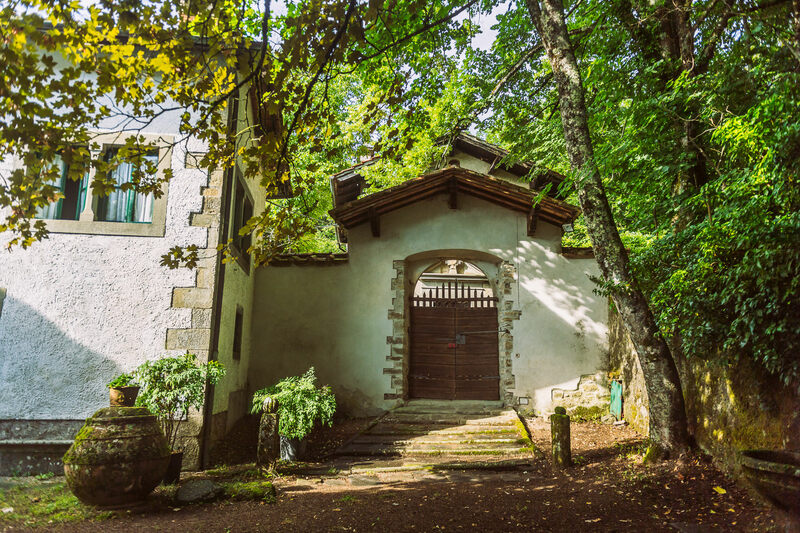 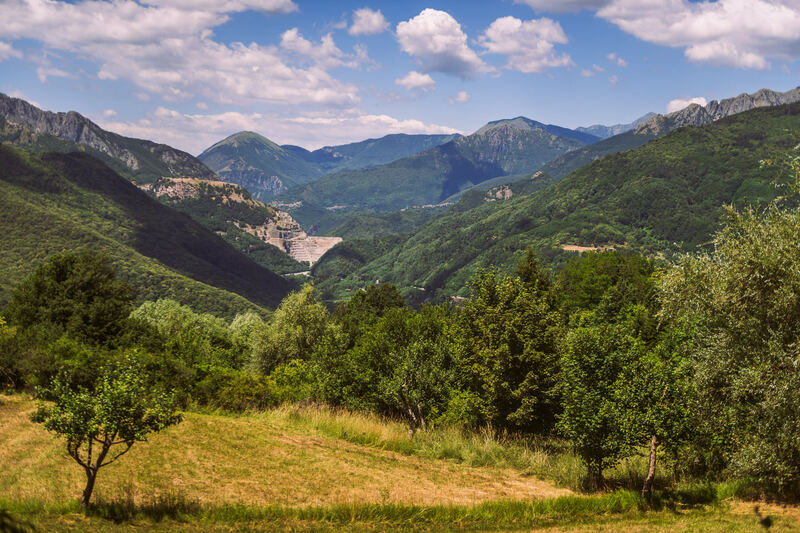 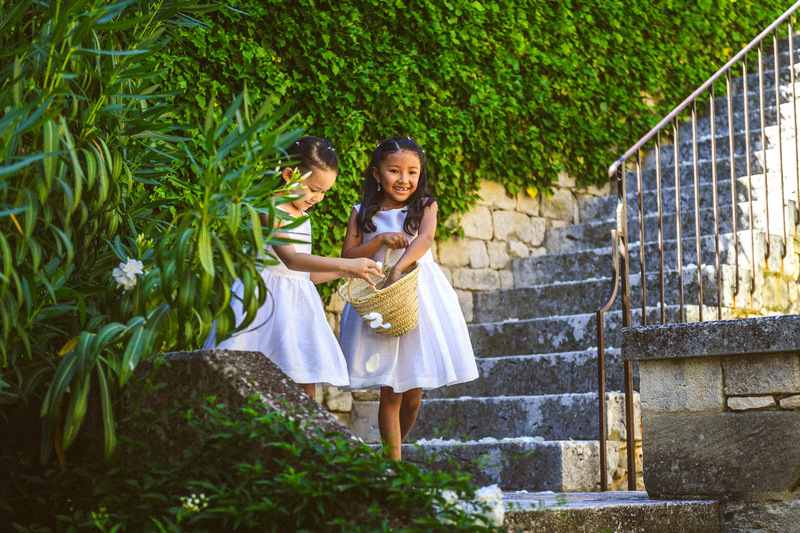 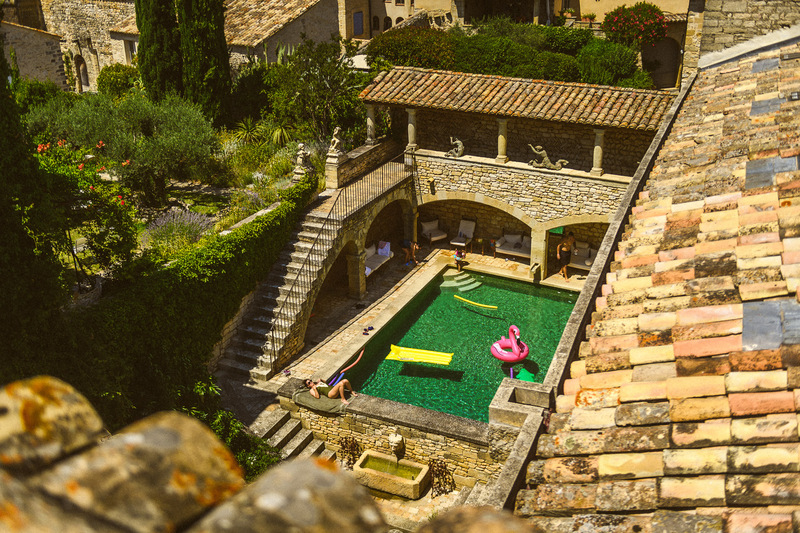 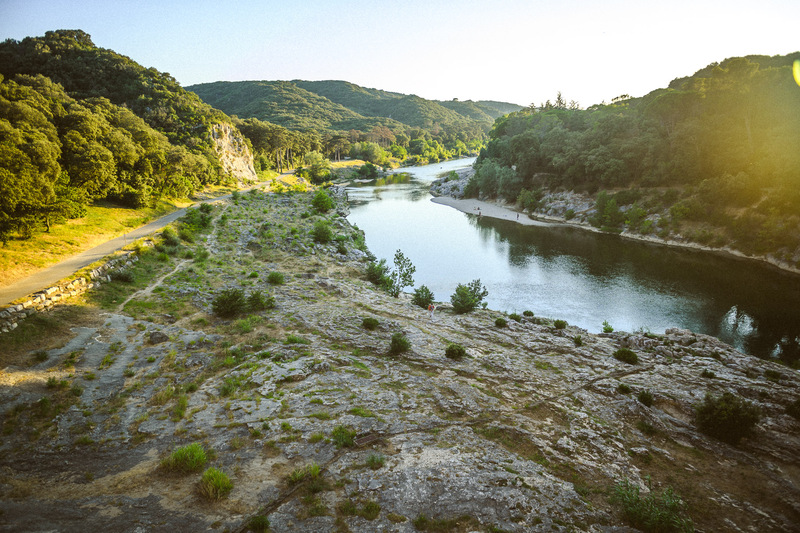 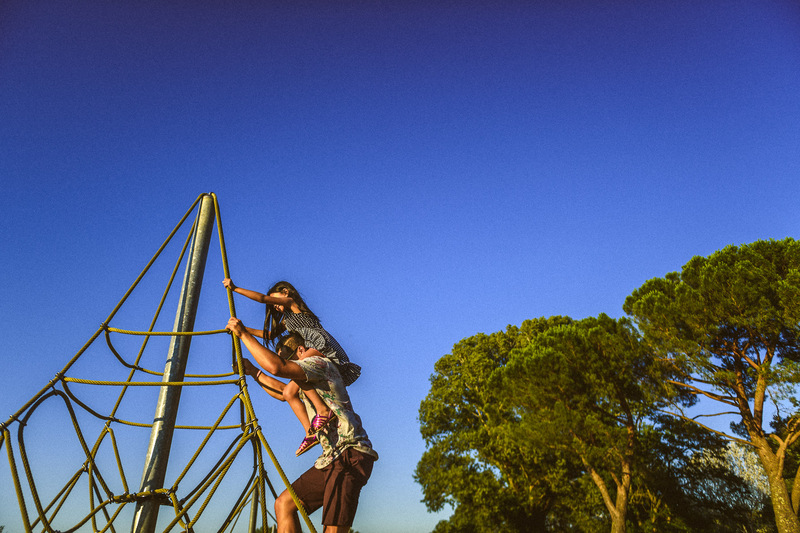 The hamlet has been in existence since the 16th century and maintained by generations of owners with the ambition of preserving the historical and cultural heritage of the small cluster of cabins and villas. 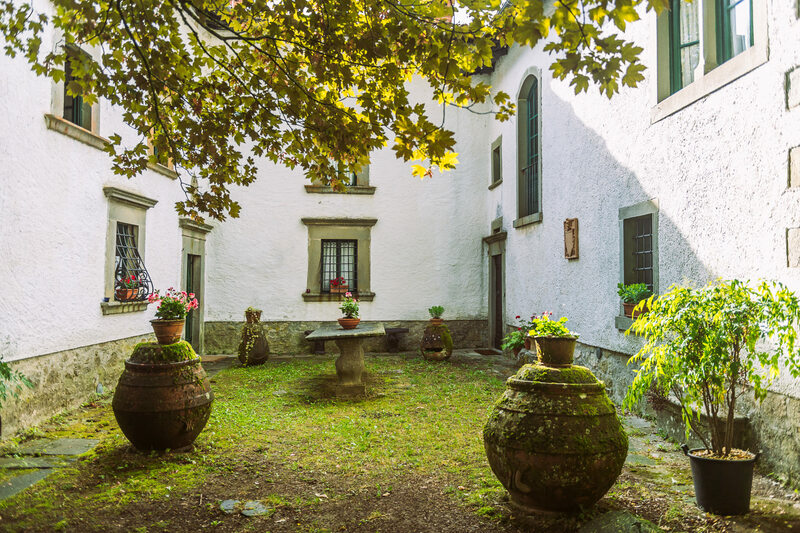 Reportedly, the famous author Mary Shelley of Frankenstein lore inhabited this hamlet for some time. 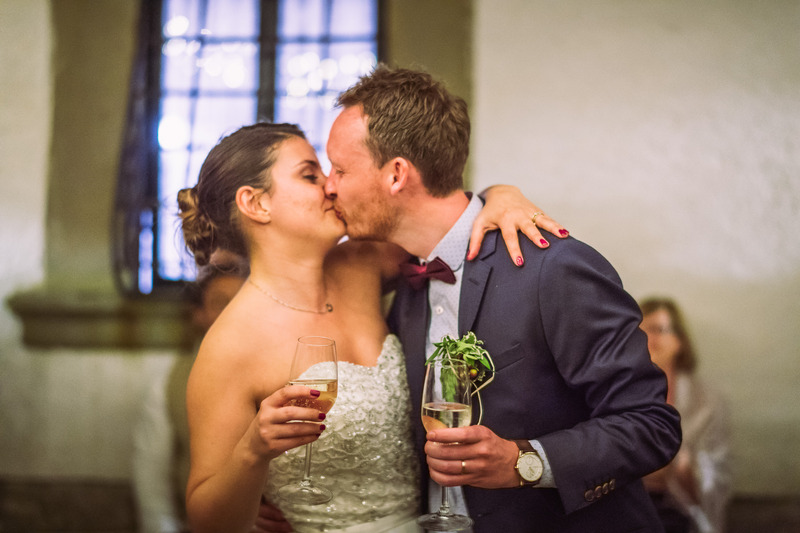 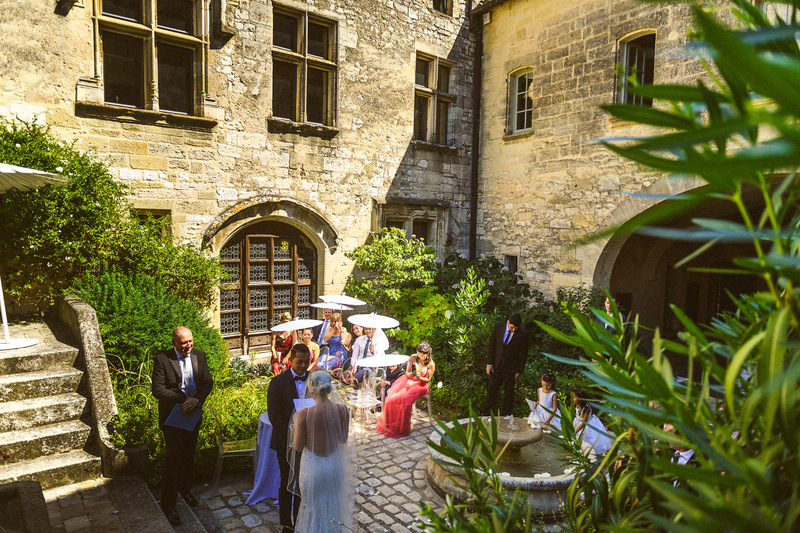 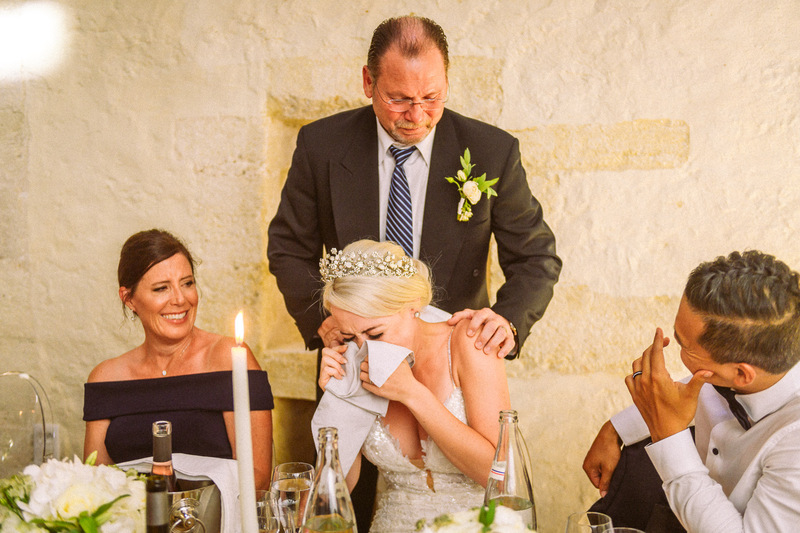 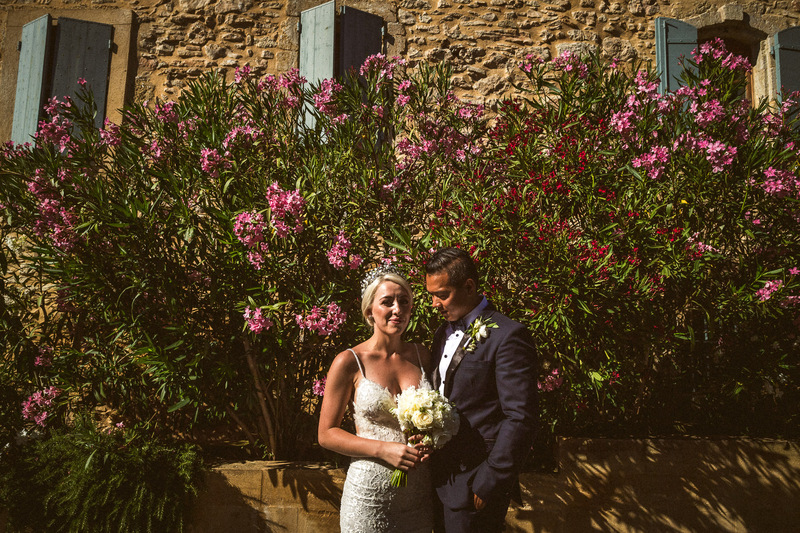 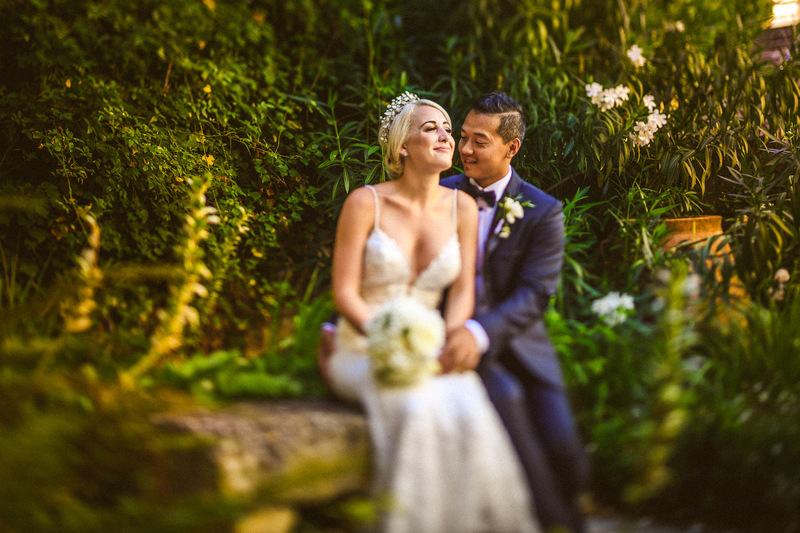 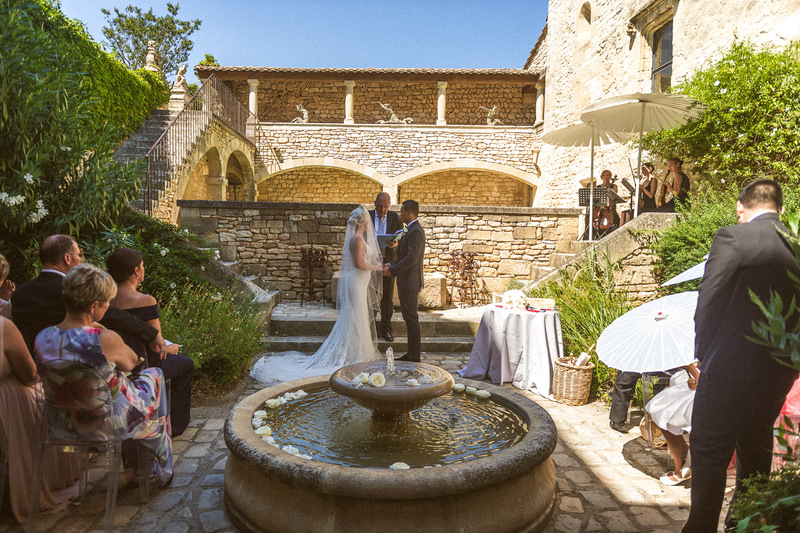 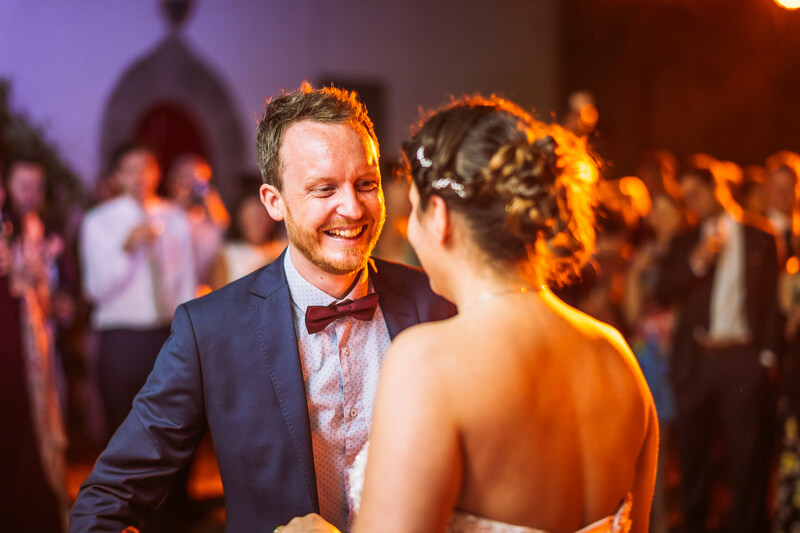 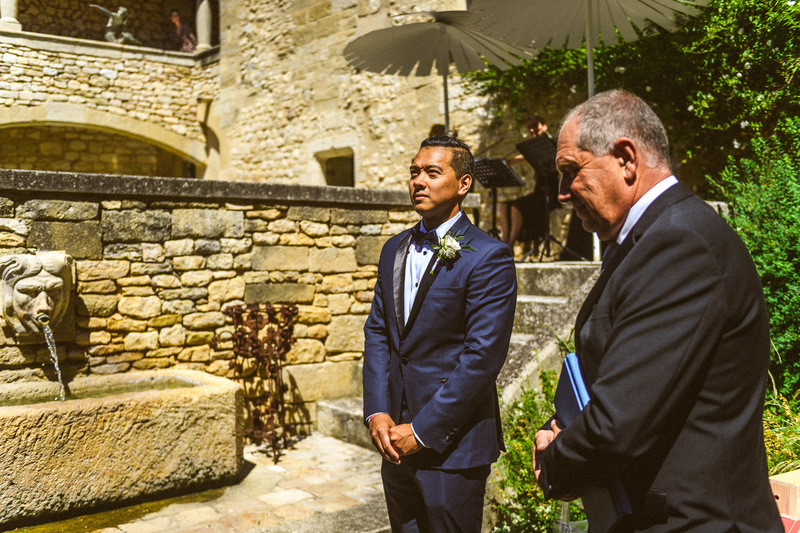 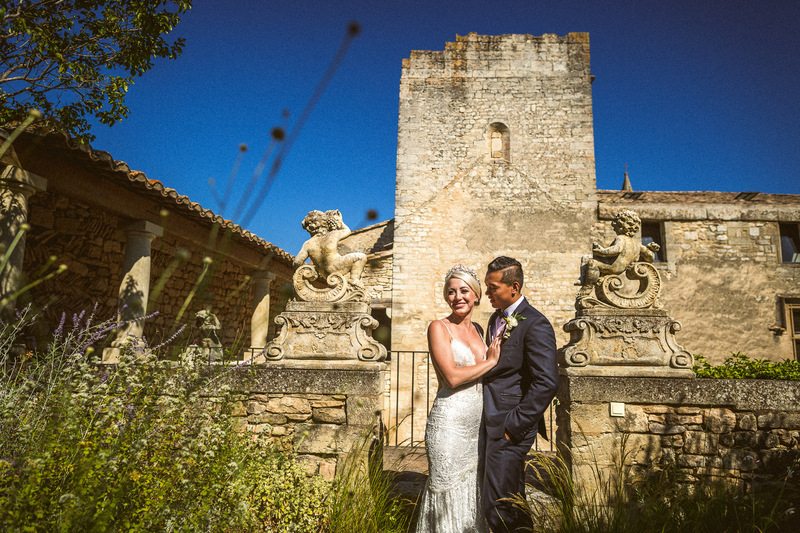 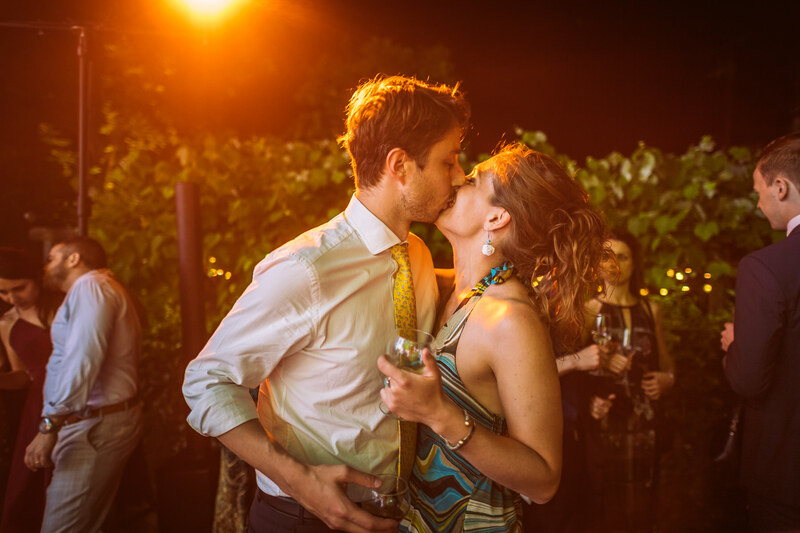 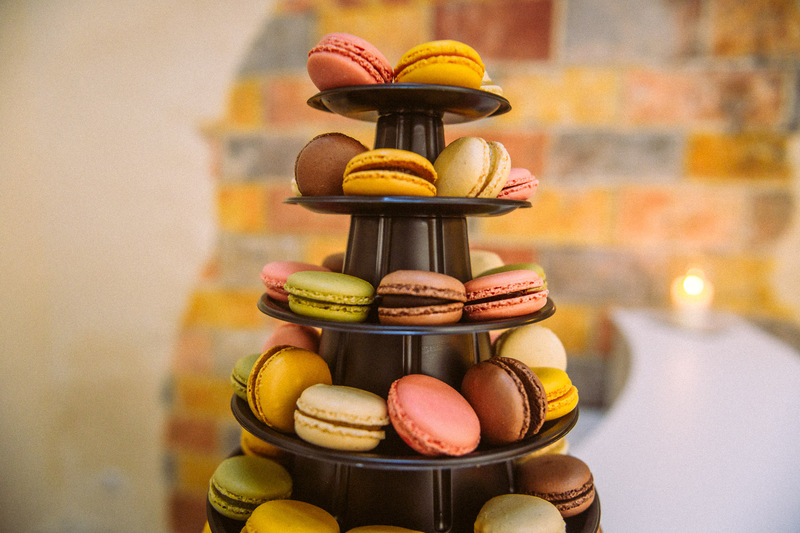 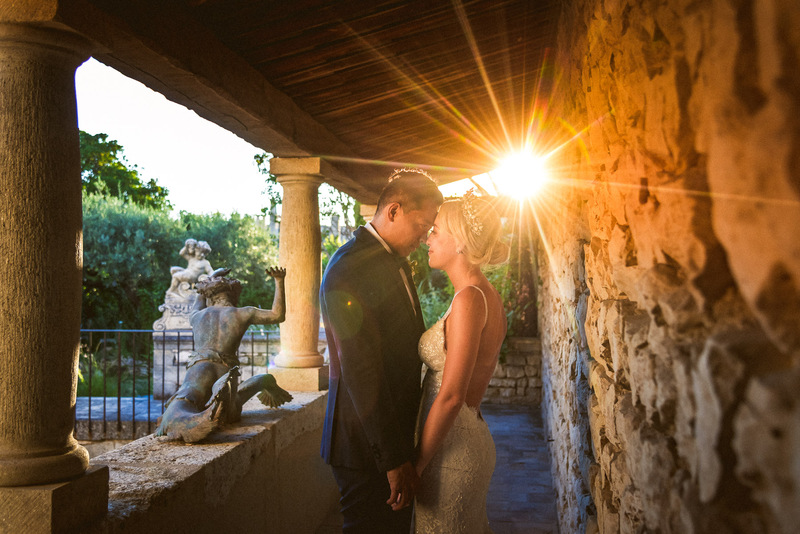 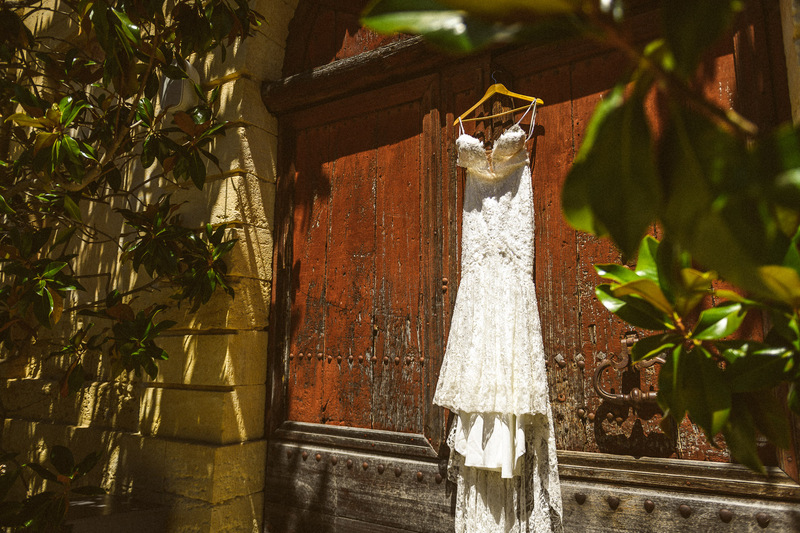 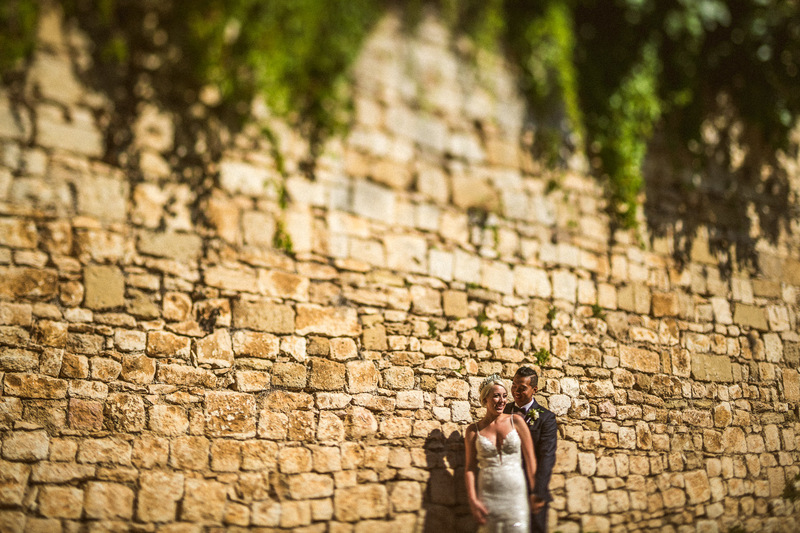 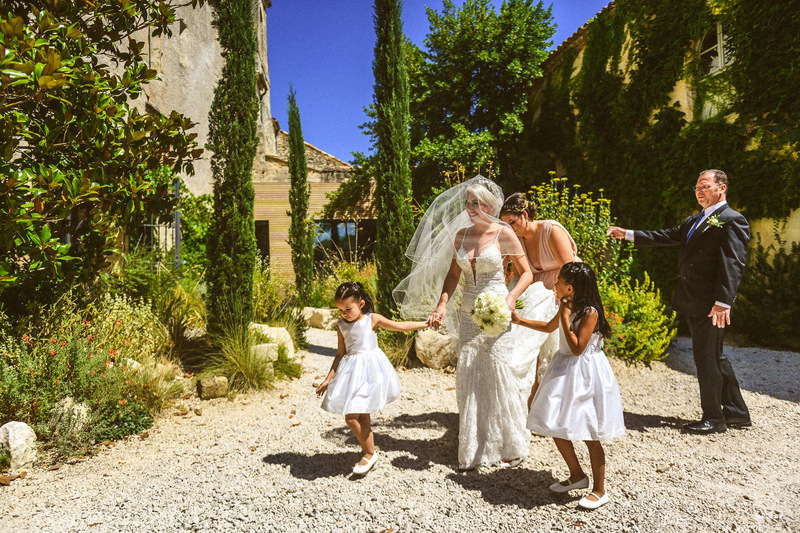 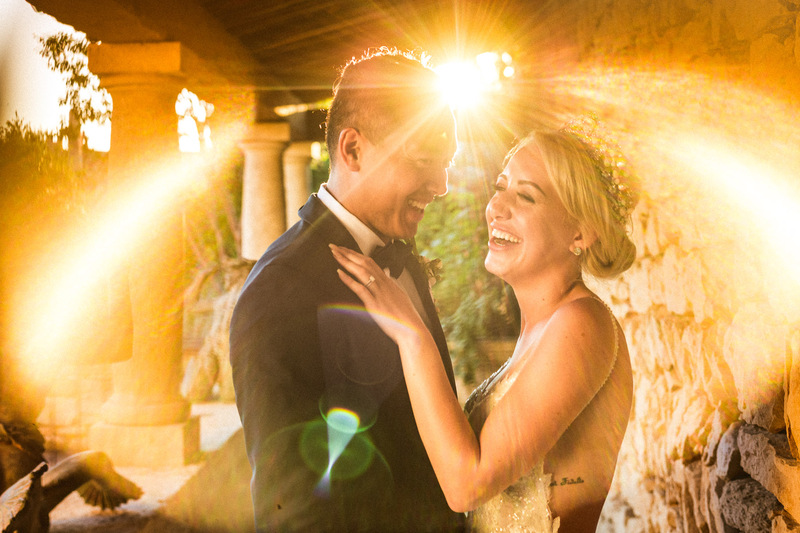 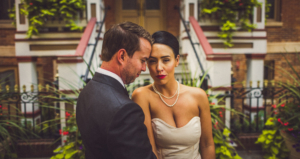 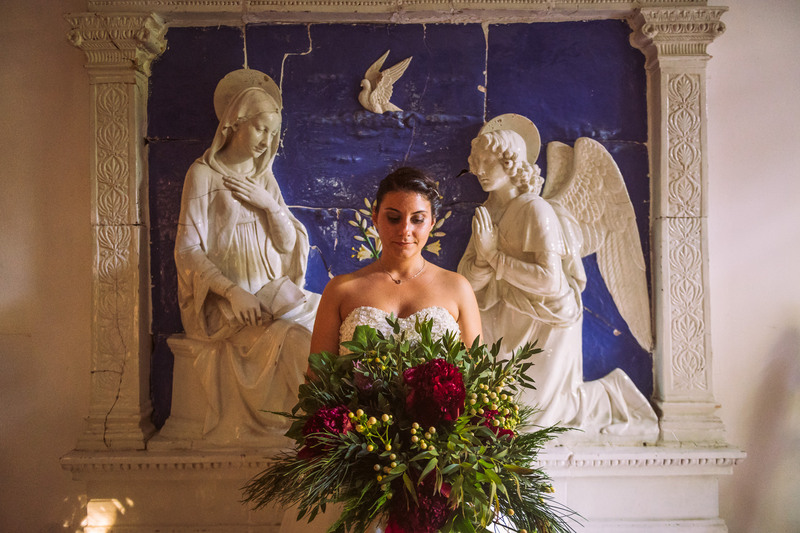 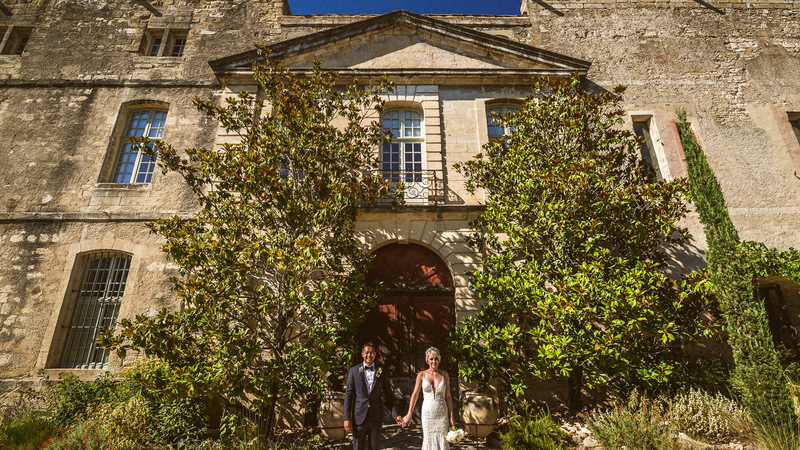 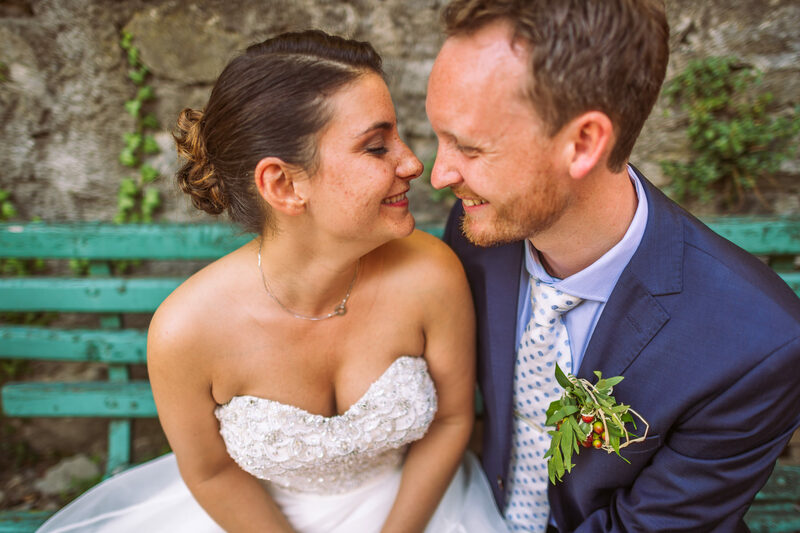 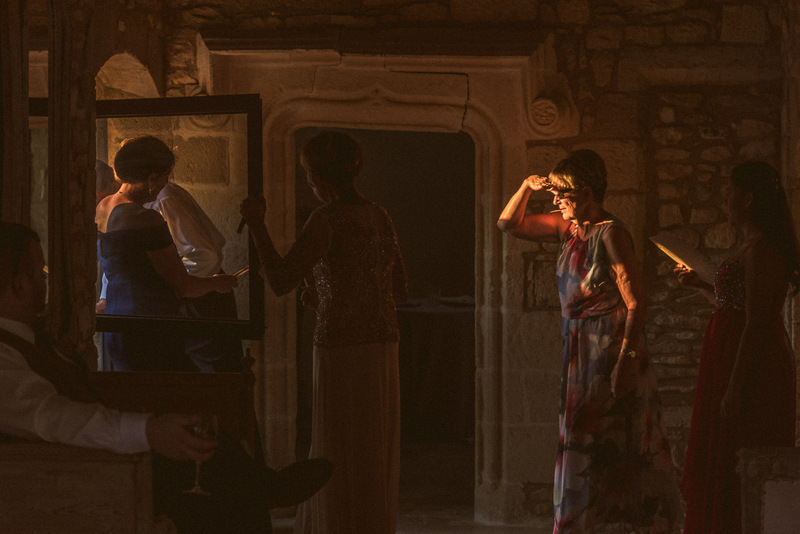 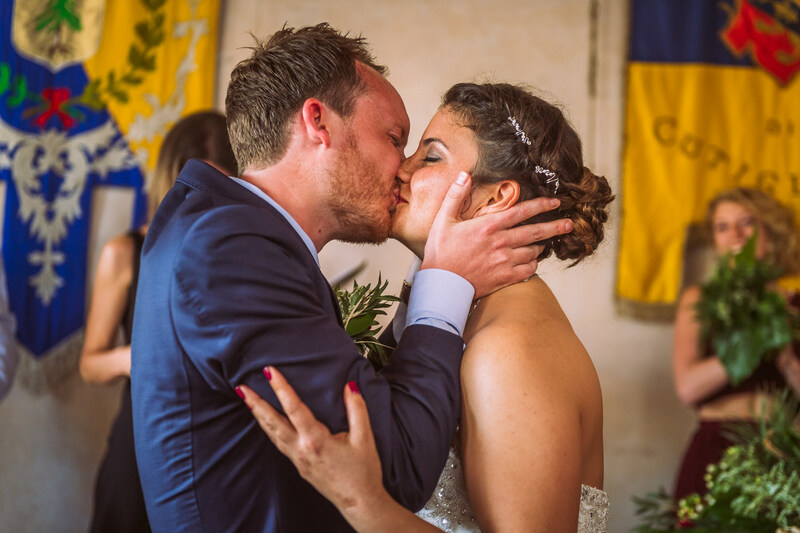 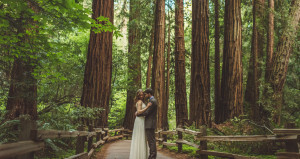 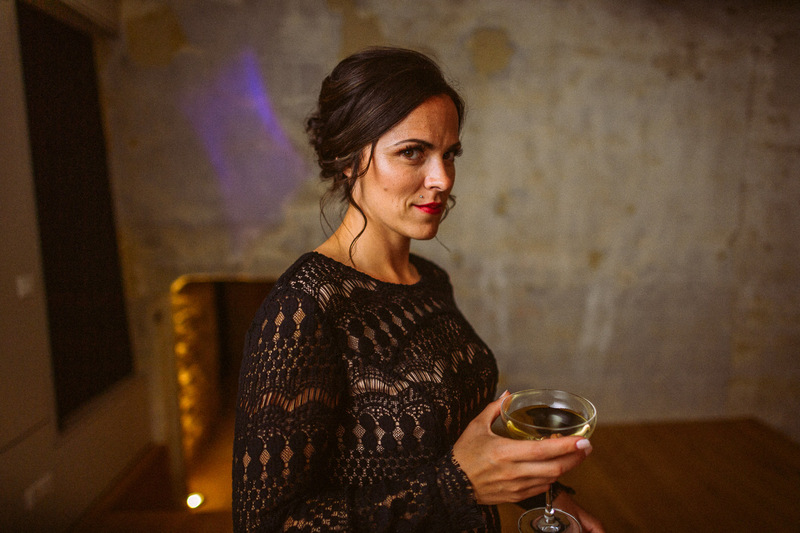 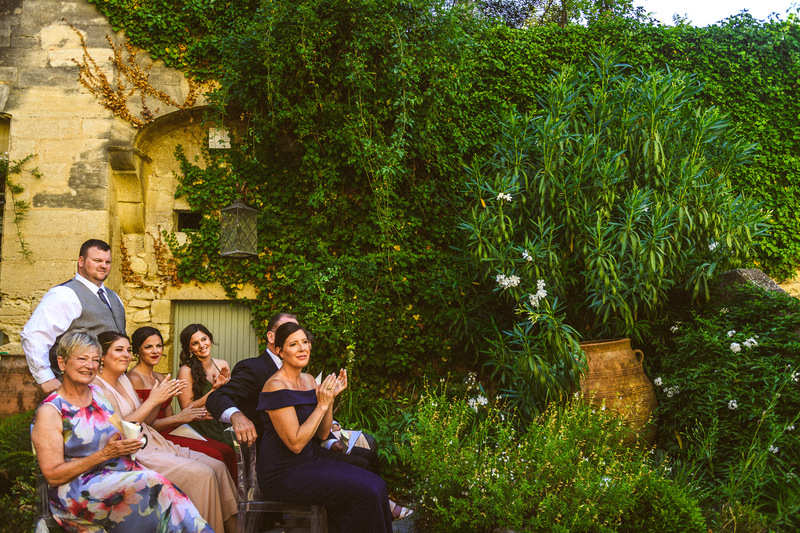 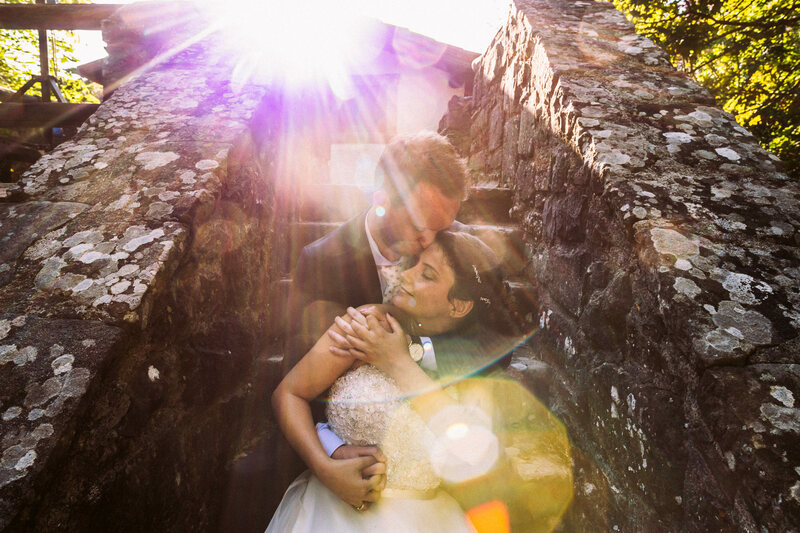 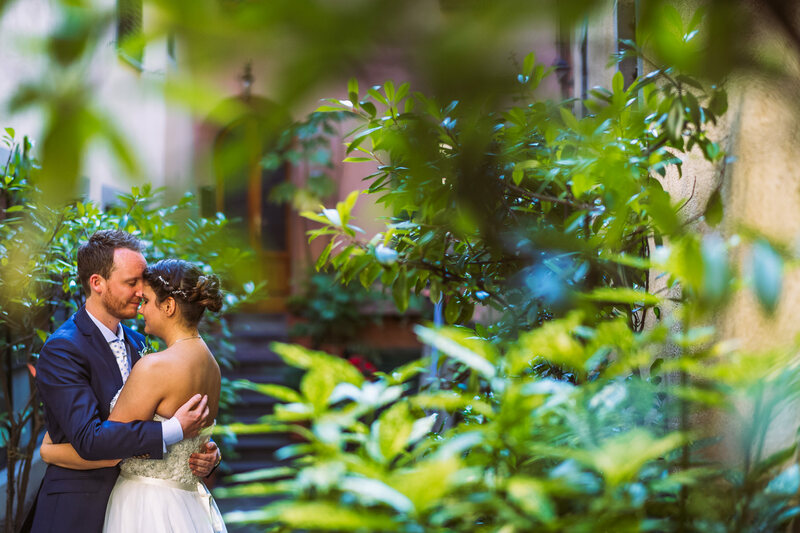 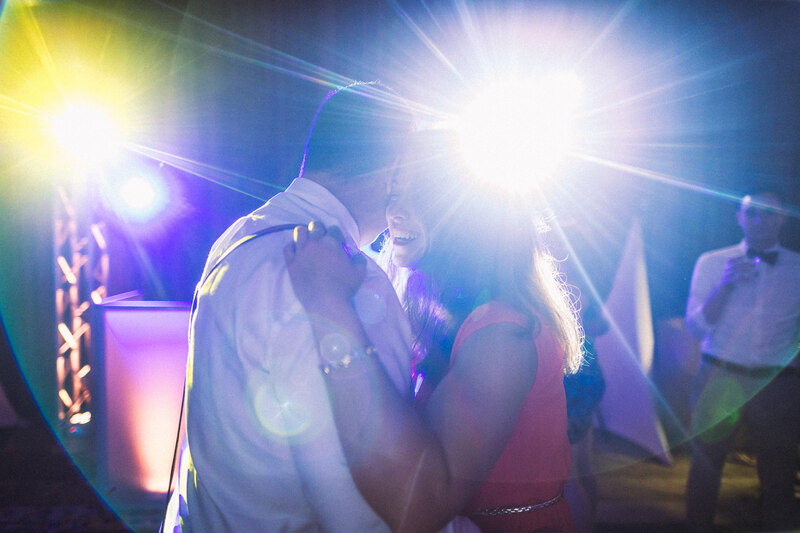 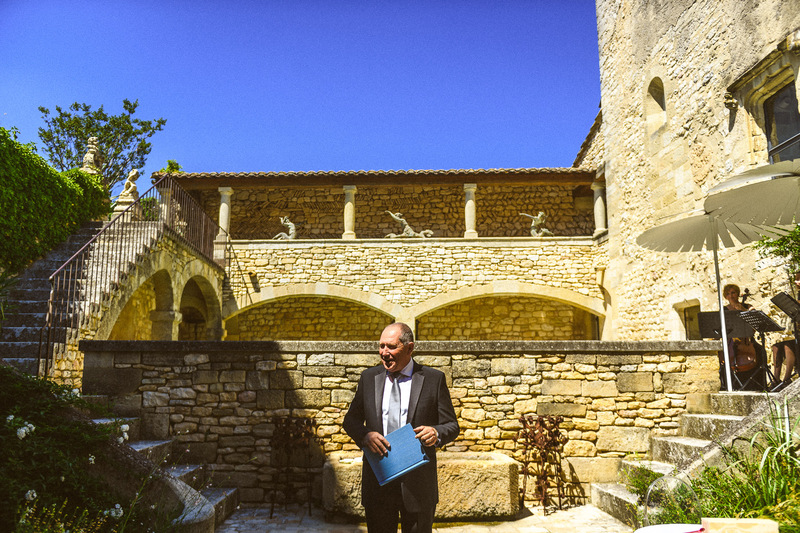 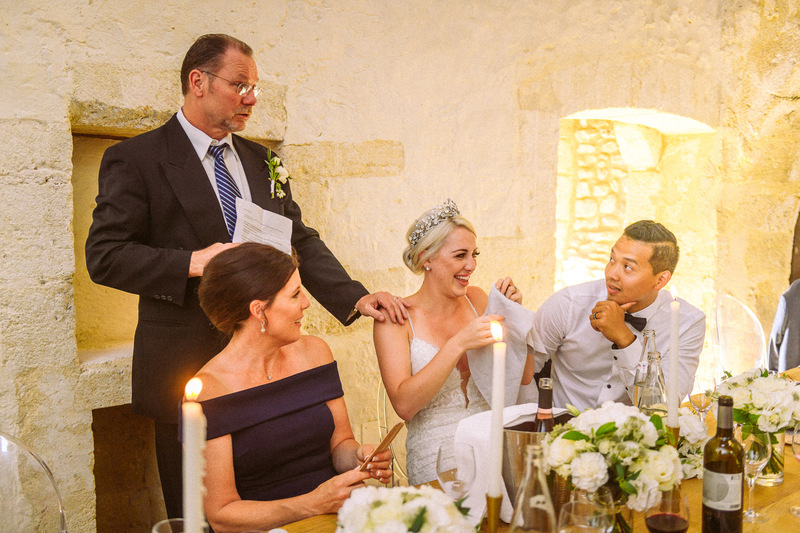 Its rich history was a perfect backdrop to Giulia & Sindre’s celebration. 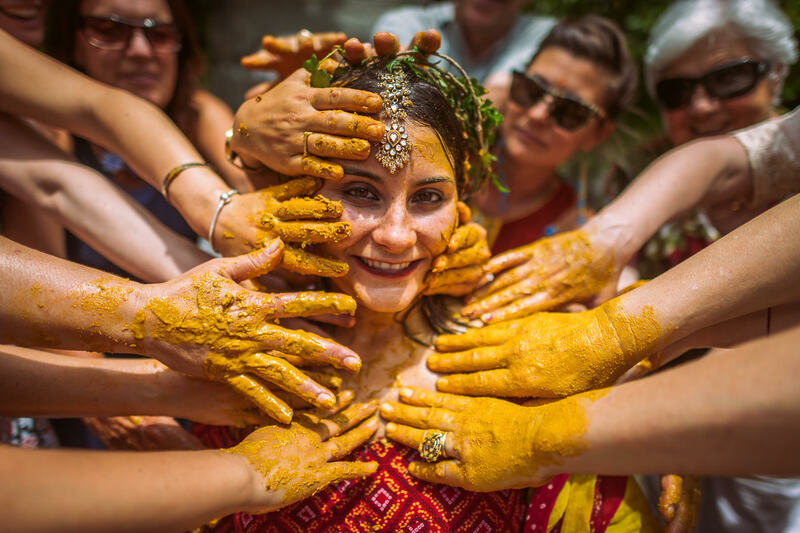 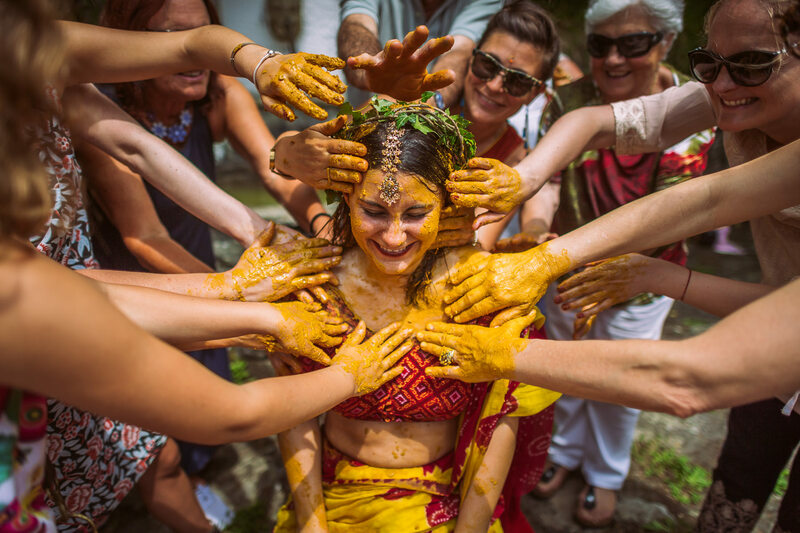 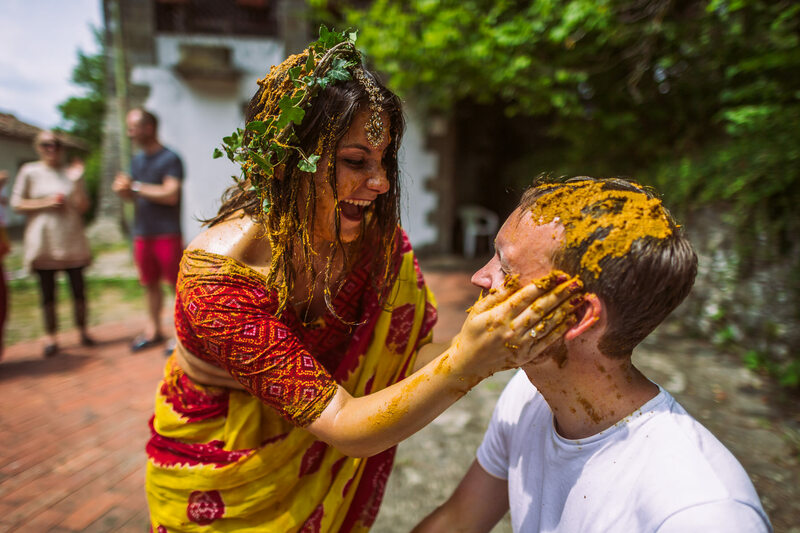 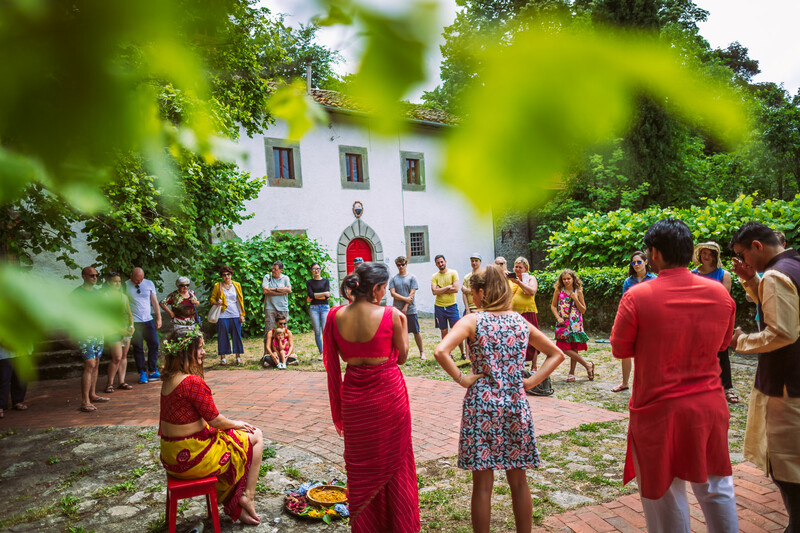 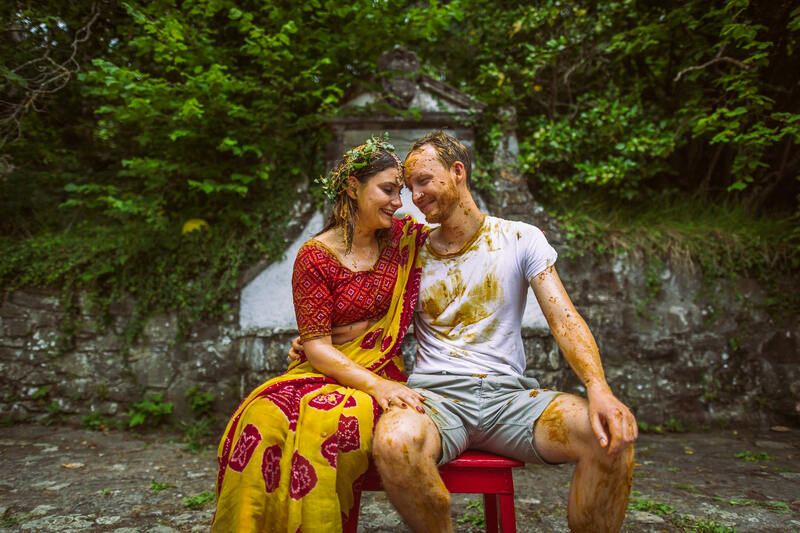 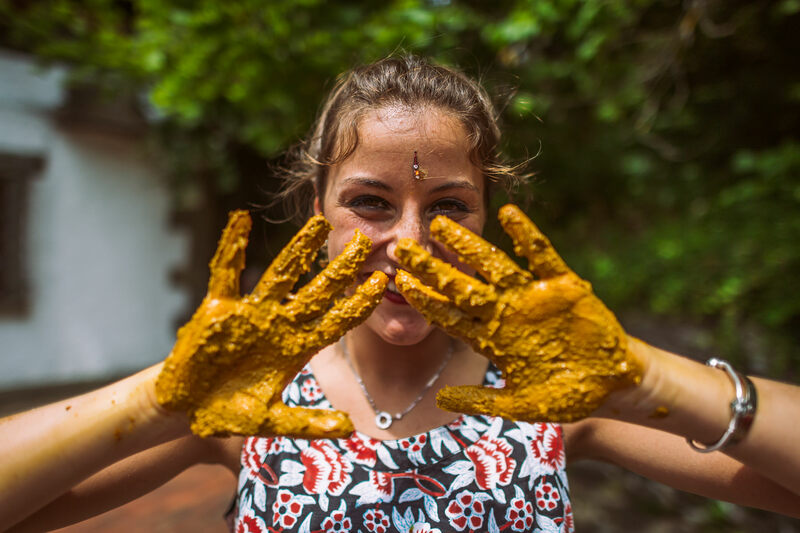 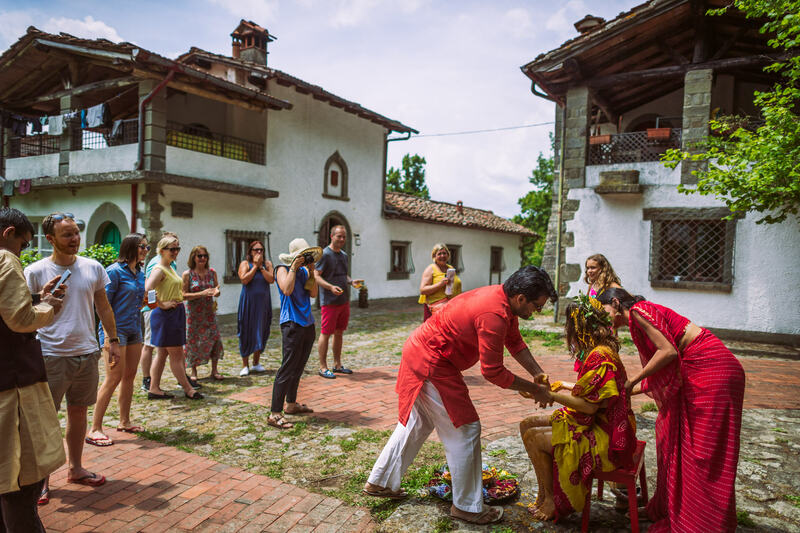 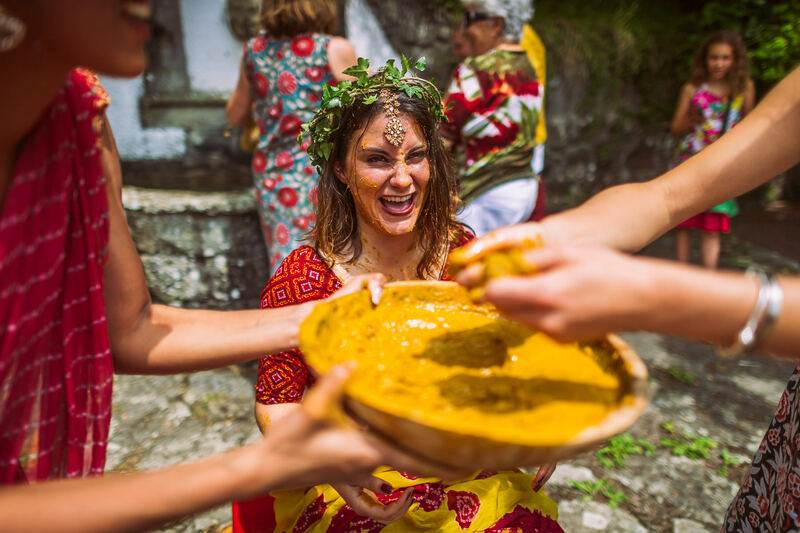 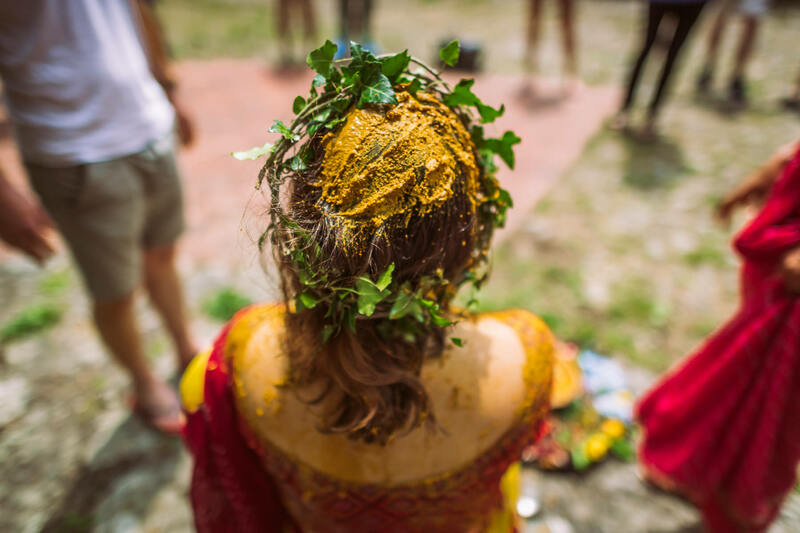 The week was rounded out by a traditional Haldi ceremony to celebrate Giulia’s other cultural heritage, as well as some soccer games, hiking, star gazing at a local observatory, and a welcome sunset dinner at a local farm. 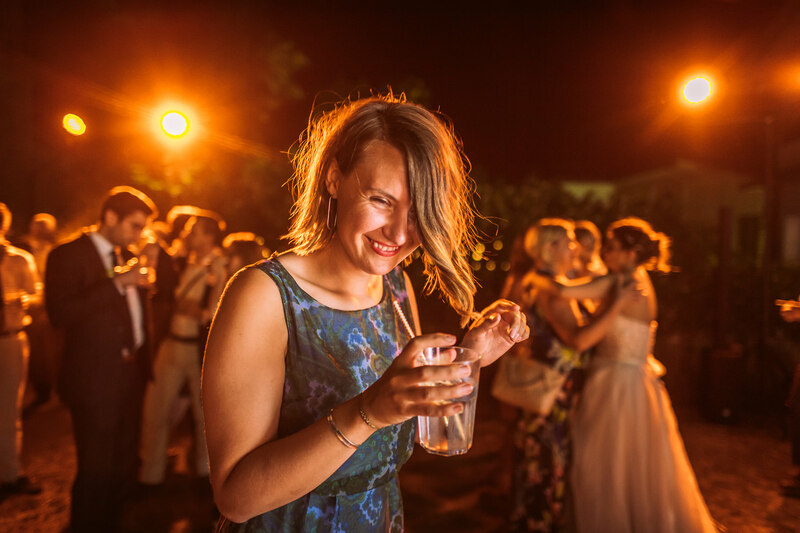 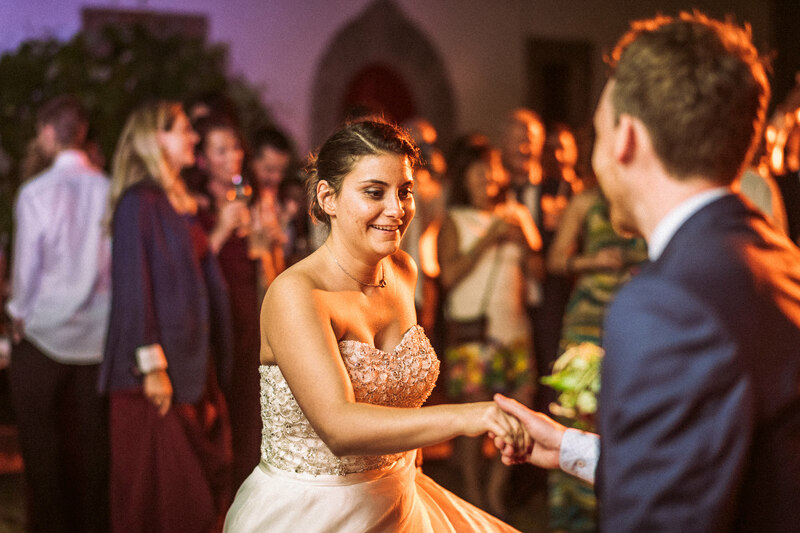 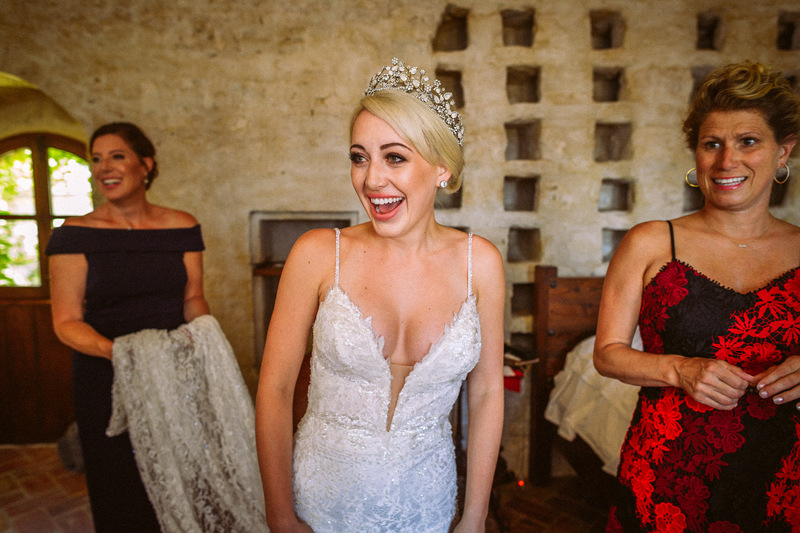 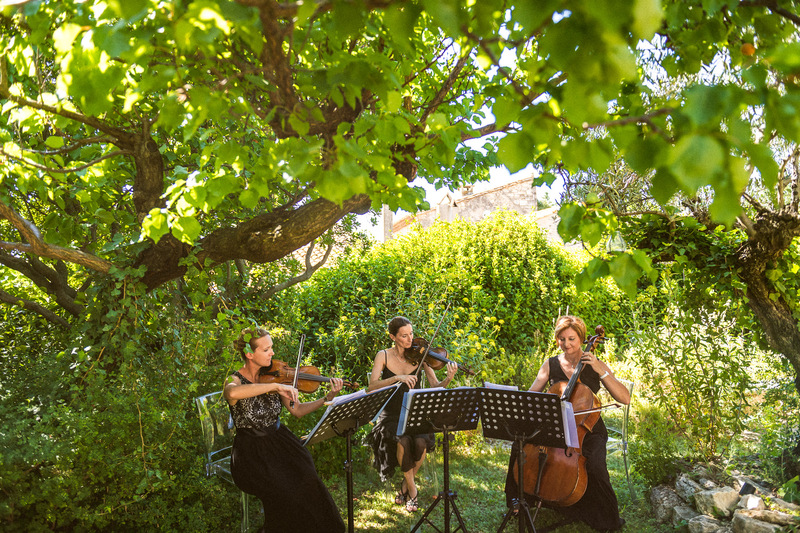 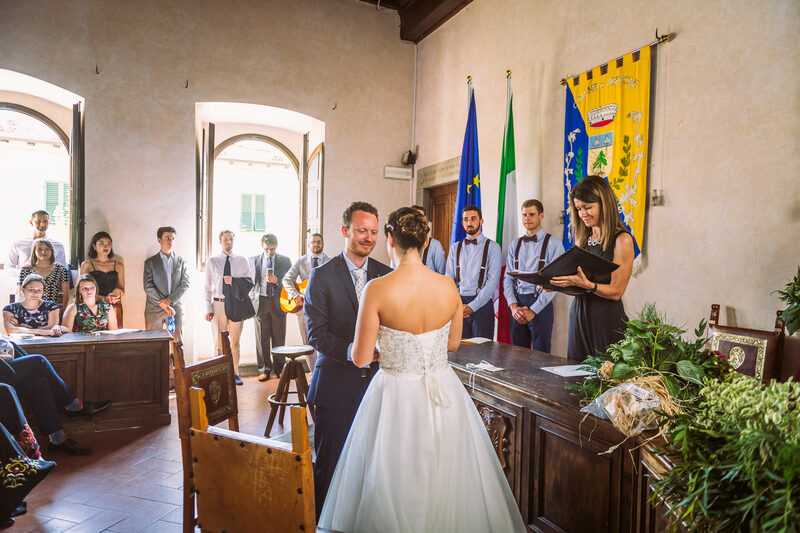 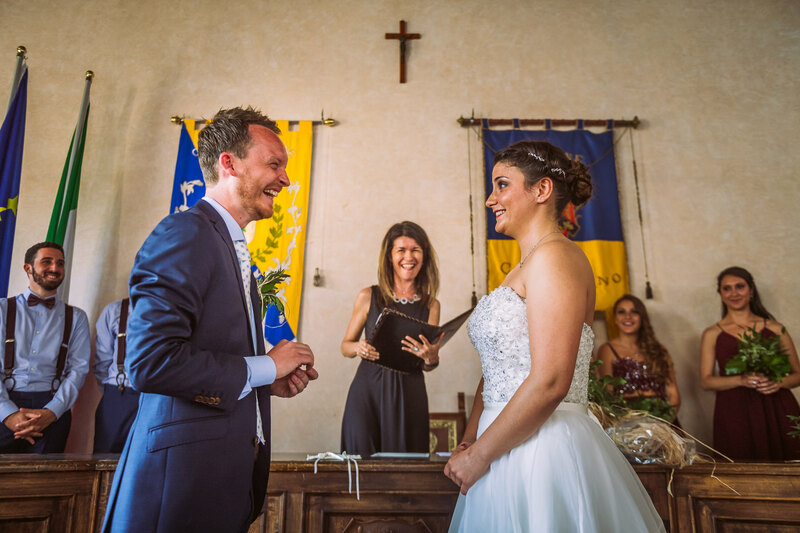 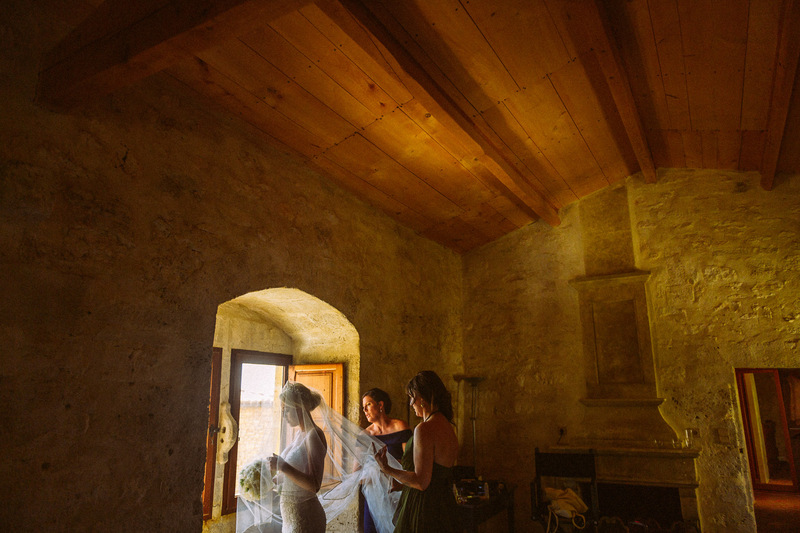 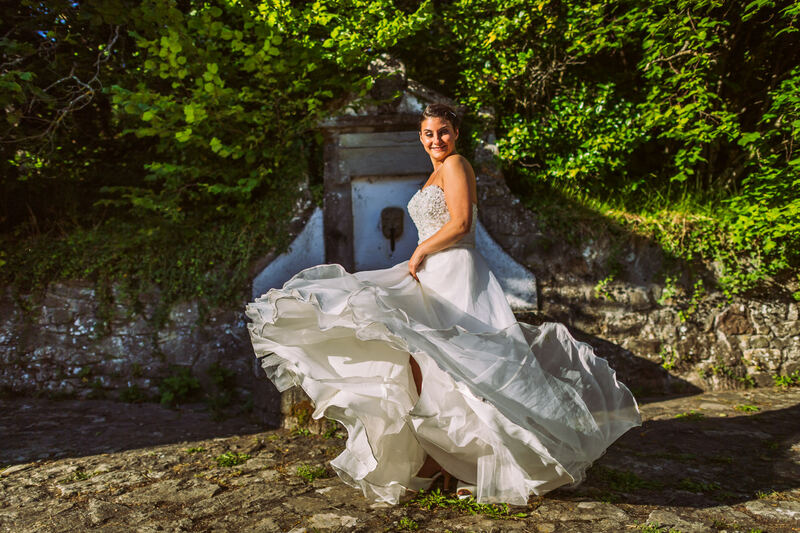 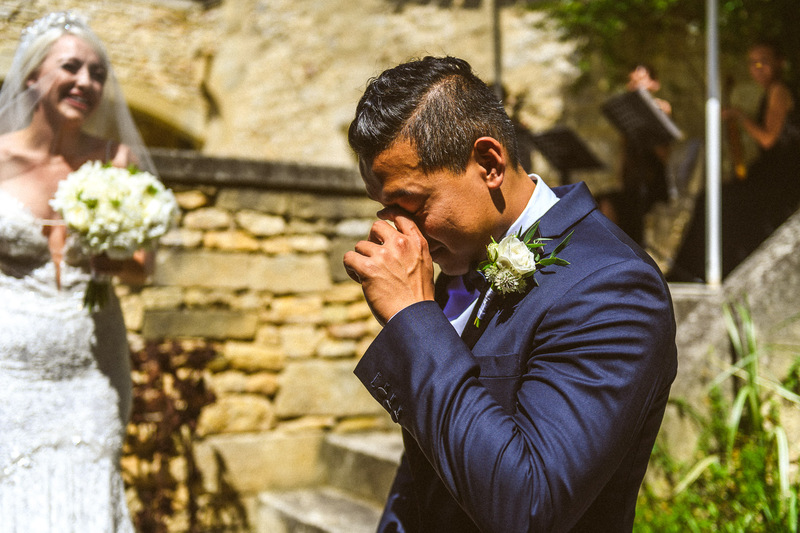 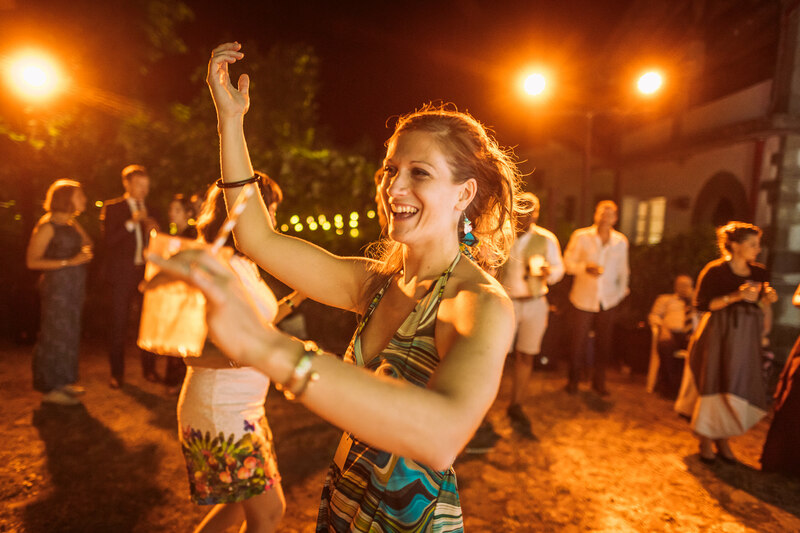 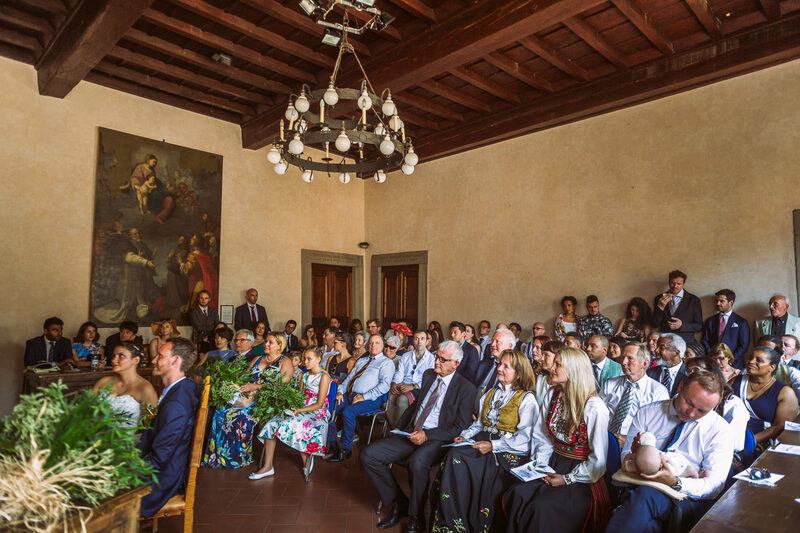 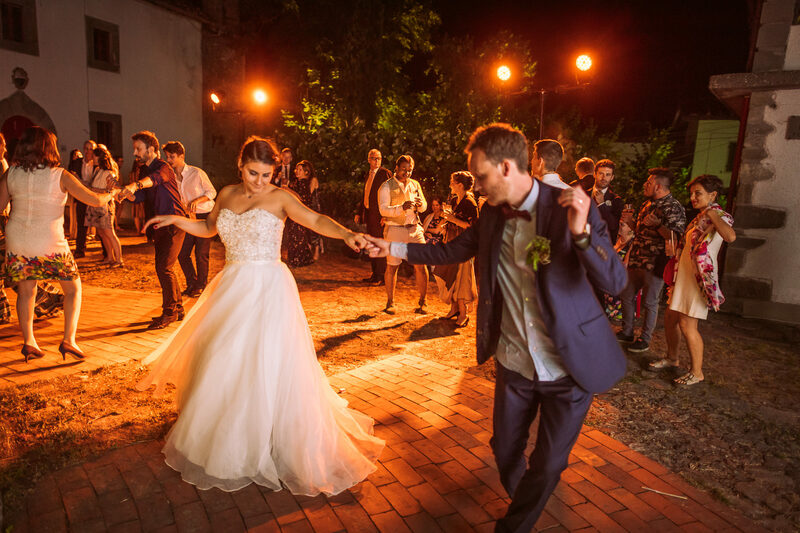 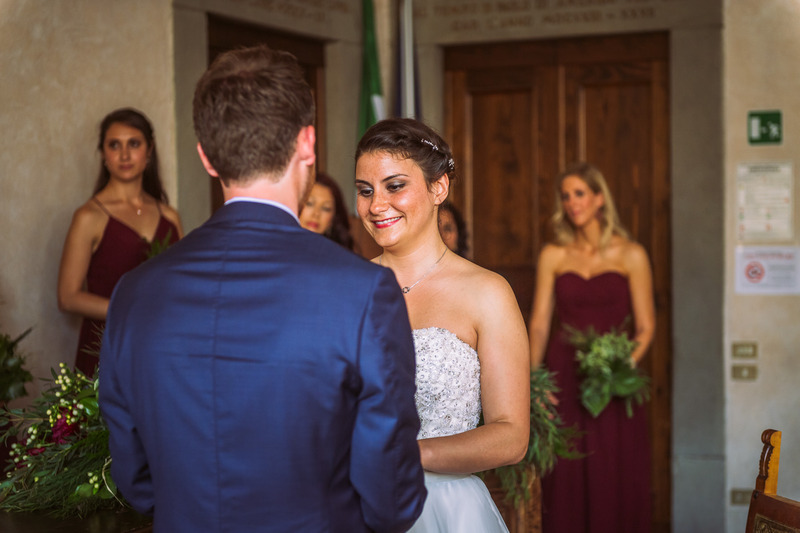 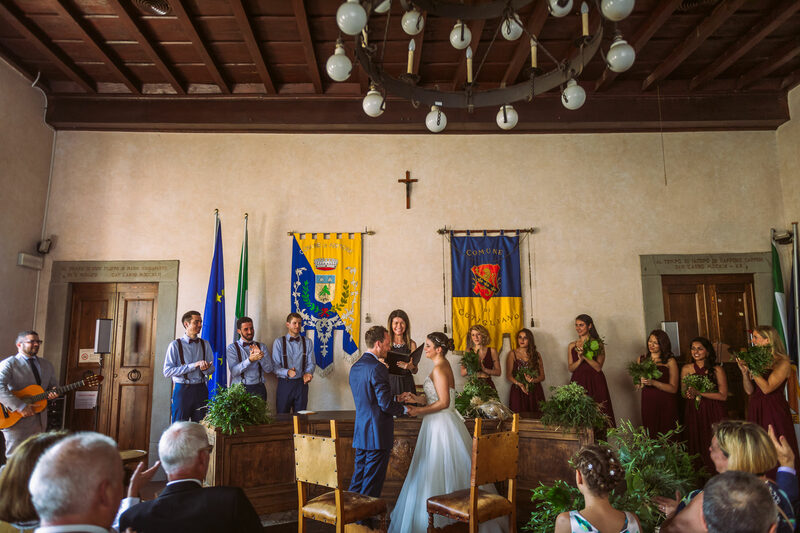 Their wedding ceremony took place in the historical town hall of Cutigliano with the reception and dancing taking place back at the hamlet. 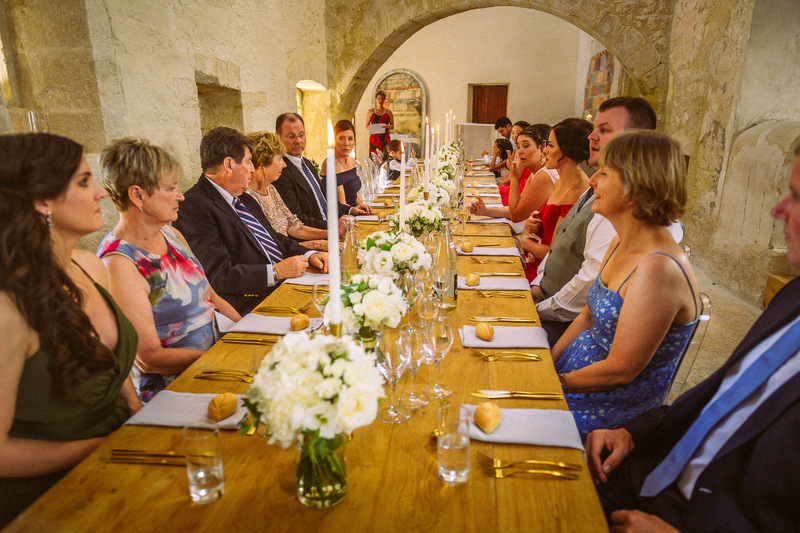 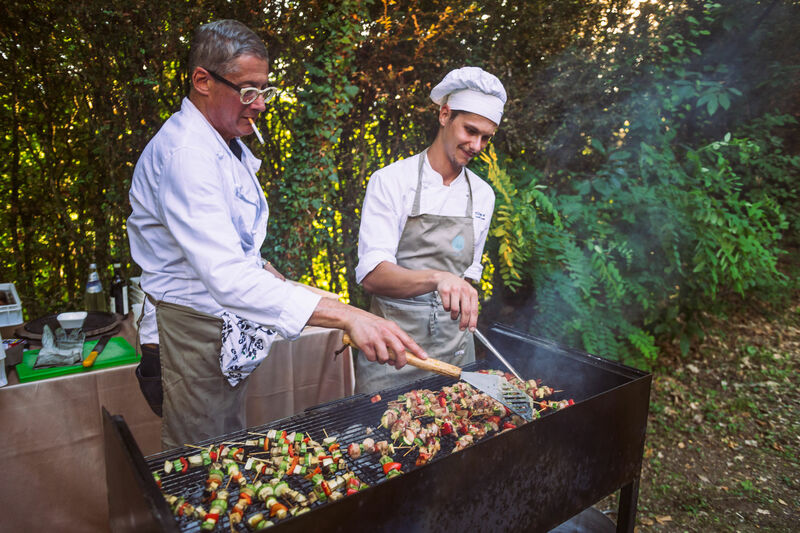 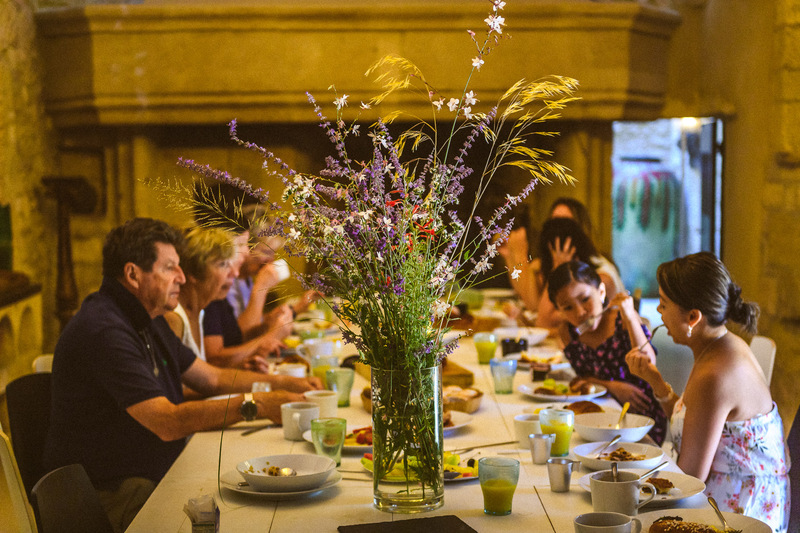 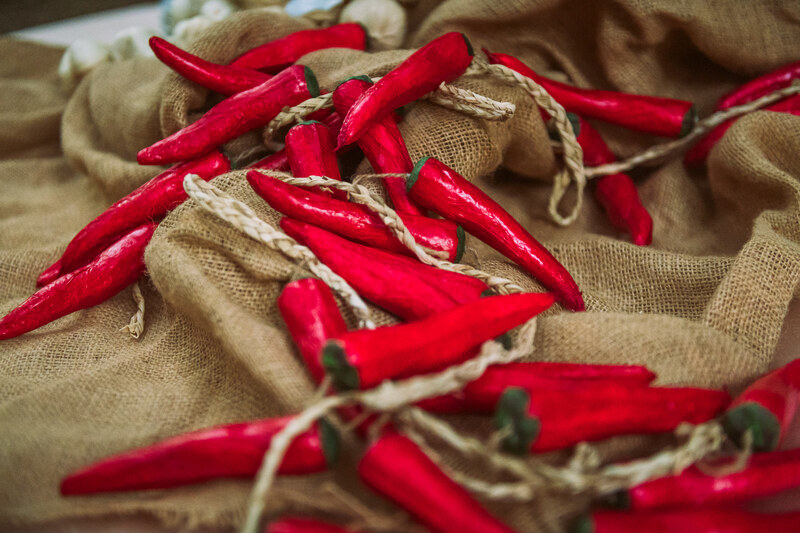 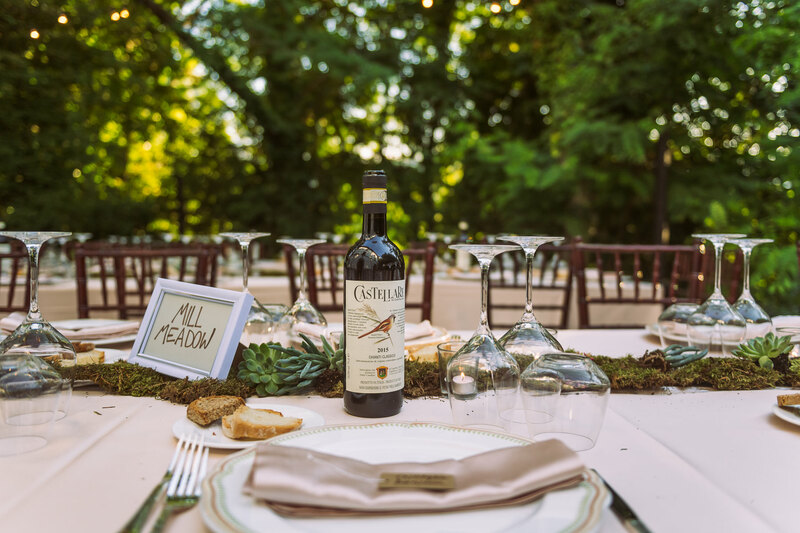 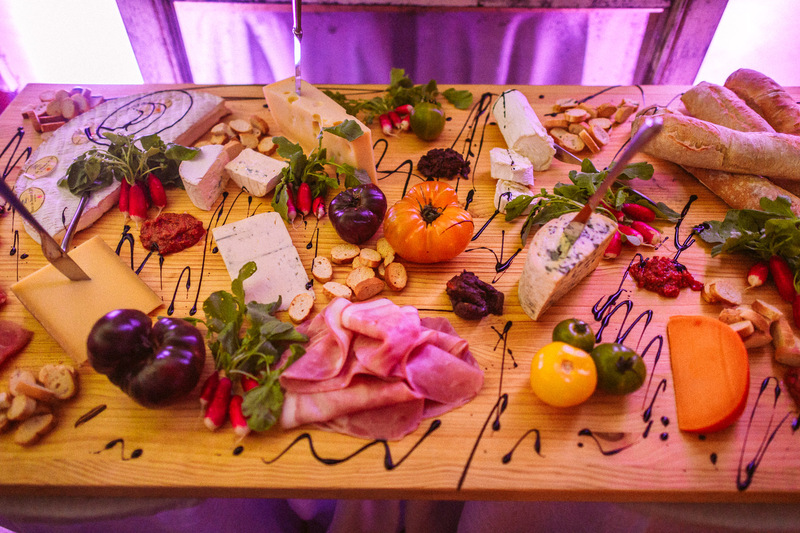 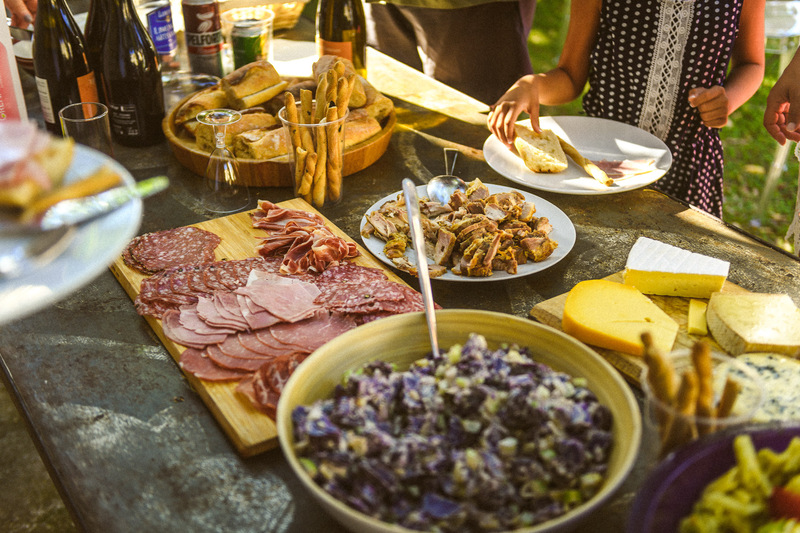 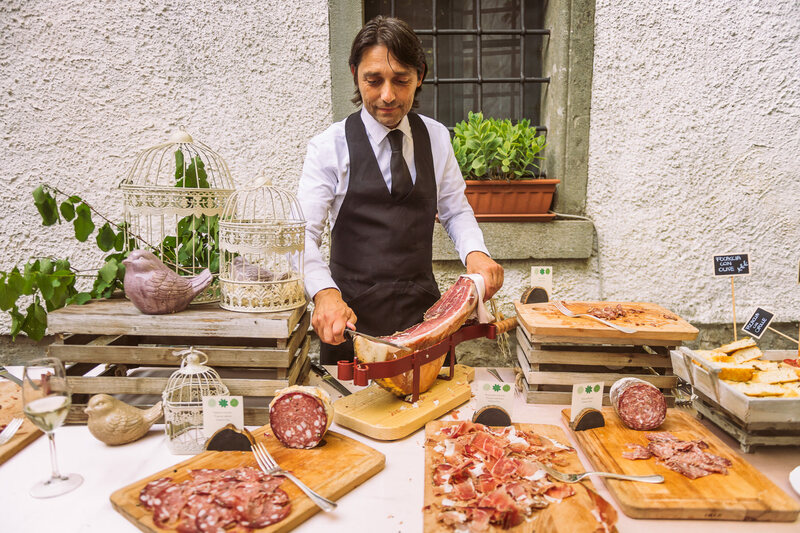 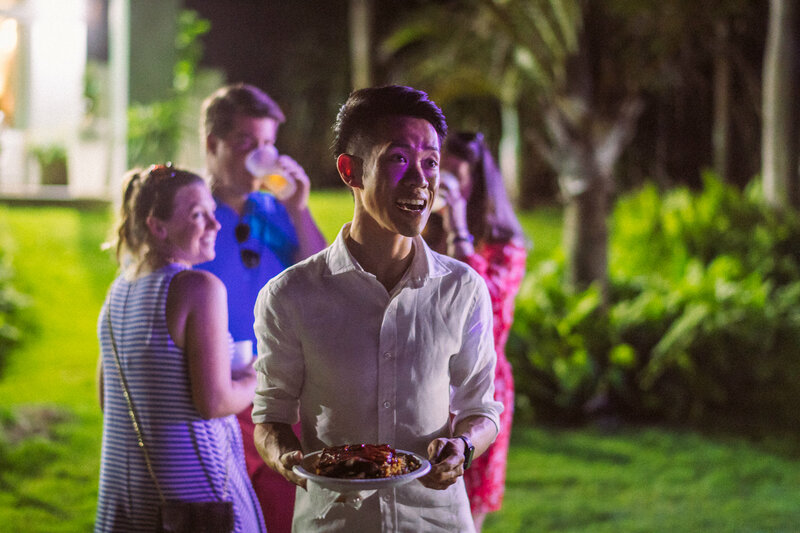 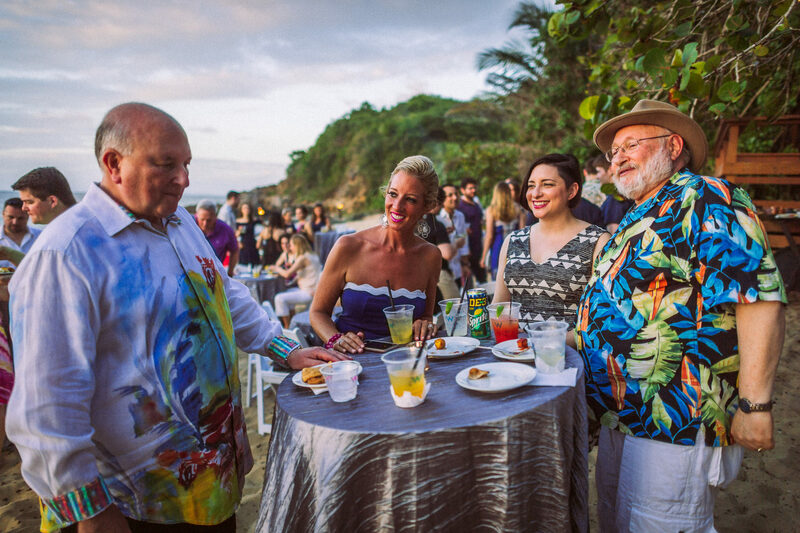 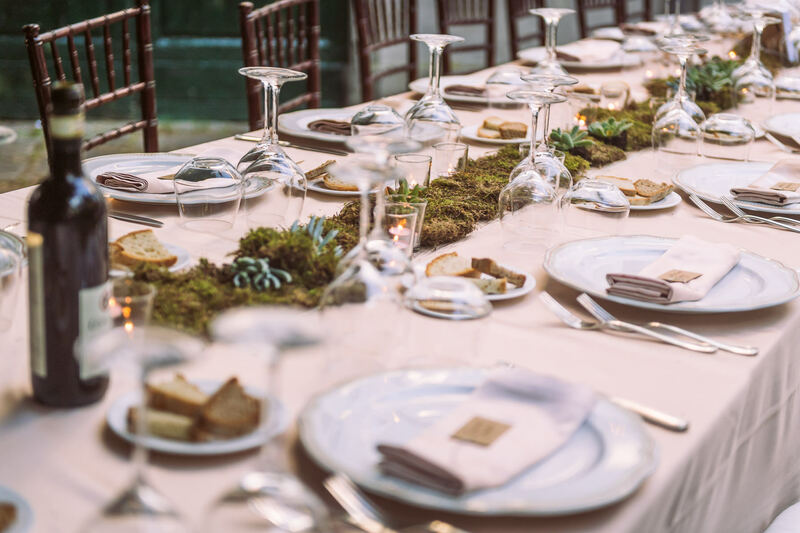 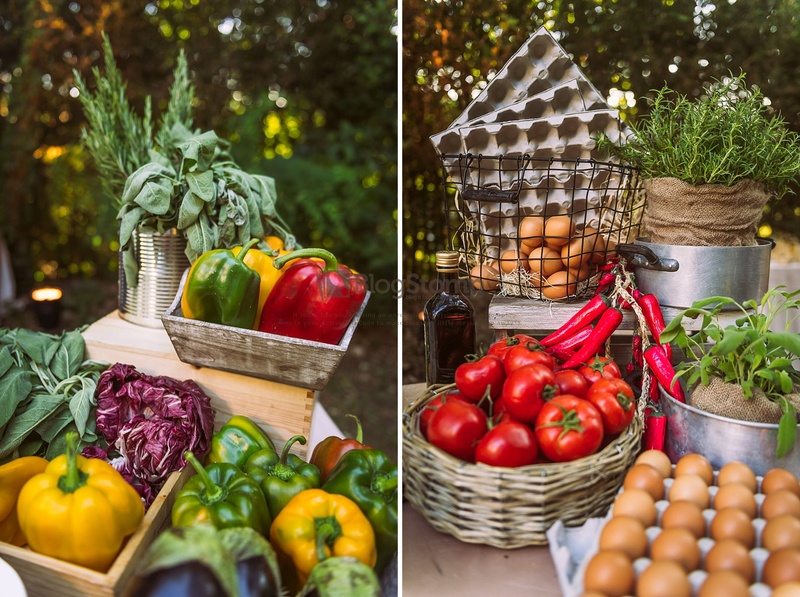 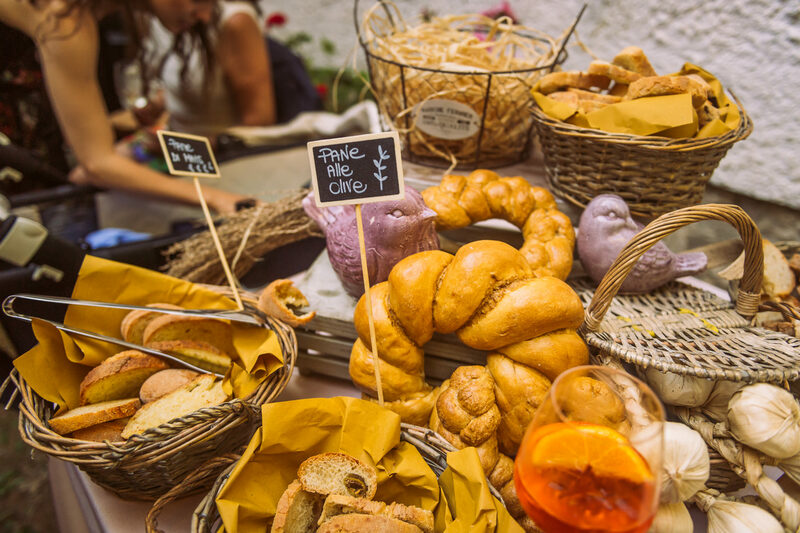 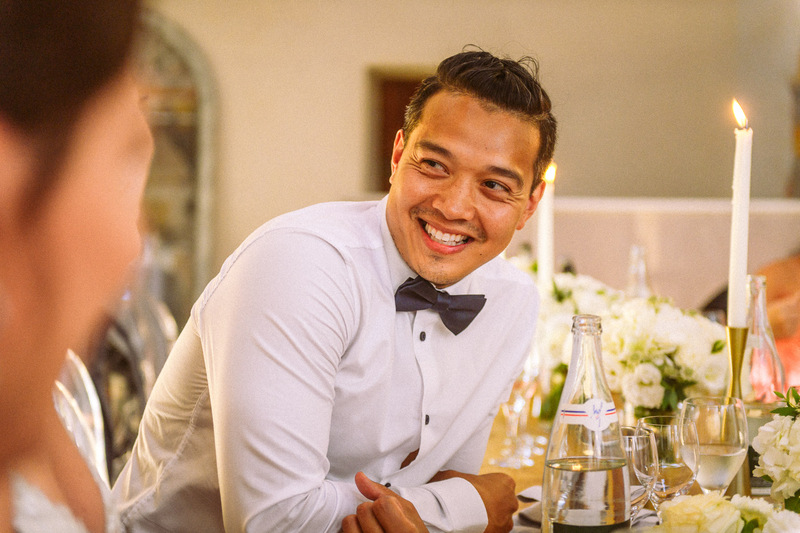 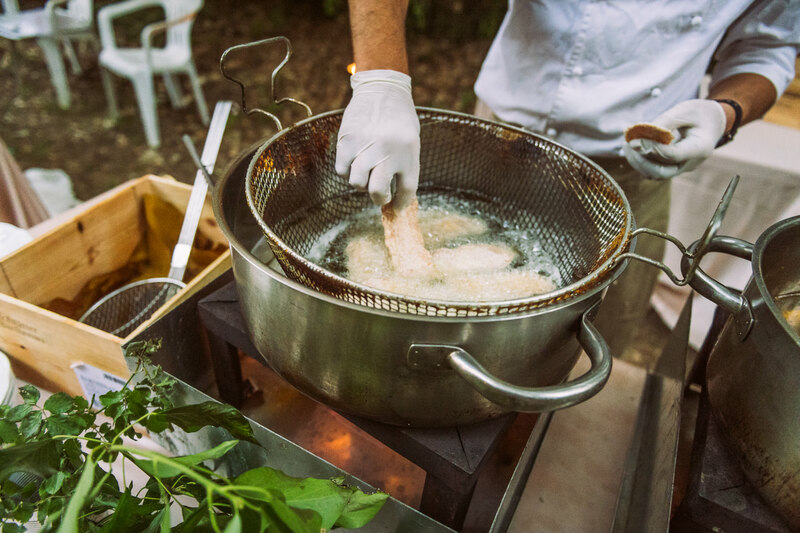 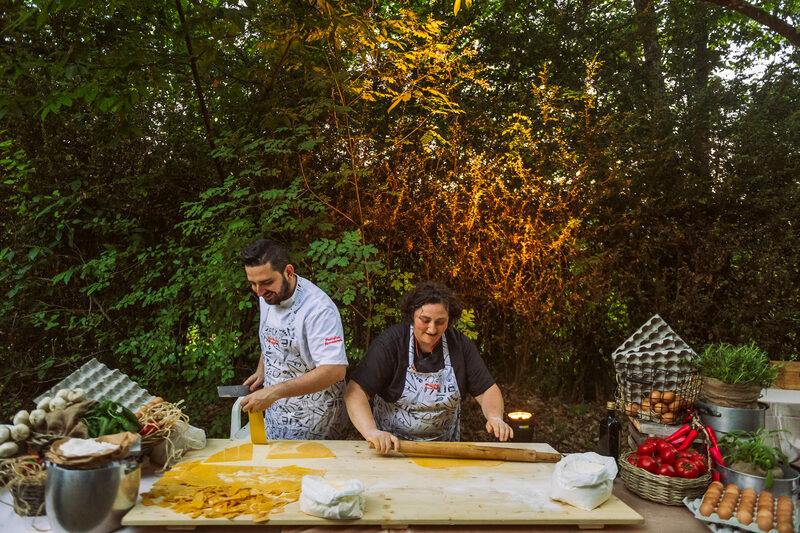 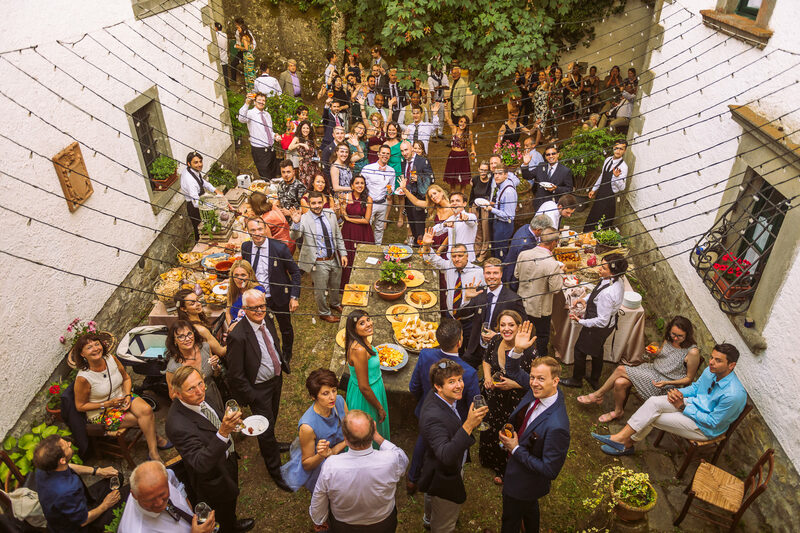 The reception dinner was an epic feast of authentically prepared Italian cuisine, hand made pasta & breads, charcuterie, fresh herbs and vegetables, and select cuts of local meats – all served with an endless supply of Chianti Classico. 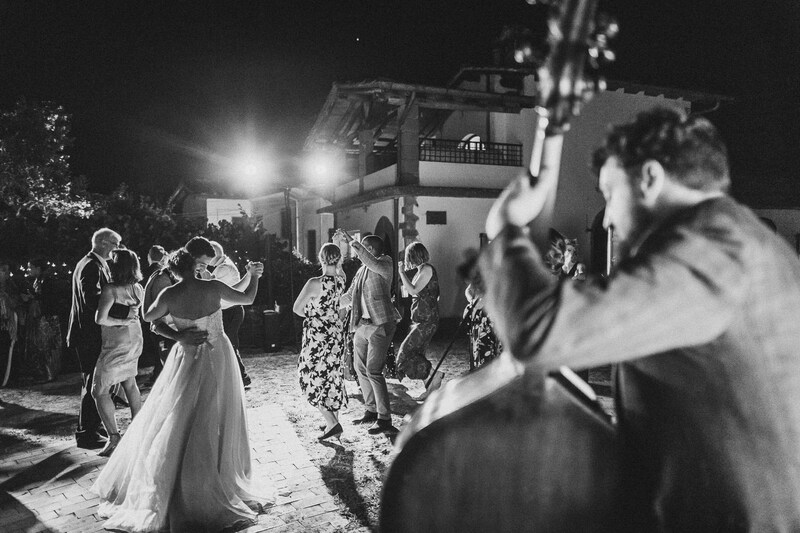 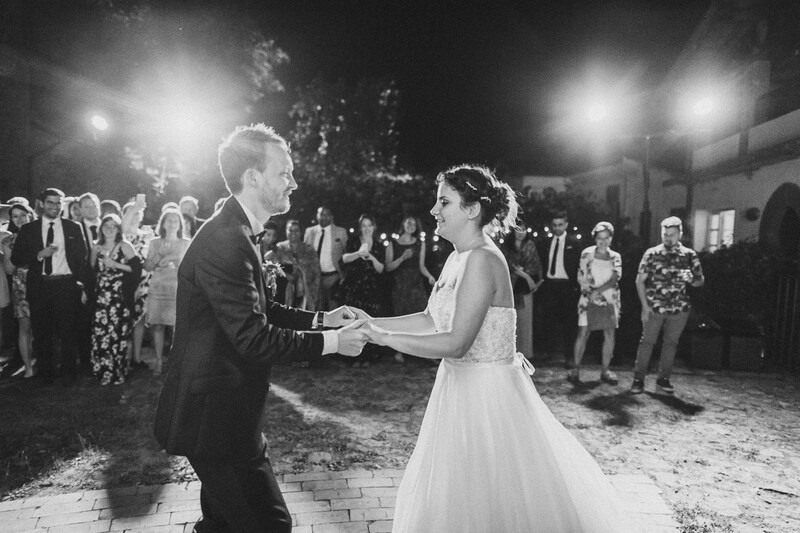 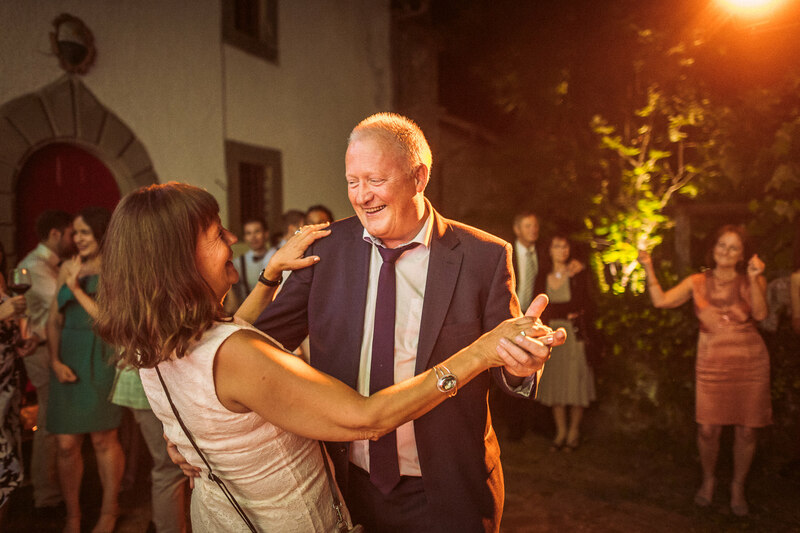 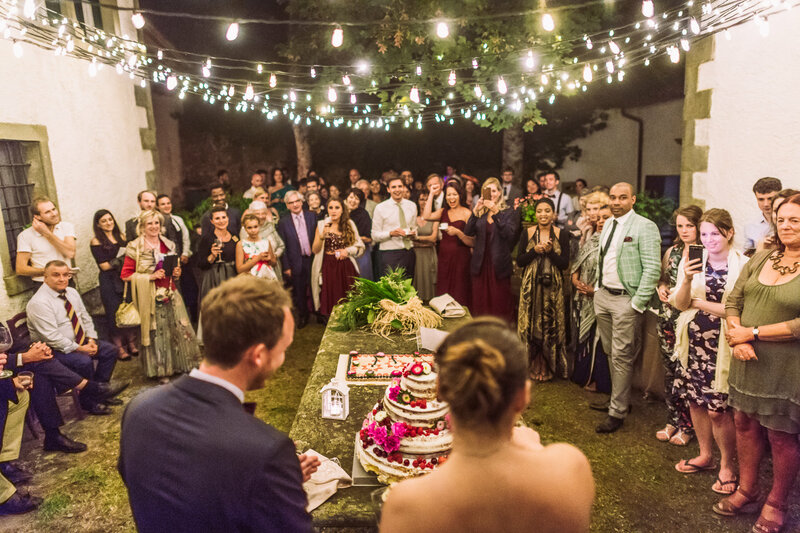 After toasts and cake cutting, the guests re-located to the center of the hamlet to dance the night away to a local band playing classical Italian songs all night until 3am. 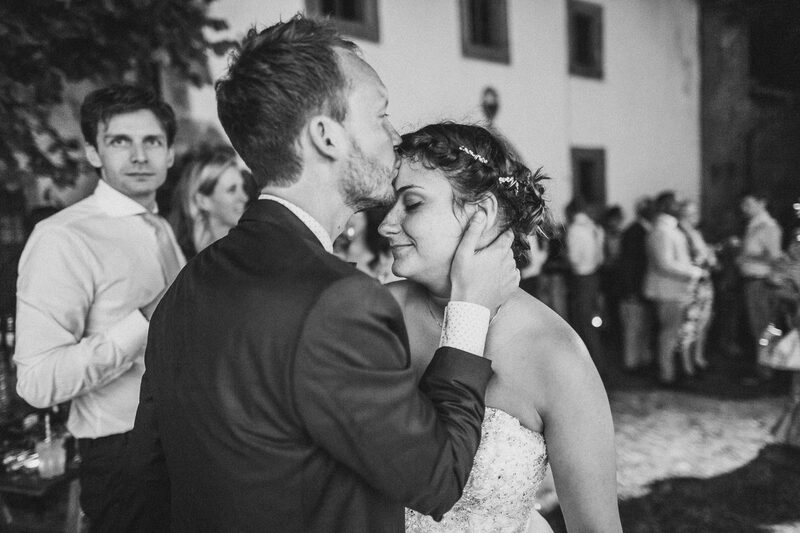 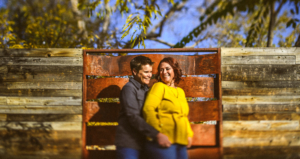 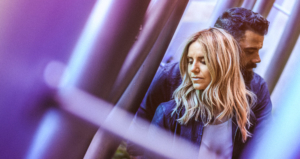 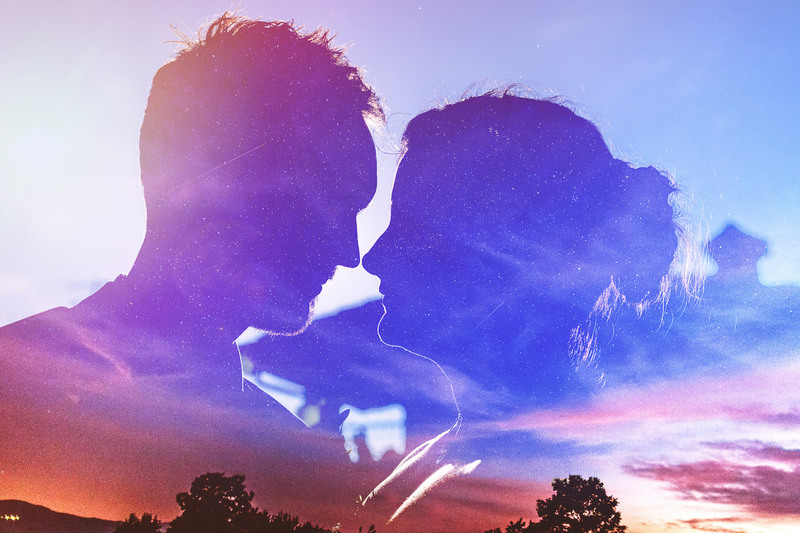 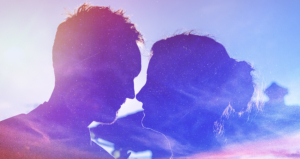 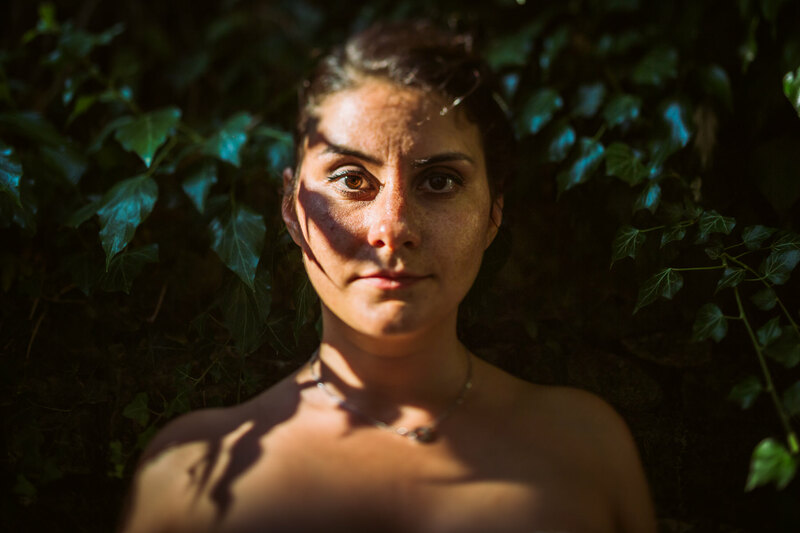 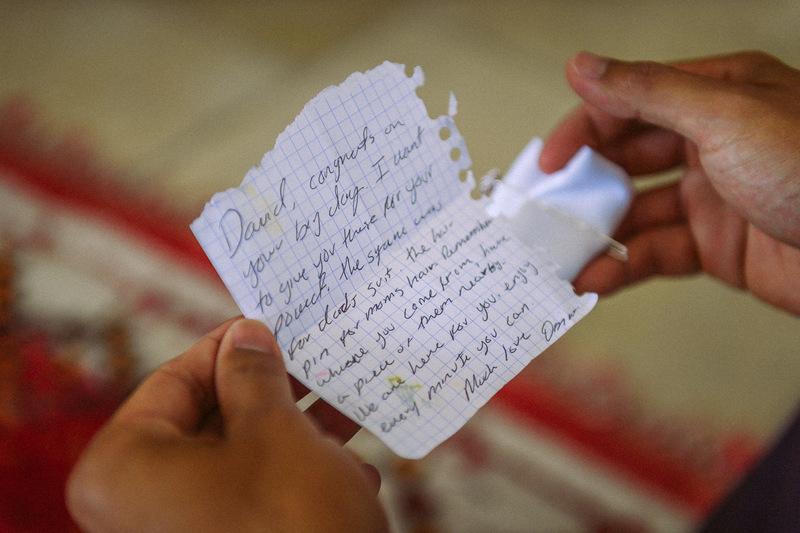 I can’t tell you how much it means for clients like Giulia and Sindre to put their trust in me and fly me half way across the world to help document the new start to their adventure together. 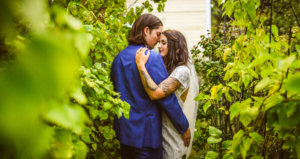 These two were truly wonderful human beings and I’m excited watch their love flourish going forward! 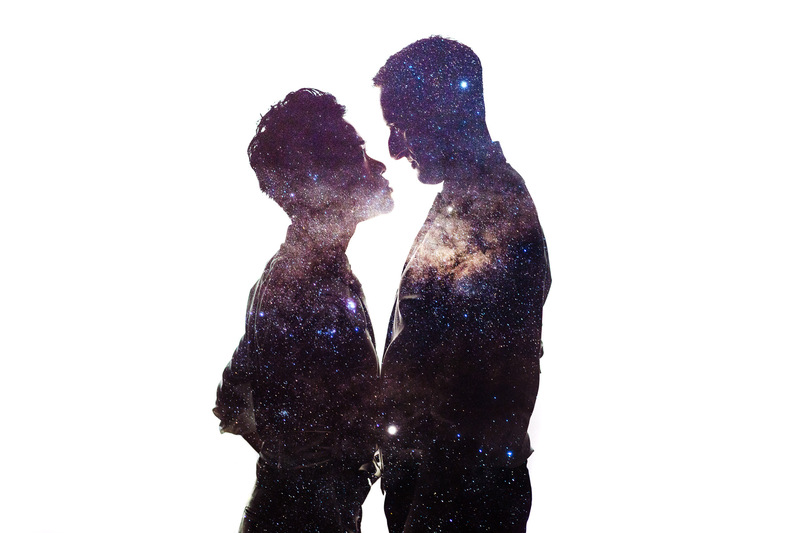 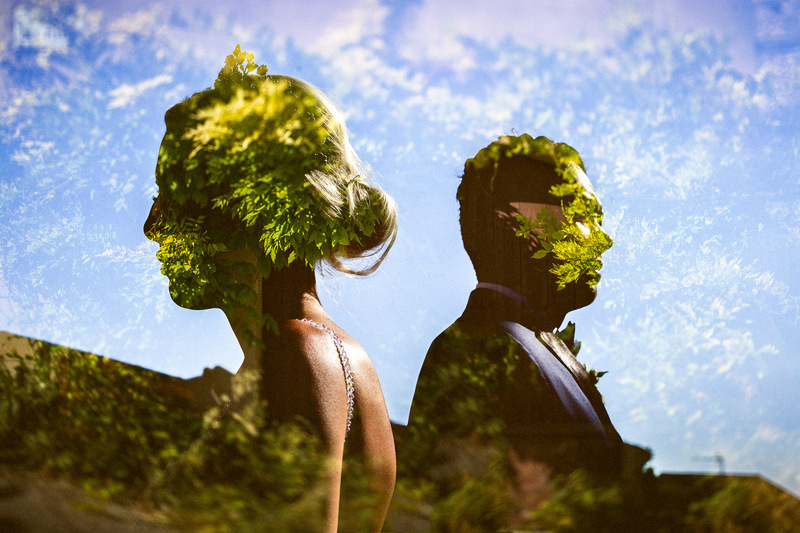 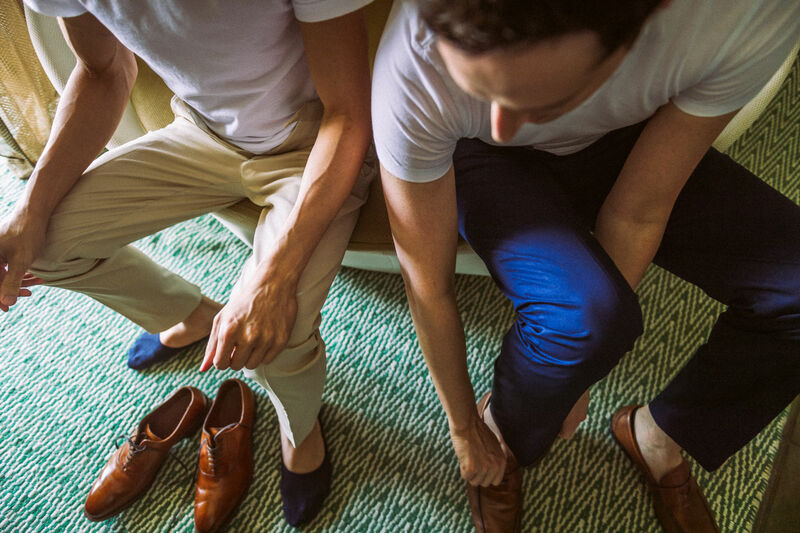 You might remember Ben & Brian from our NYC Engagement Session last year. 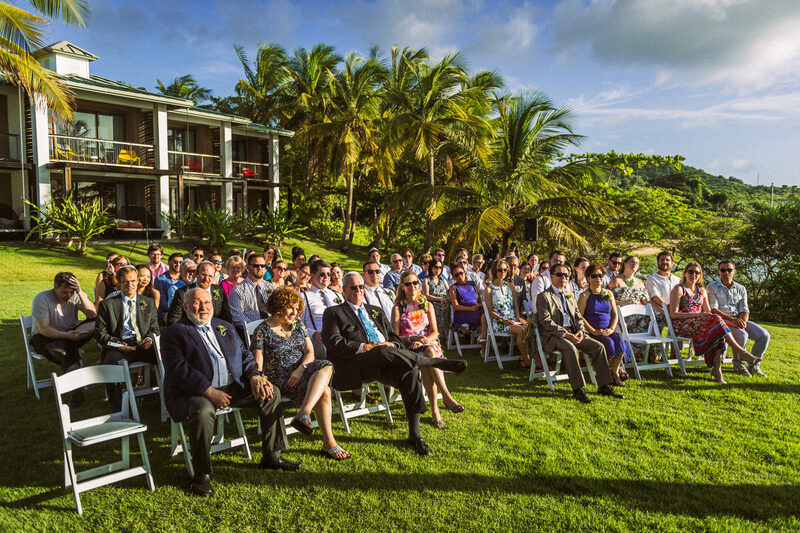 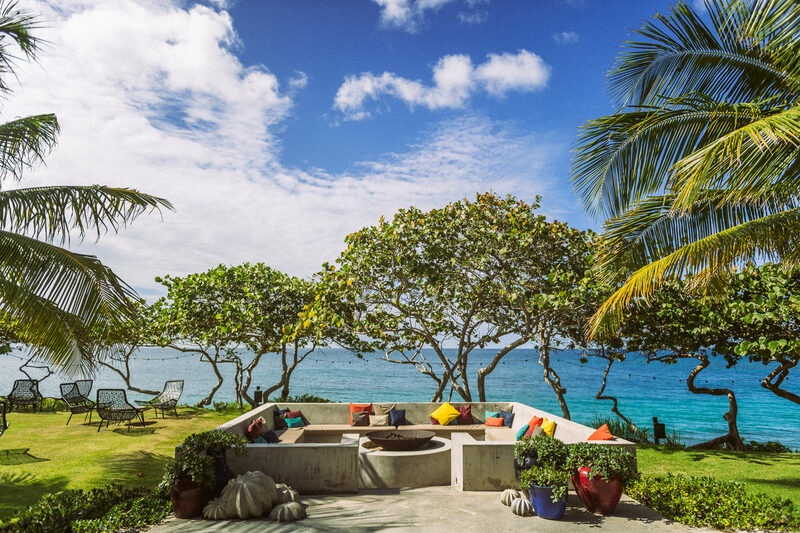 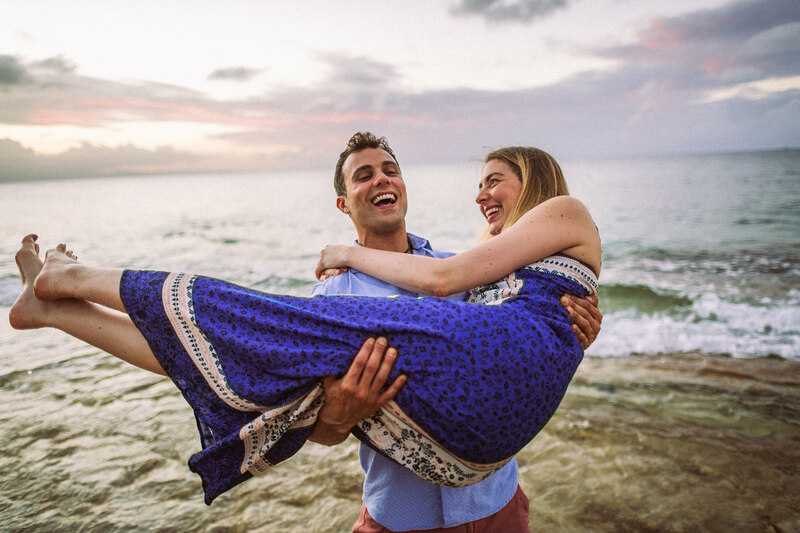 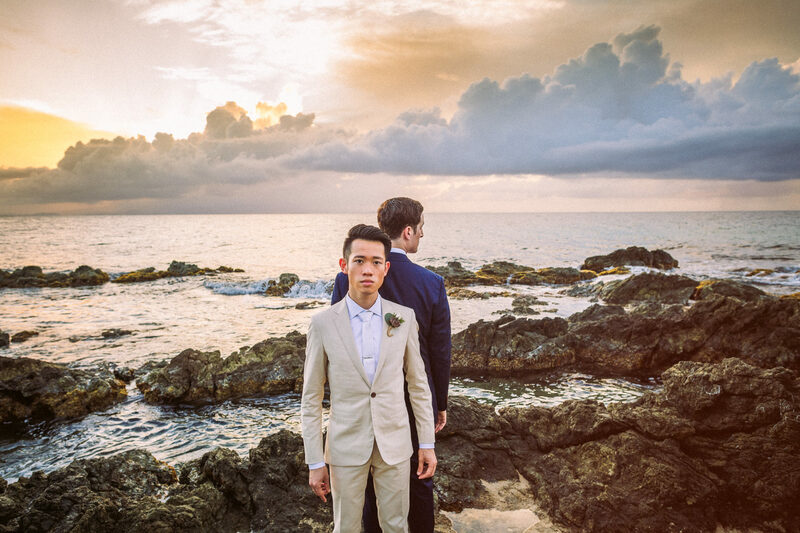 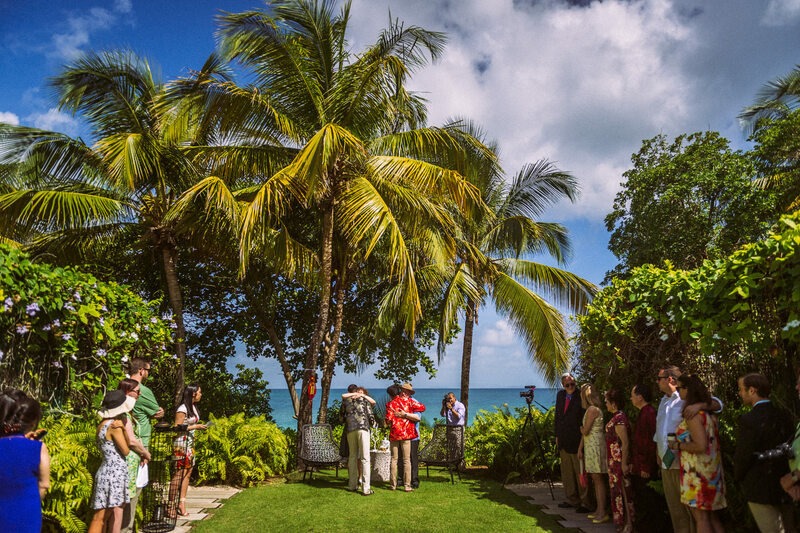 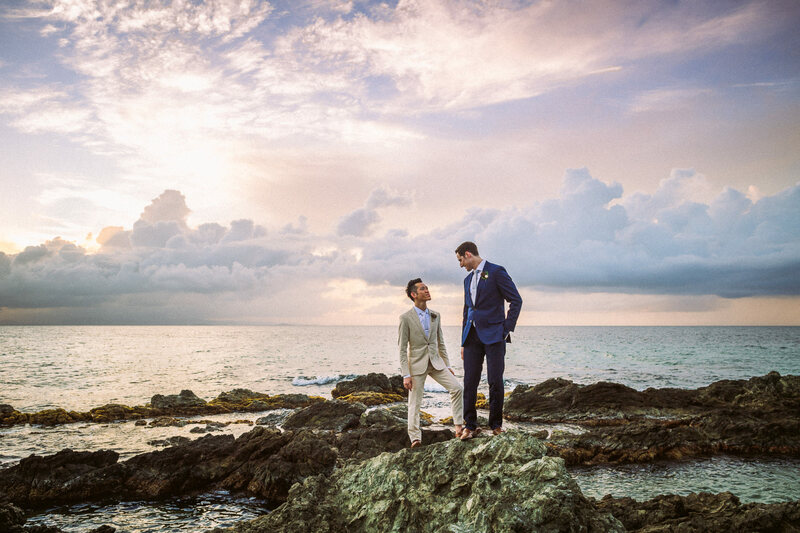 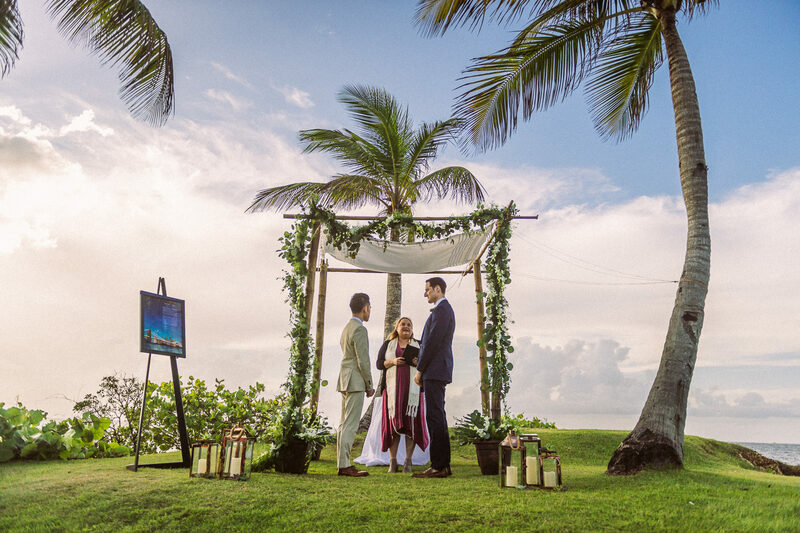 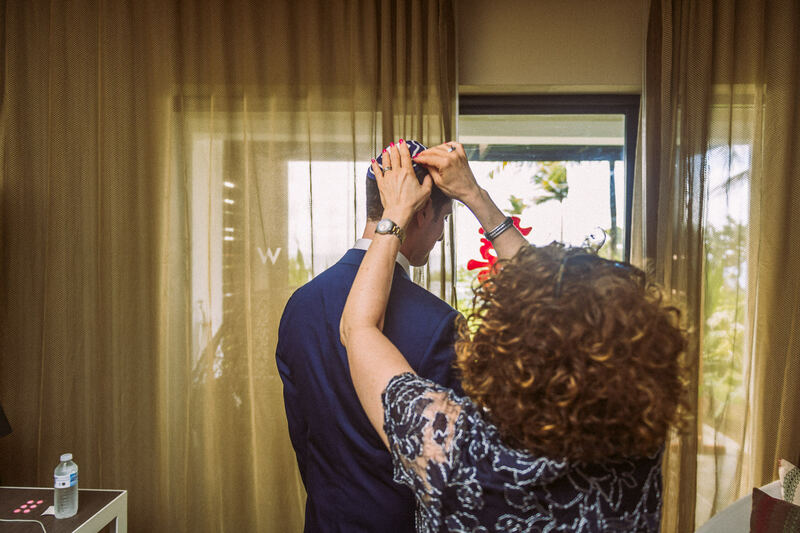 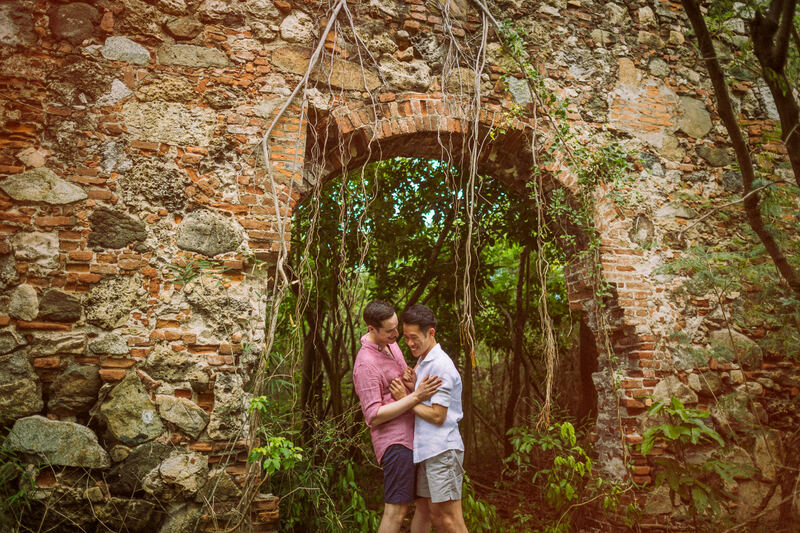 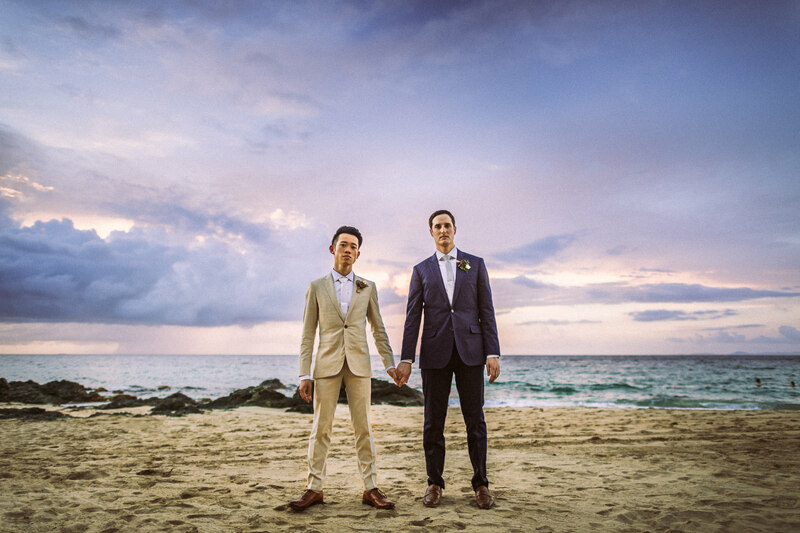 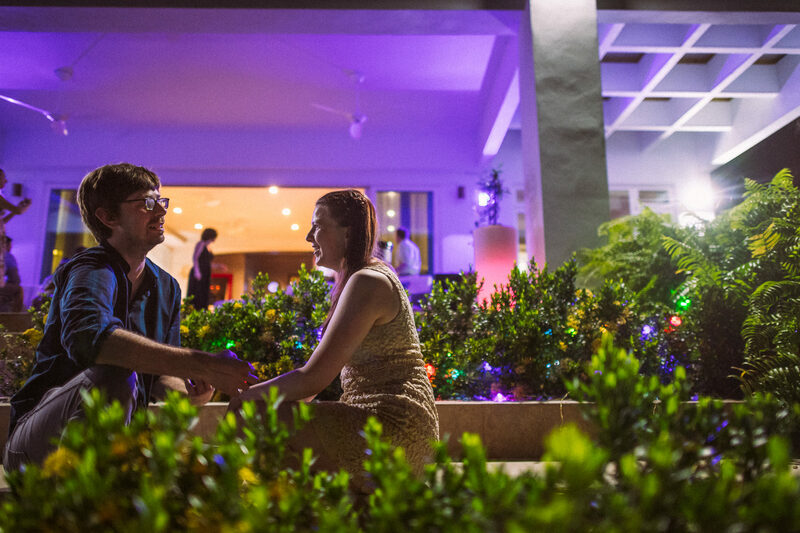 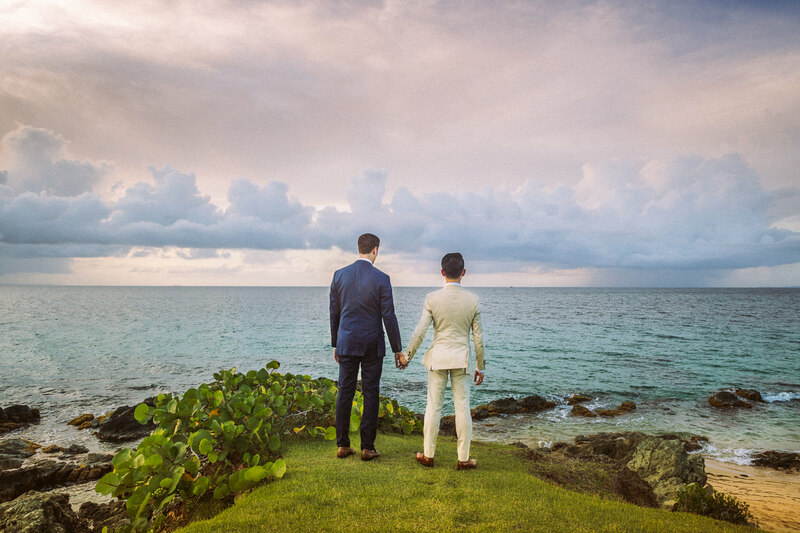 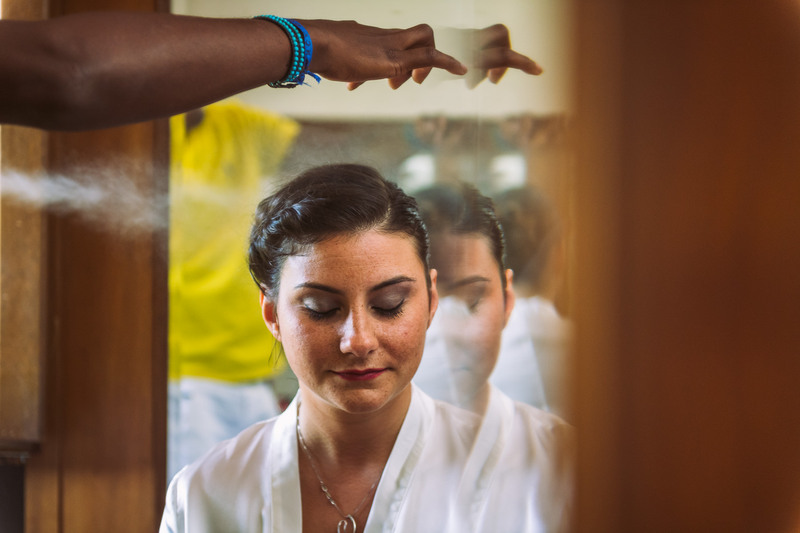 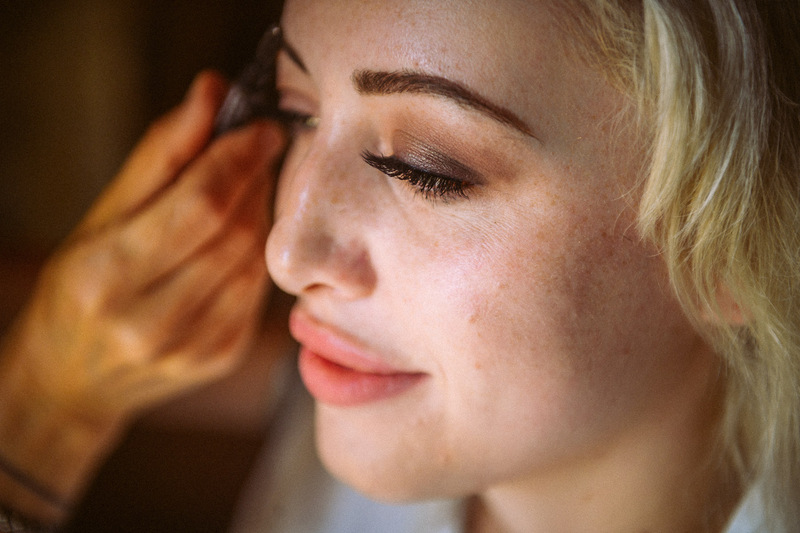 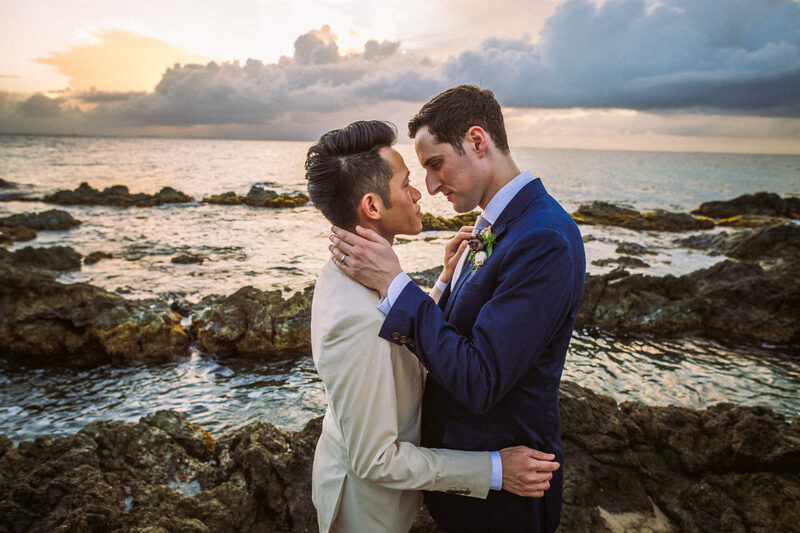 They flew me out to Vieques, Puerto Rico for a few days to document their extraordinary destination wedding in the Caribbean. 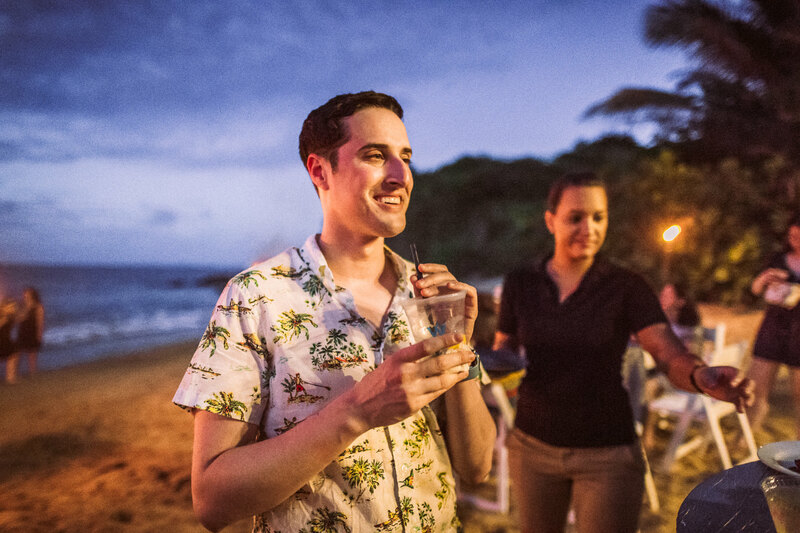 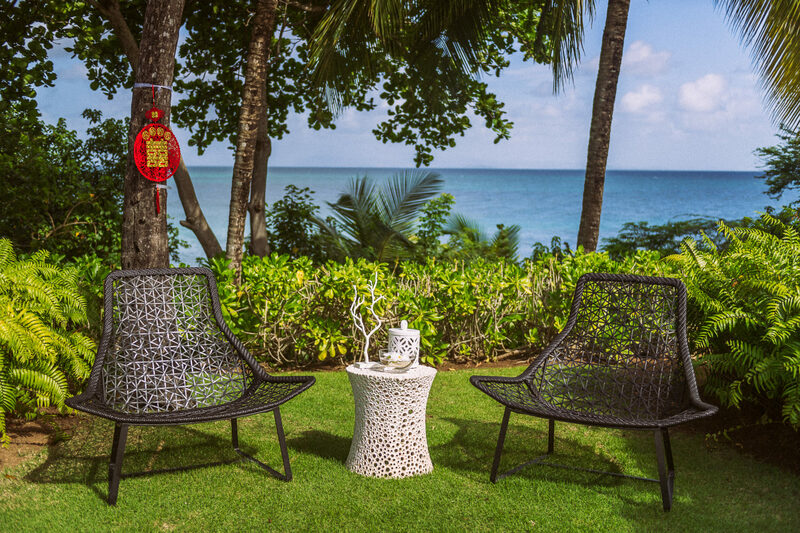 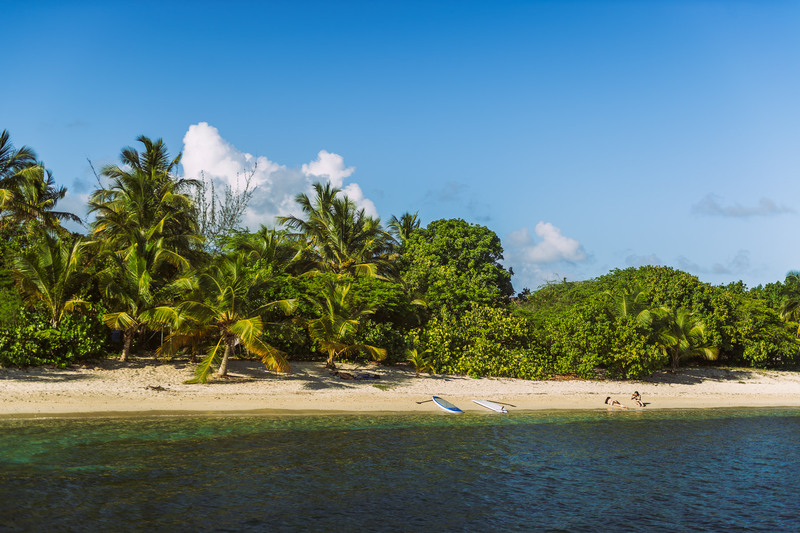 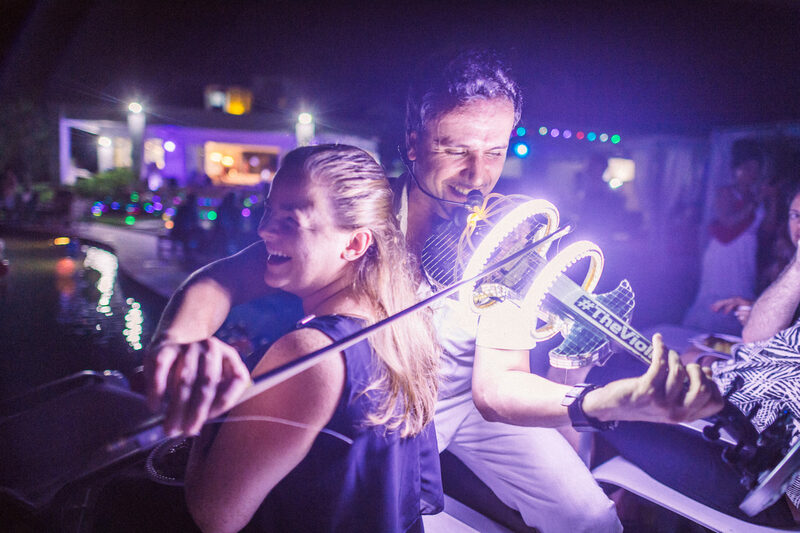 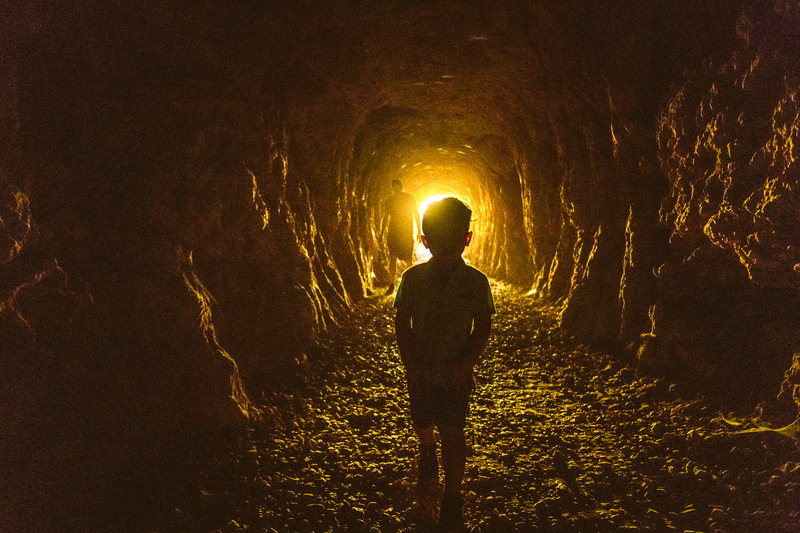 If you’ve never been on this tiny island off the main island of Puerto Rico, then I only have two recommendations for you – stay at the W Resort & Spa and go kayaking in the bioluminescence bay on a moonless night in the rain. 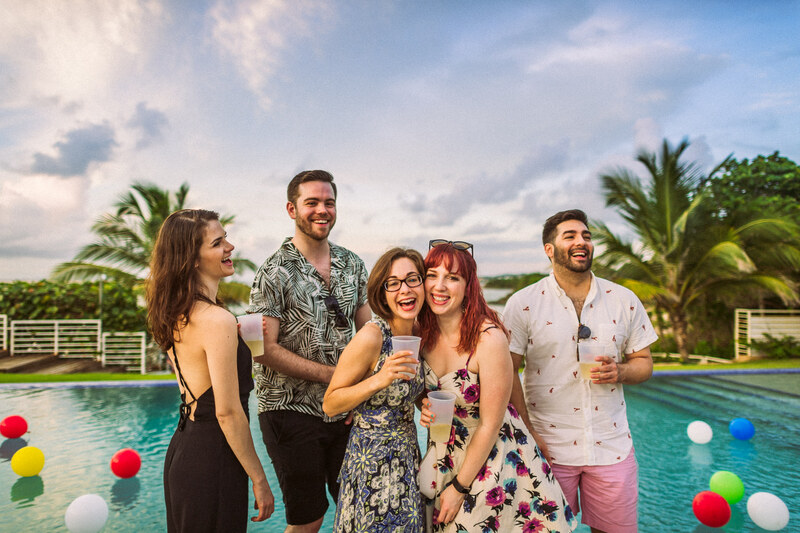 Oh and have some awesome people with you like I did. 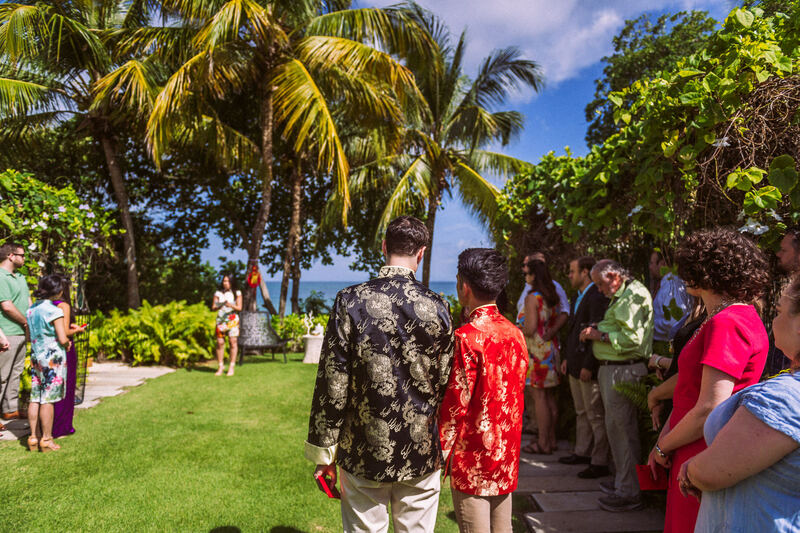 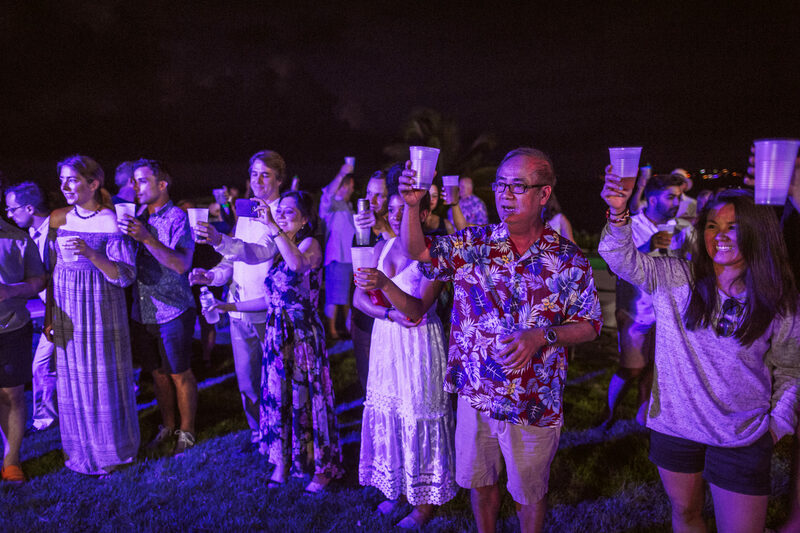 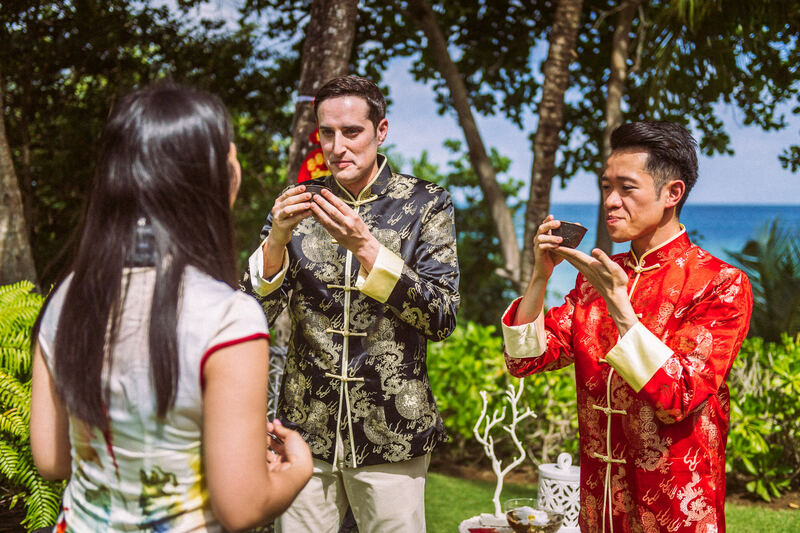 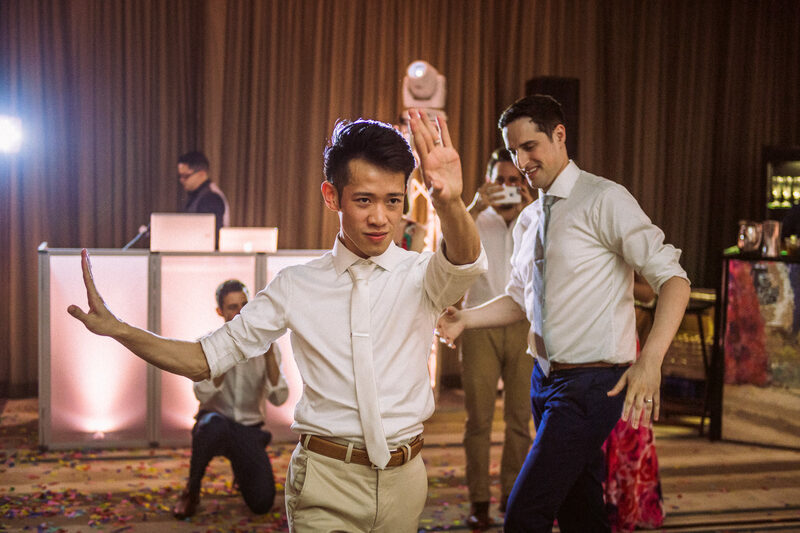 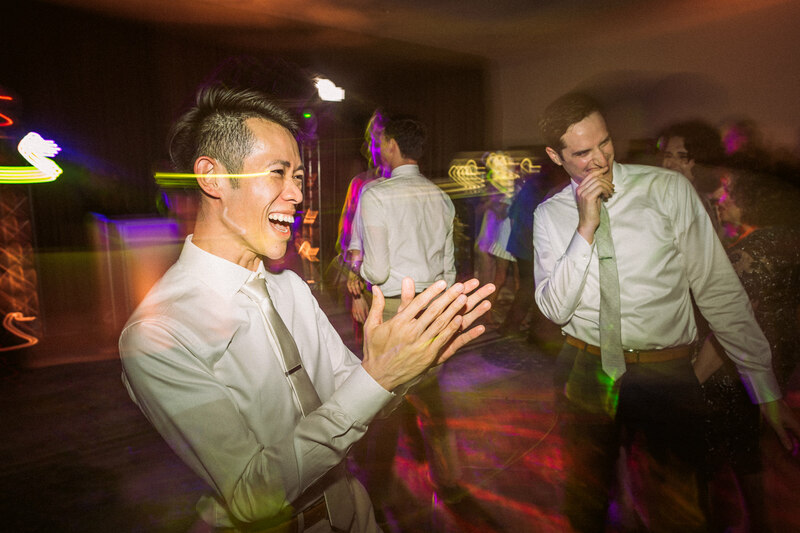 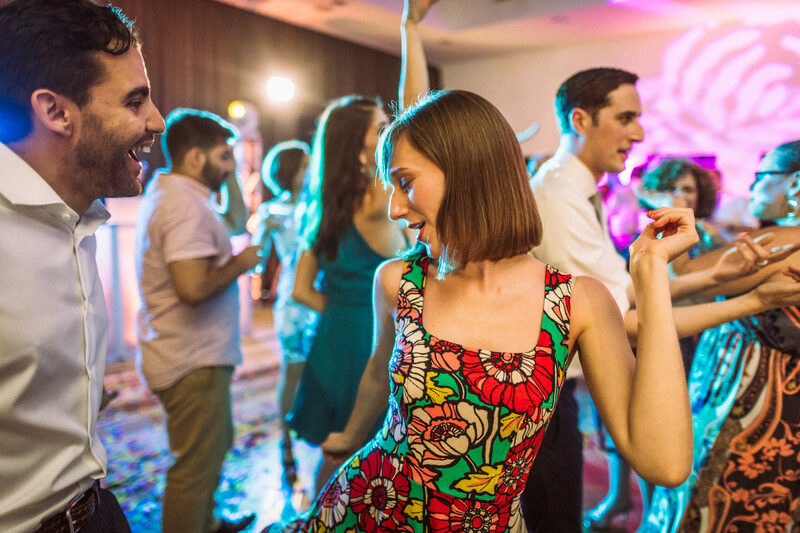 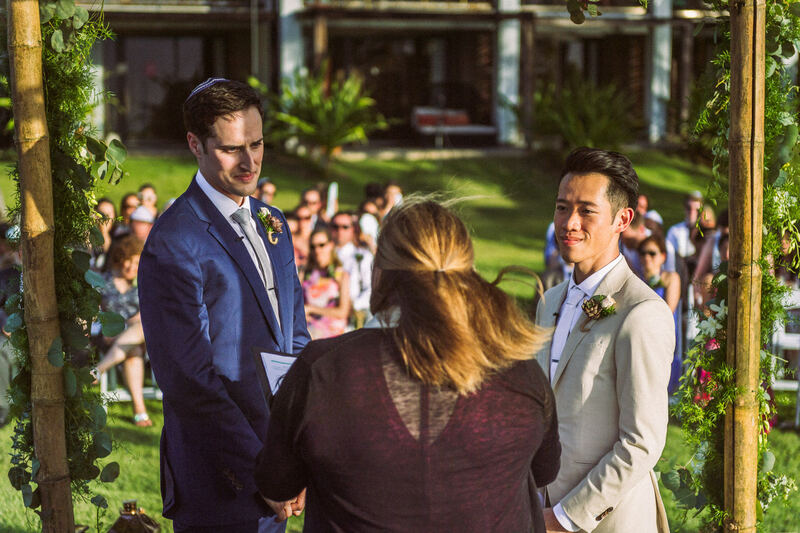 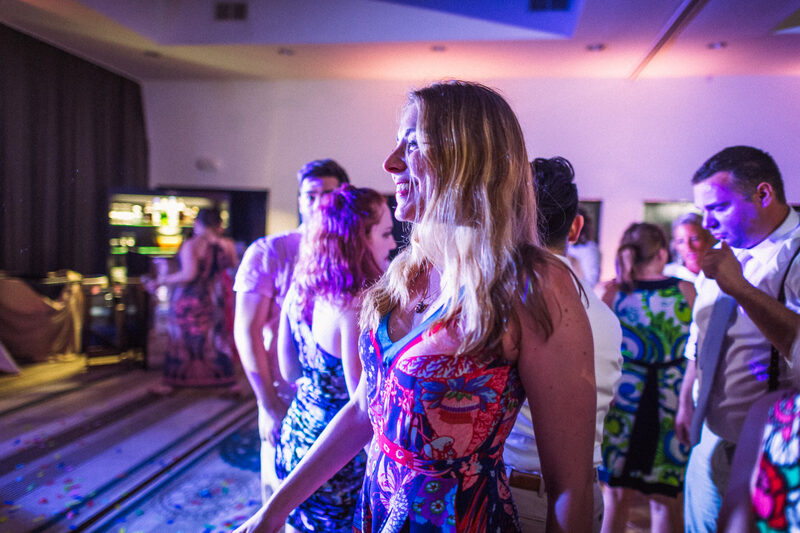 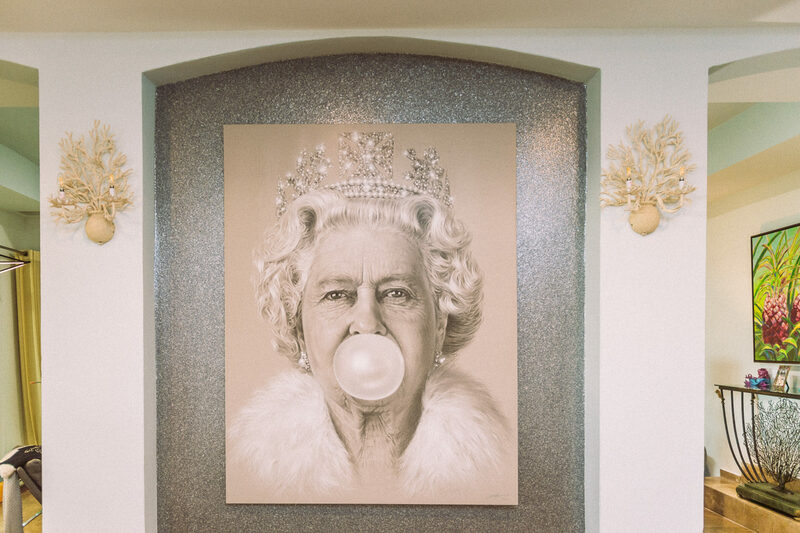 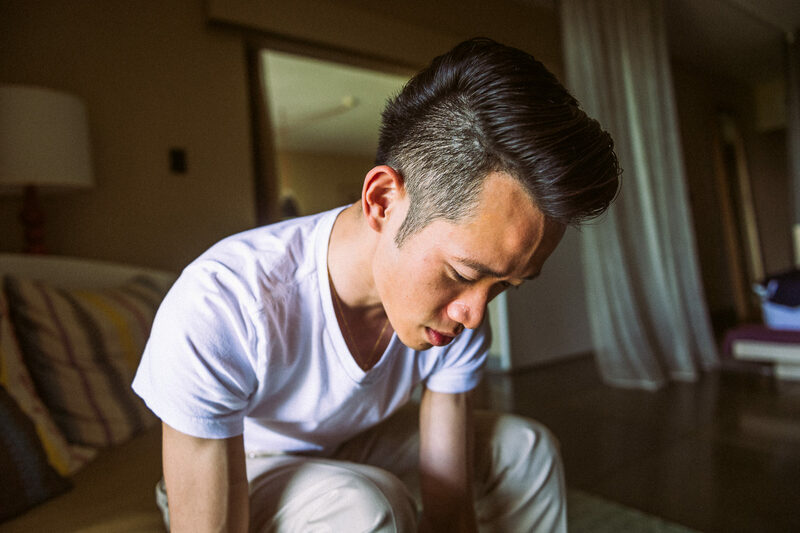 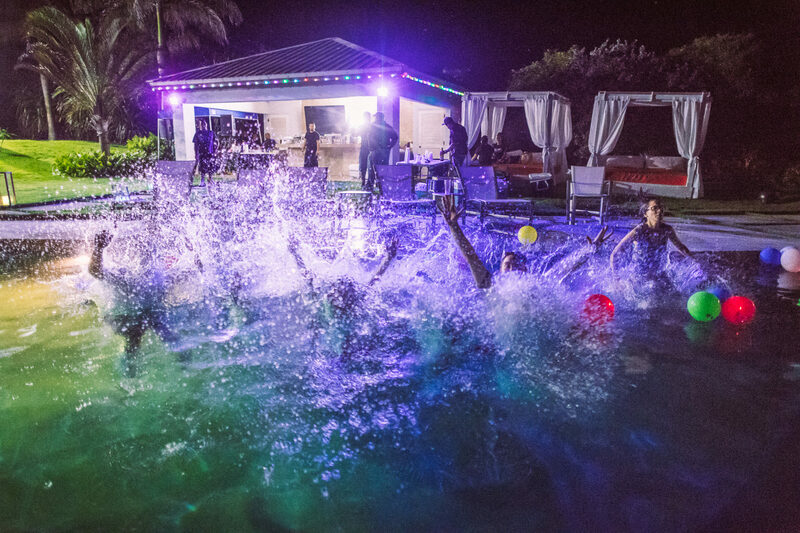 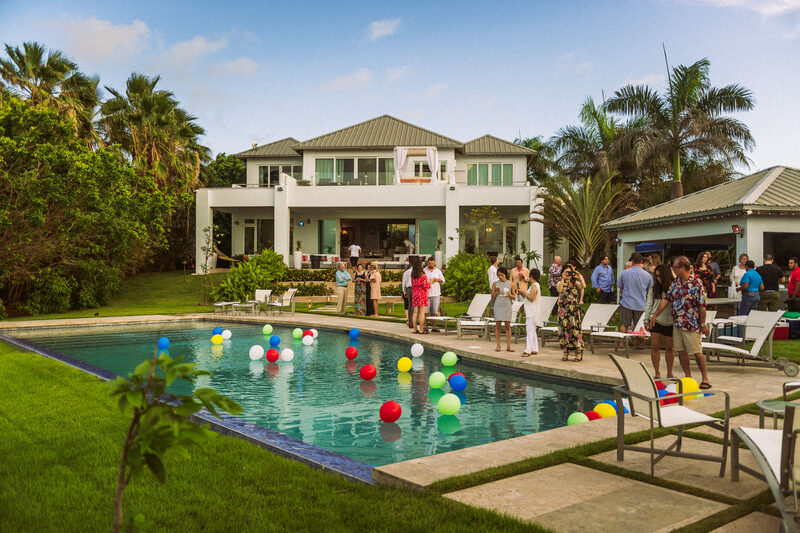 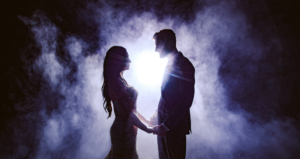 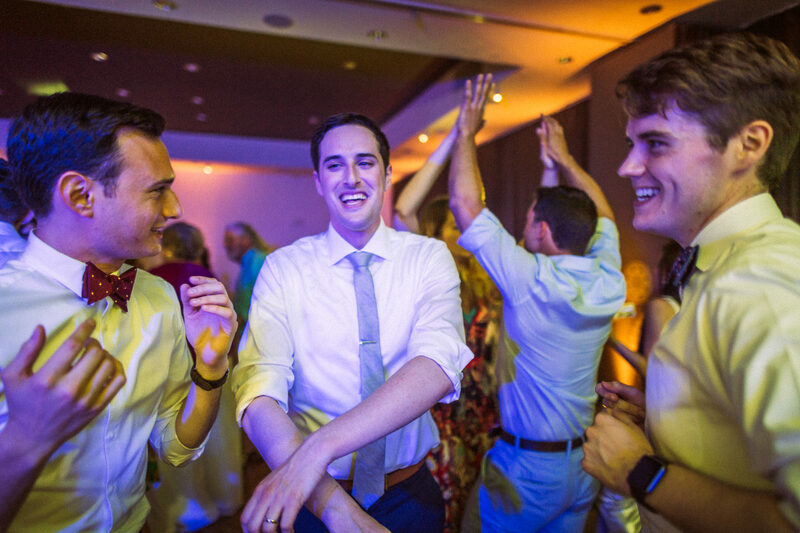 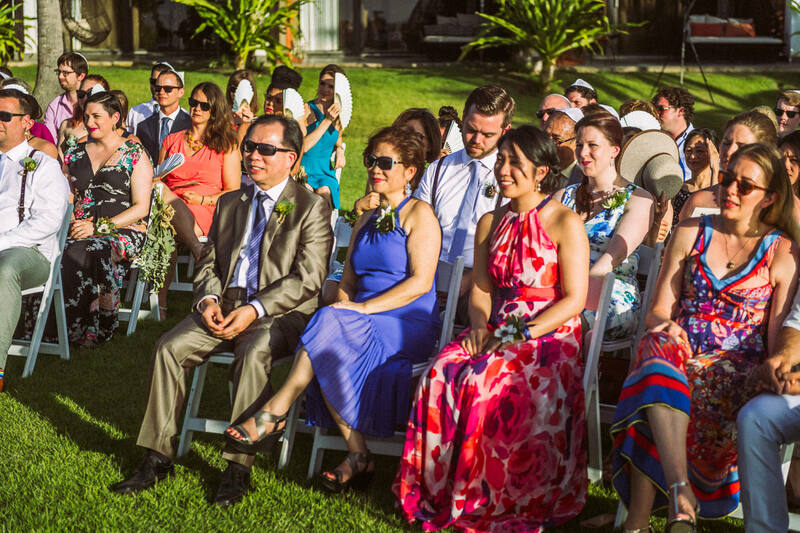 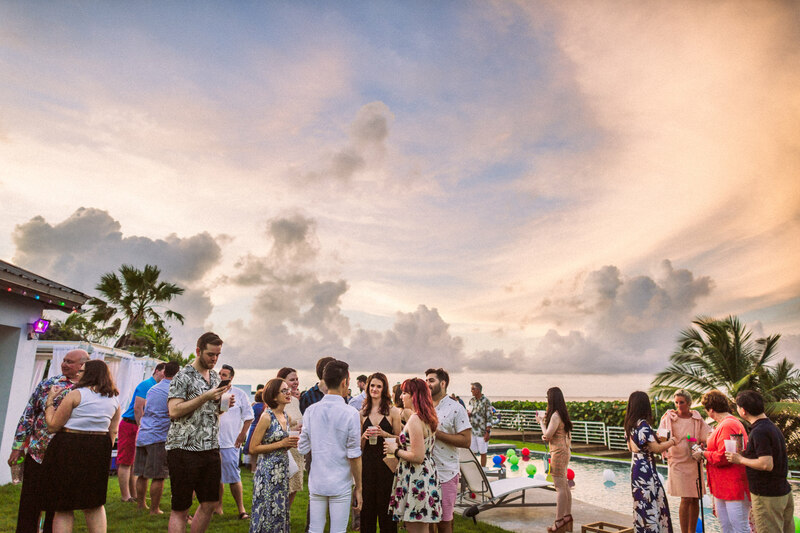 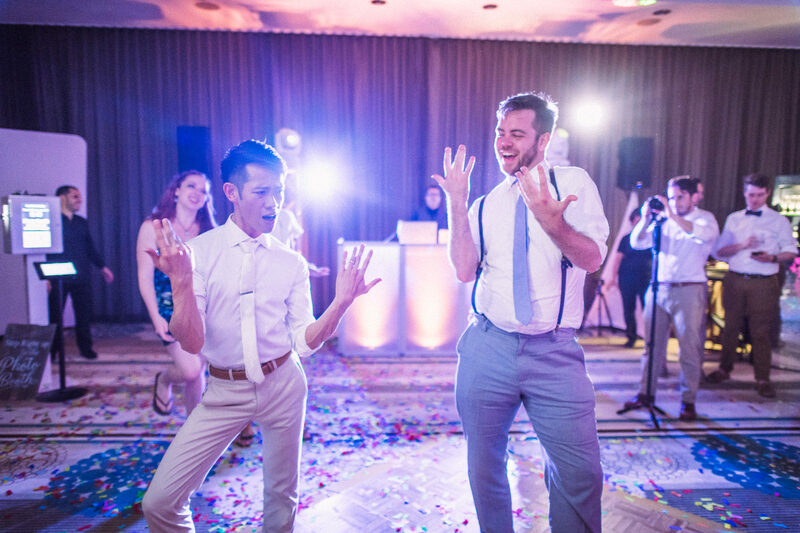 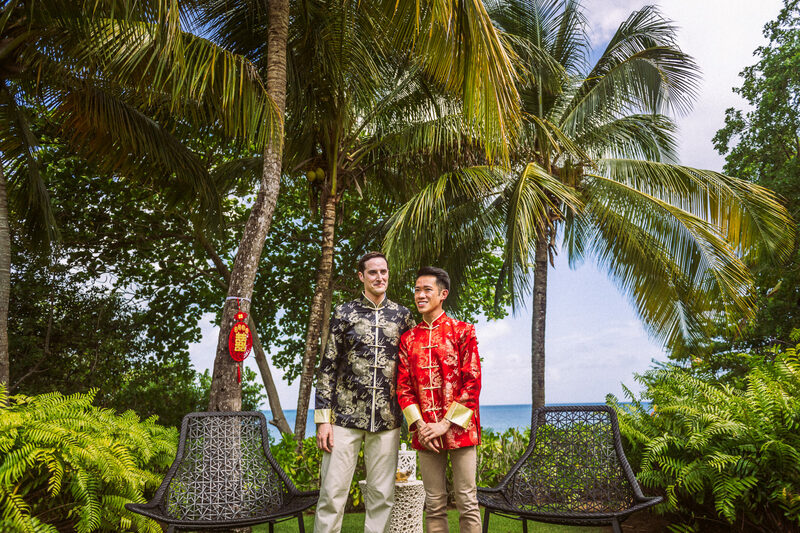 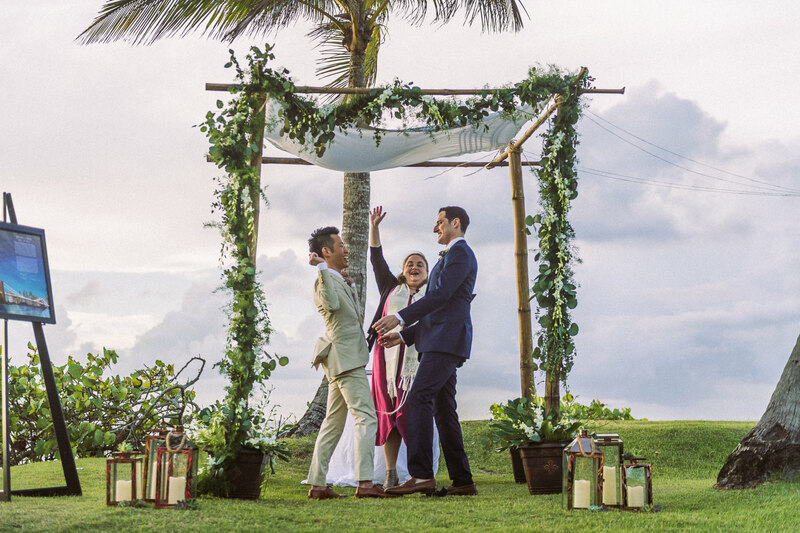 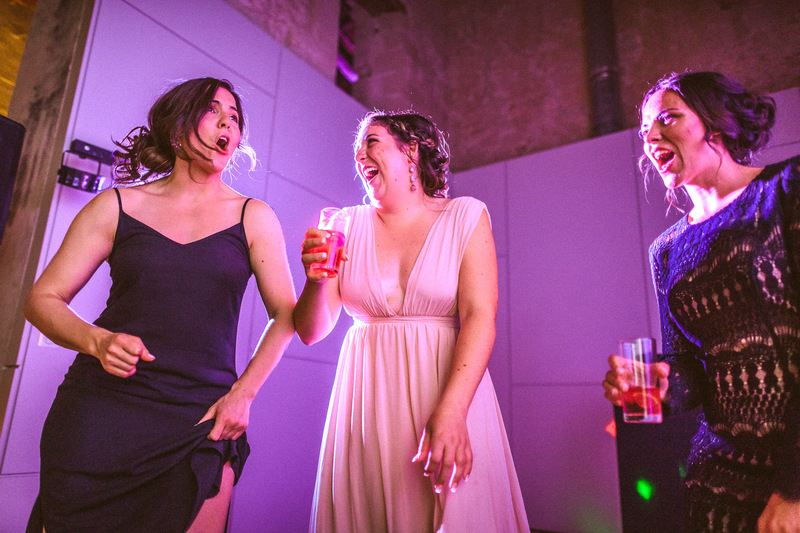 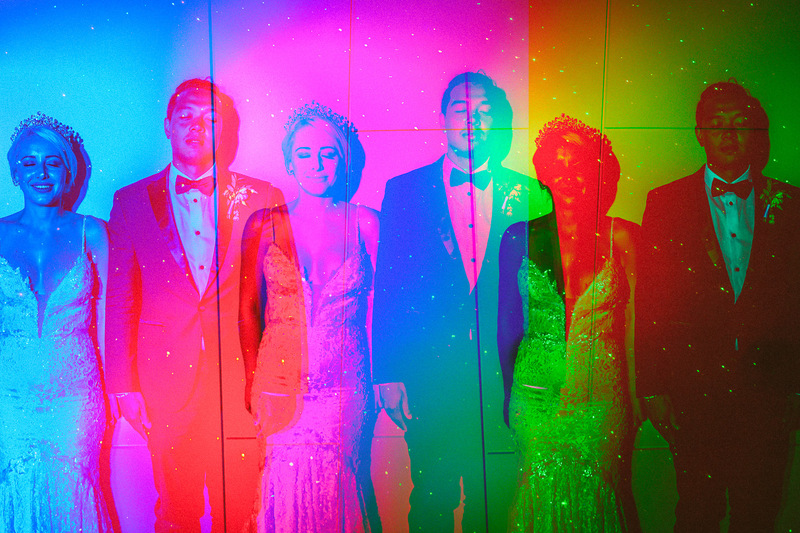 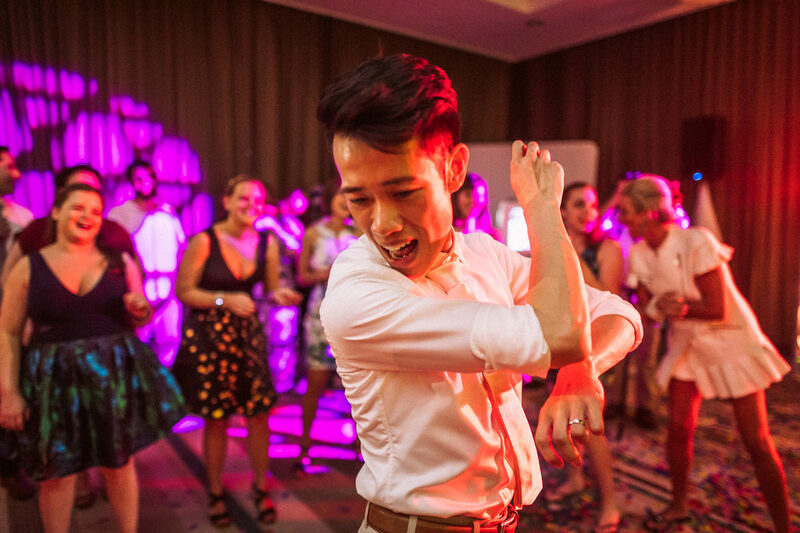 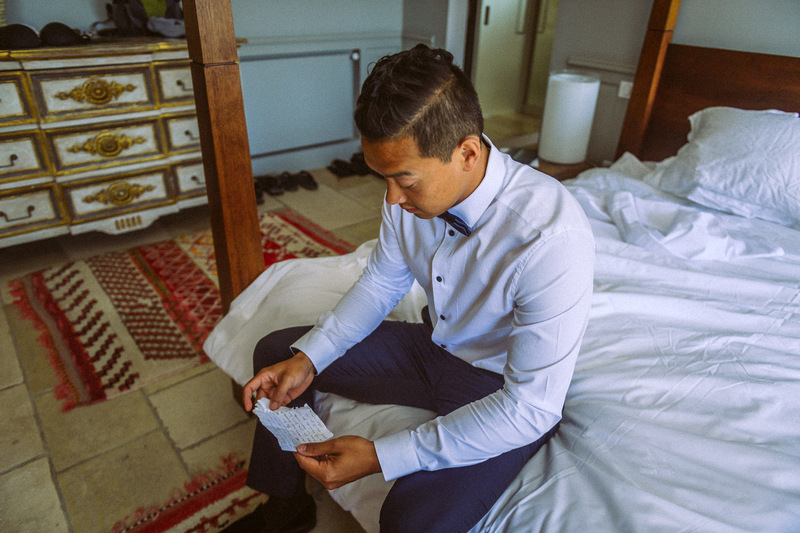 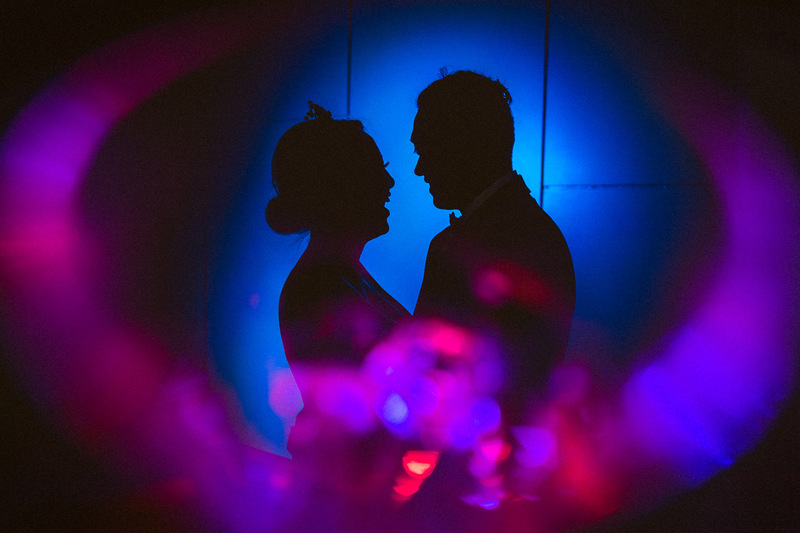 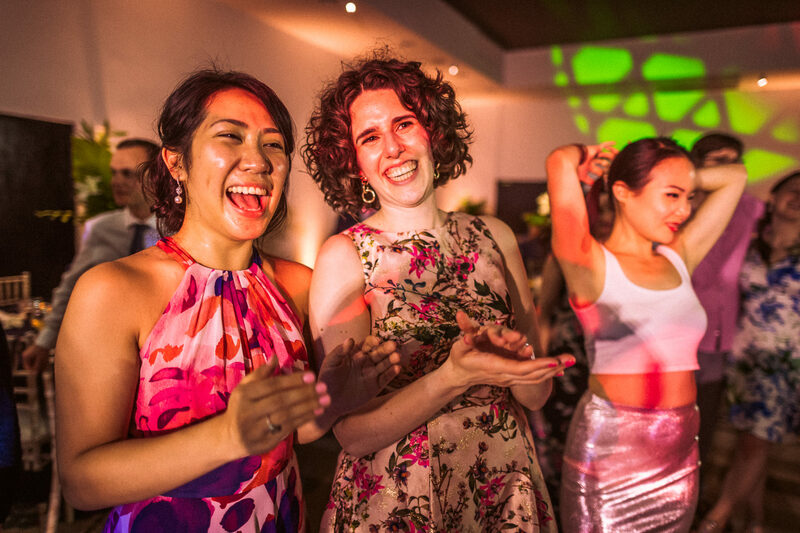 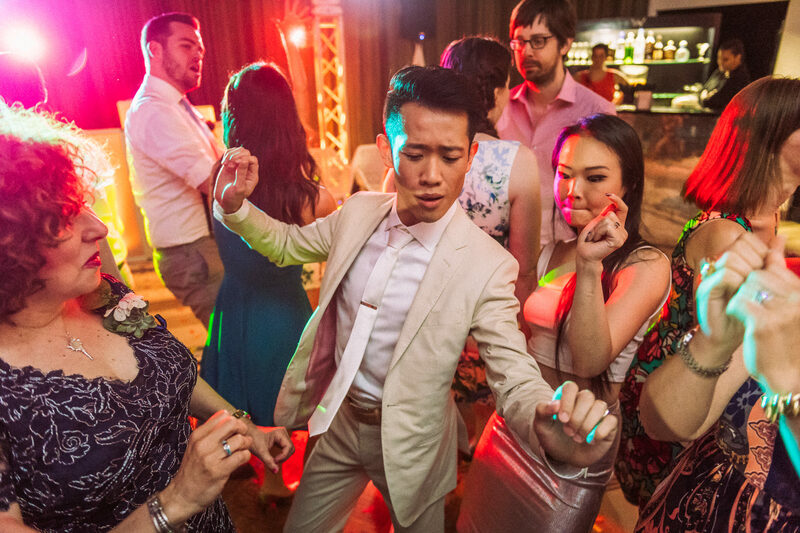 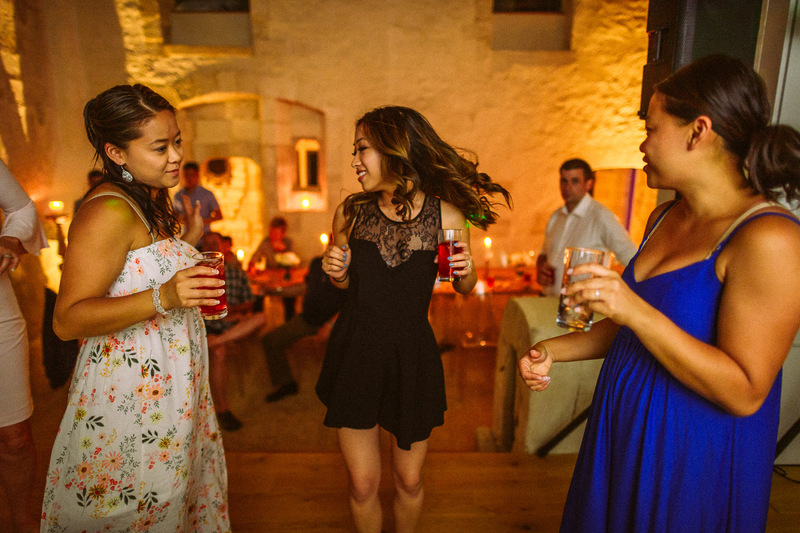 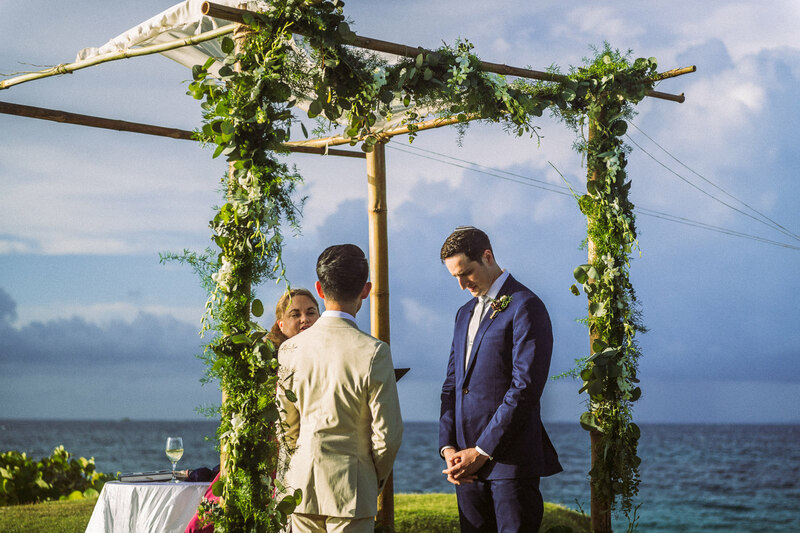 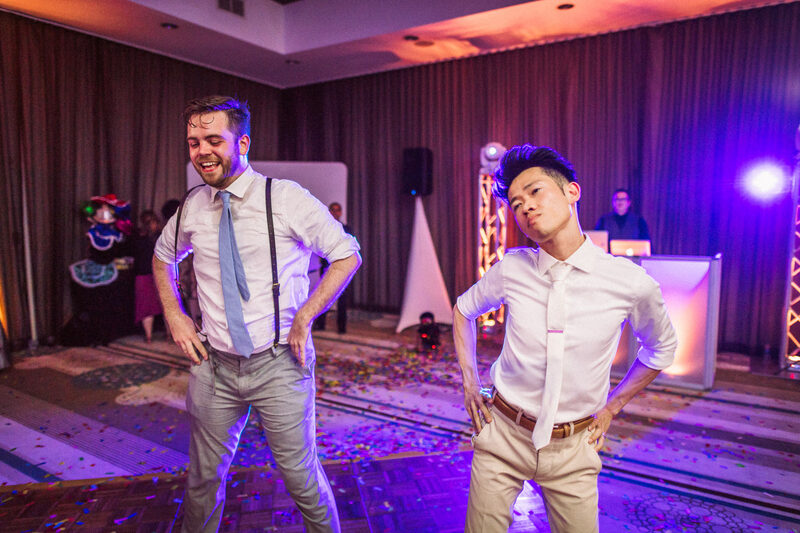 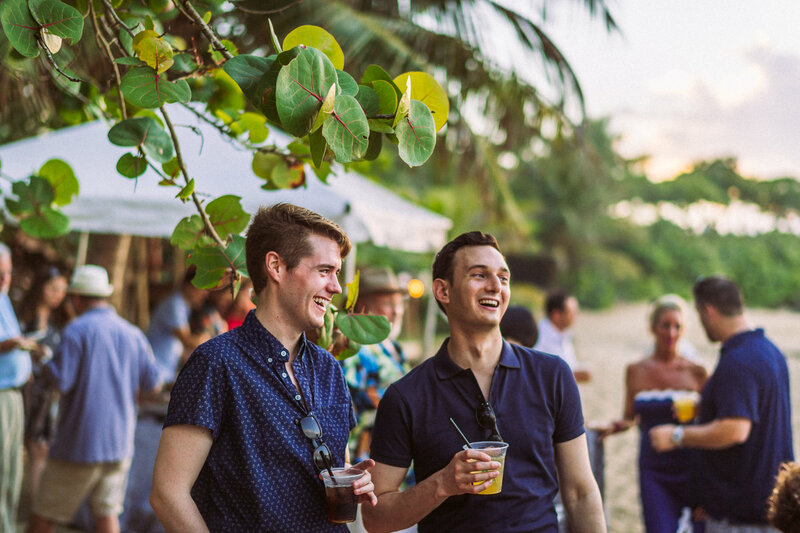 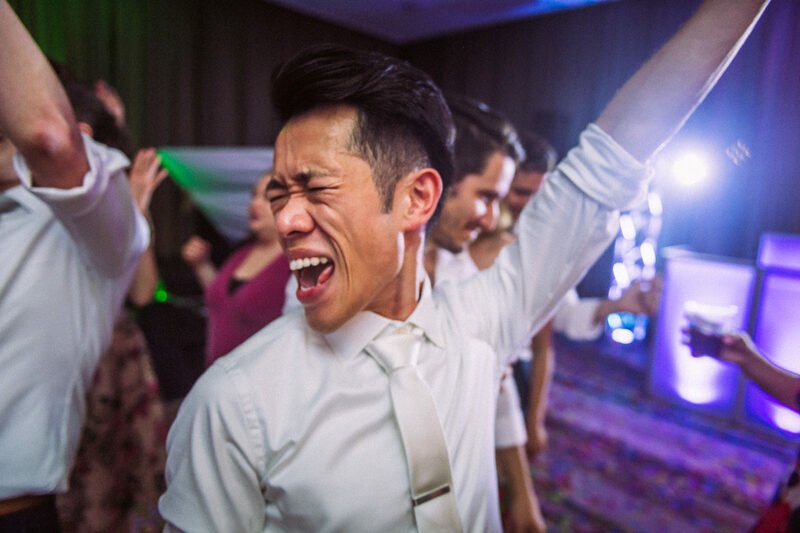 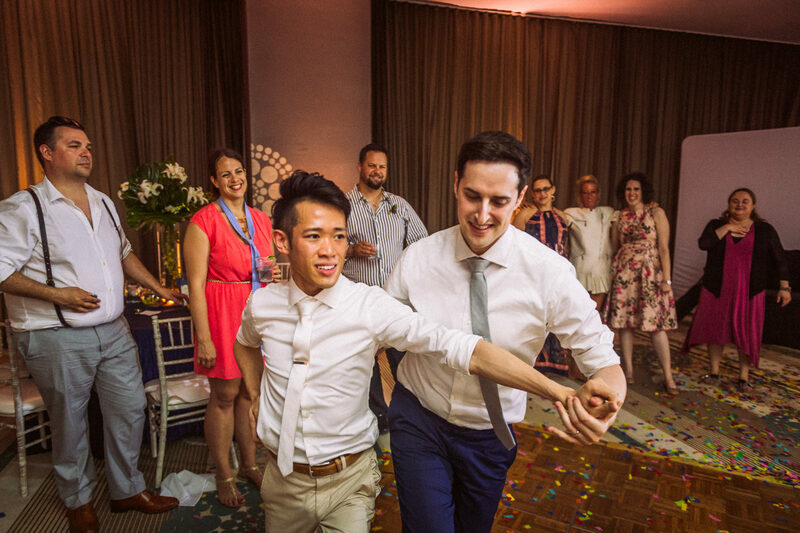 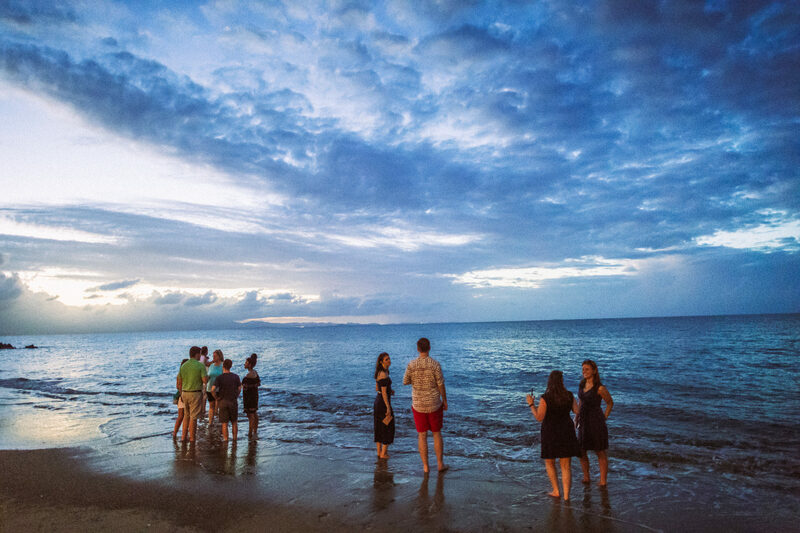 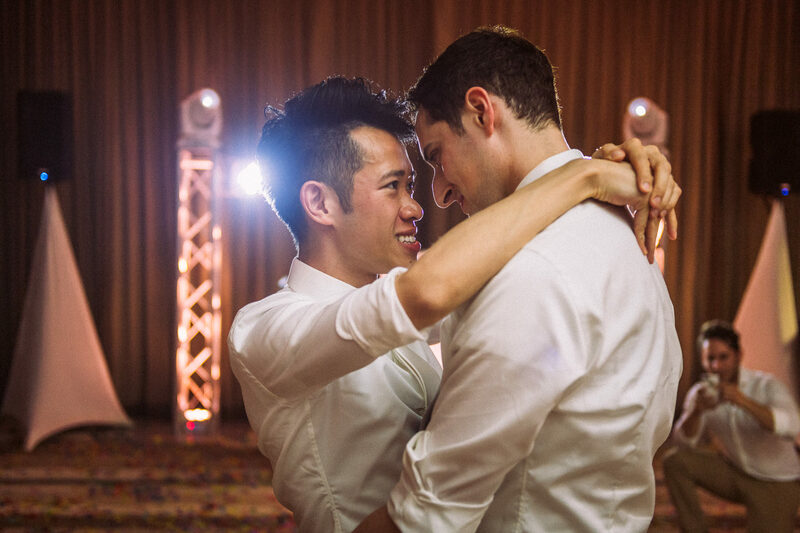 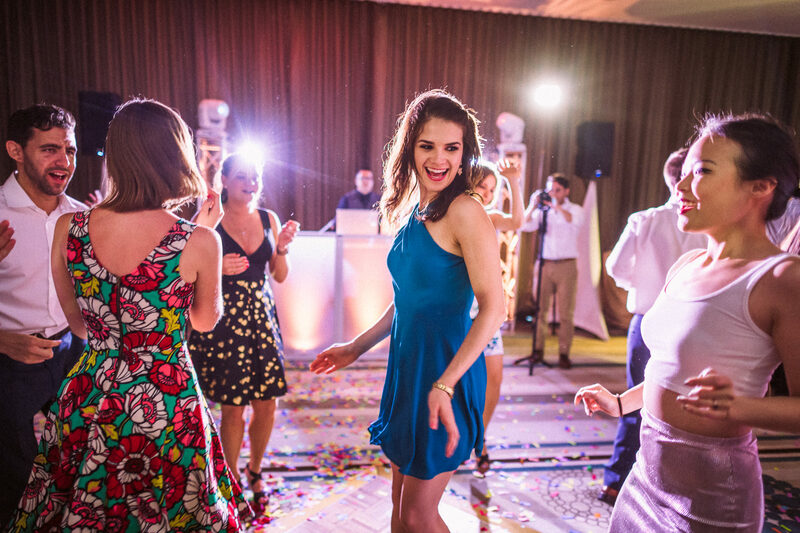 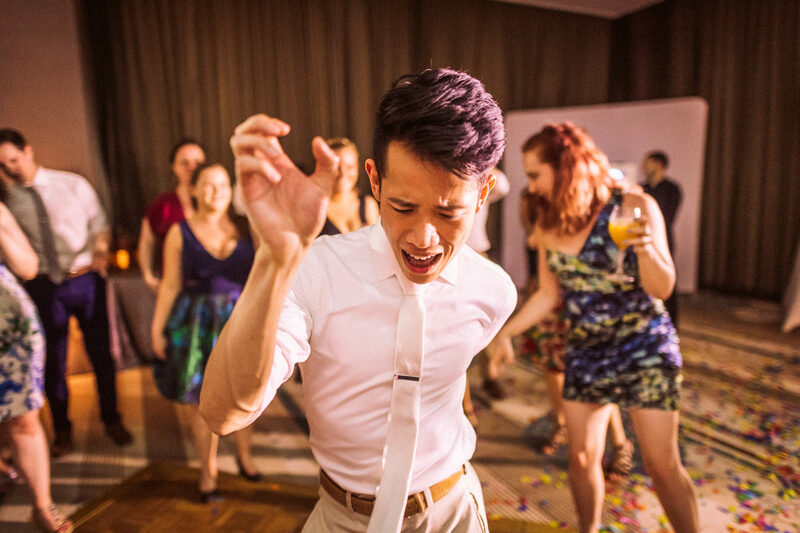 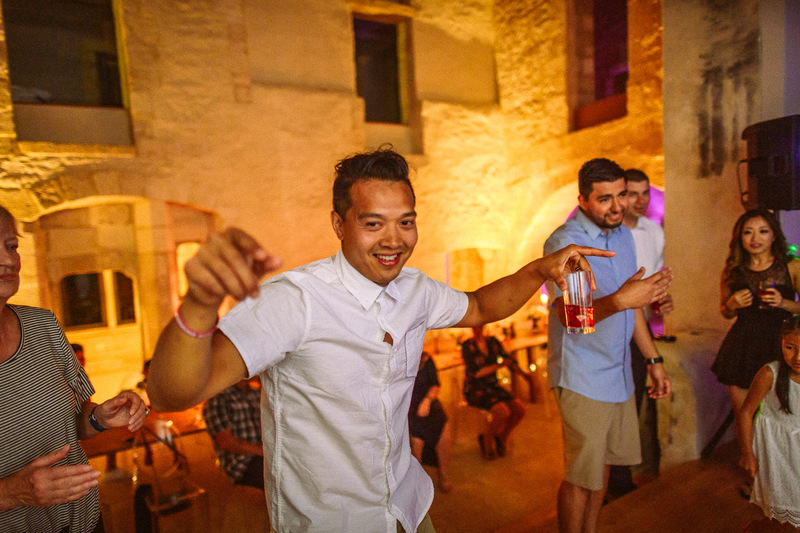 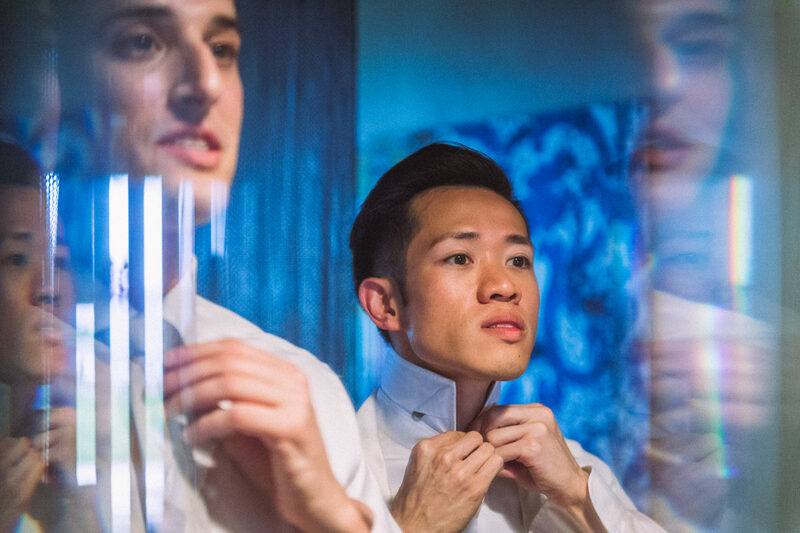 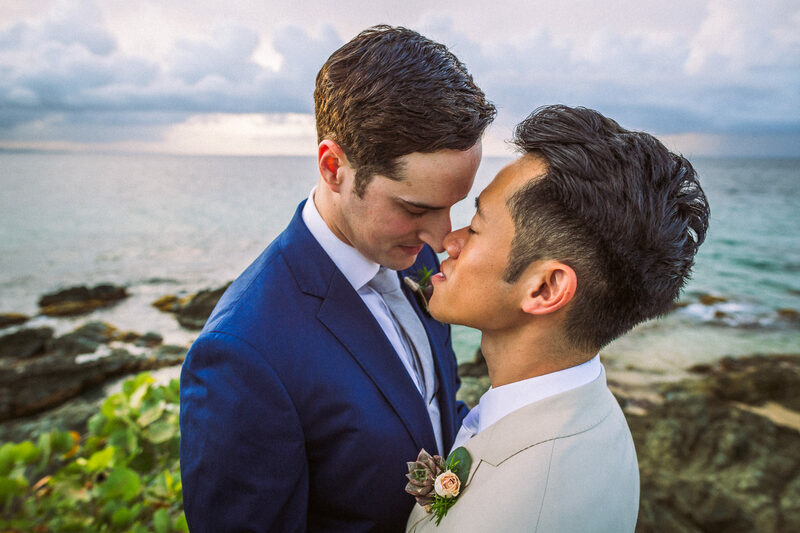 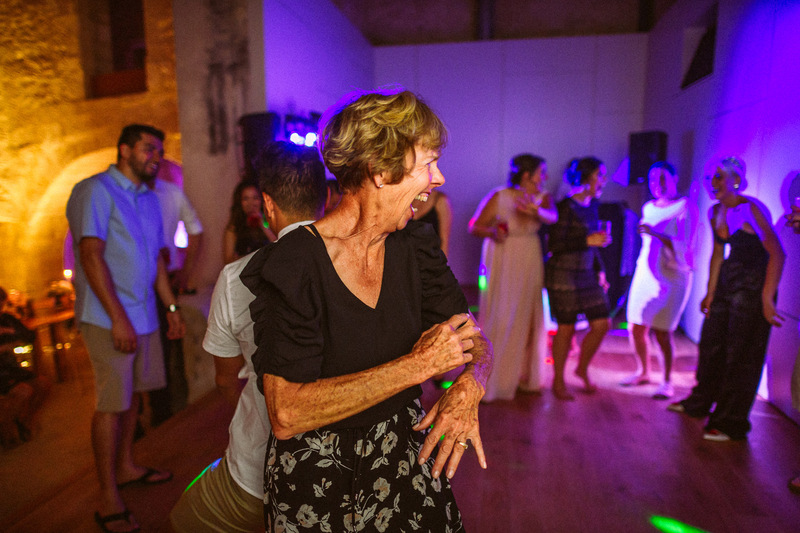 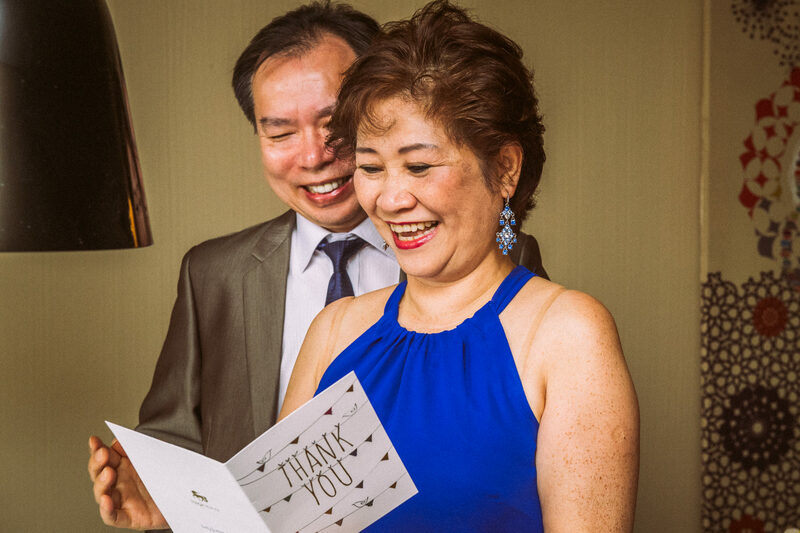 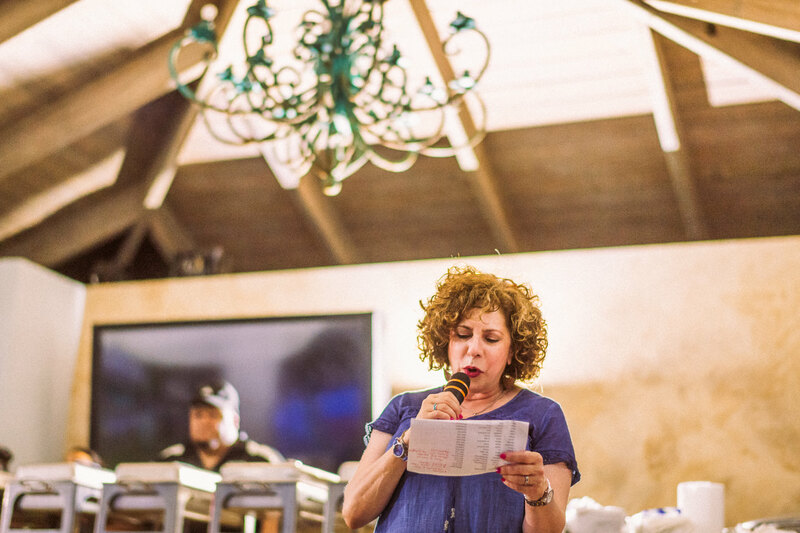 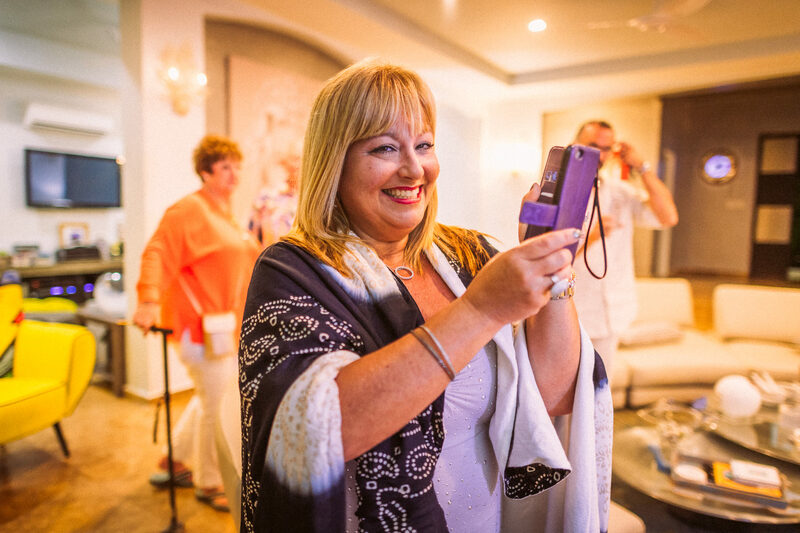 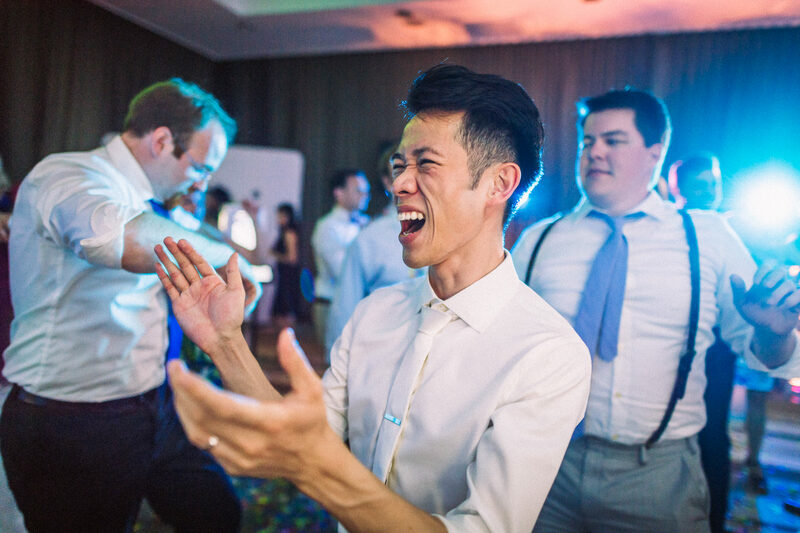 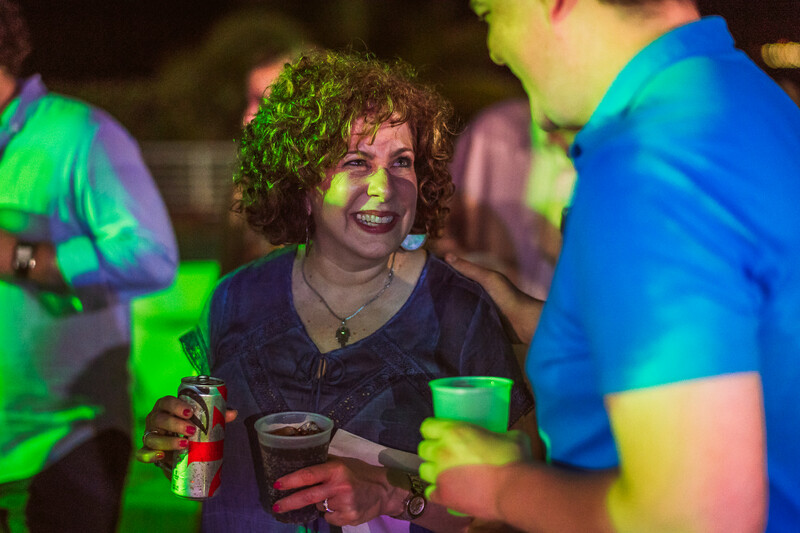 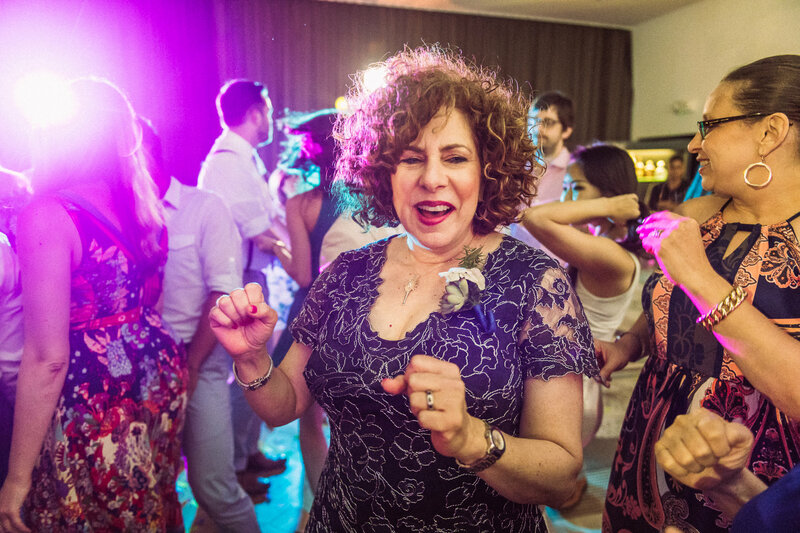 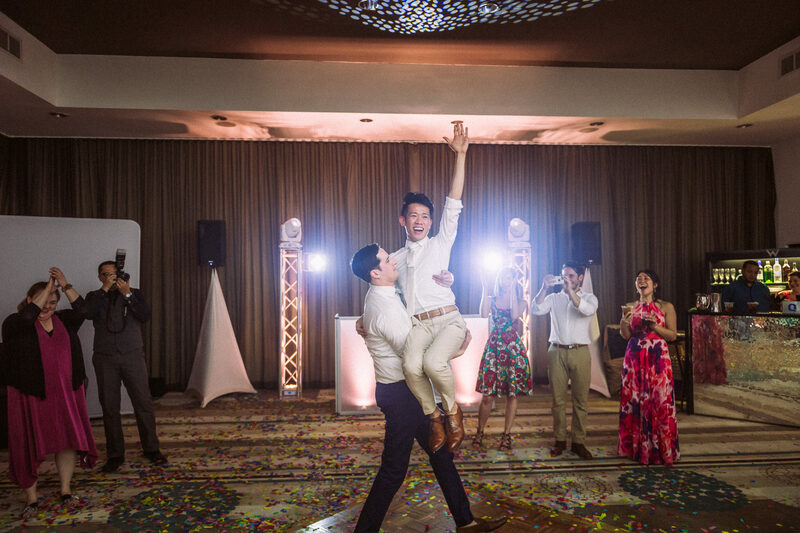 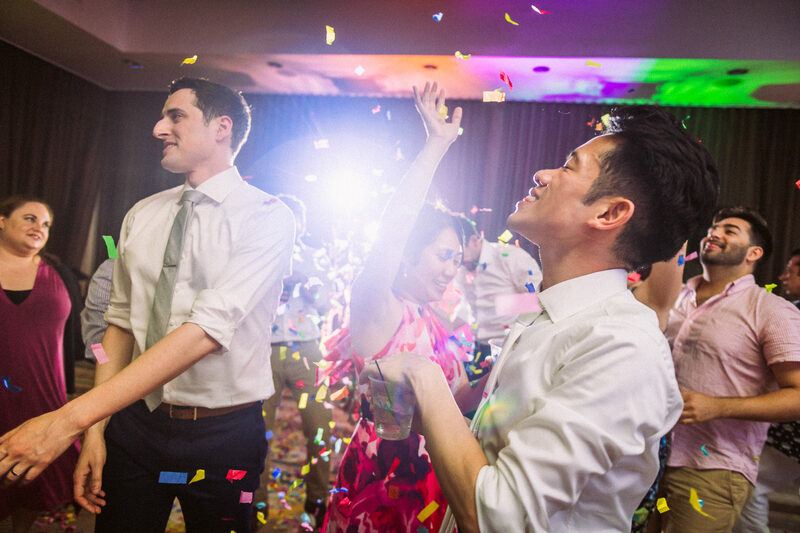 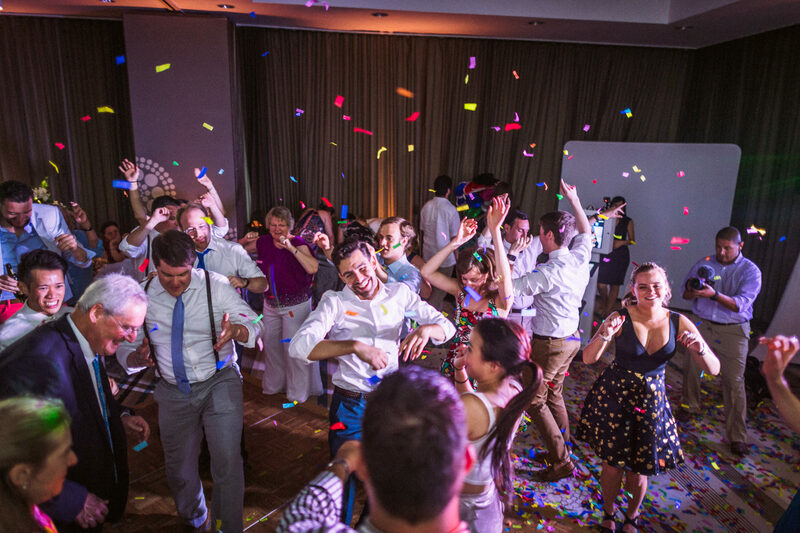 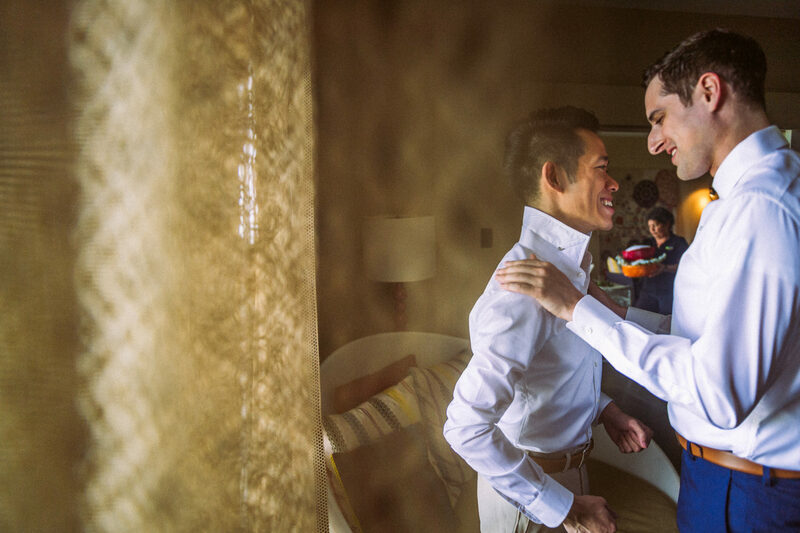 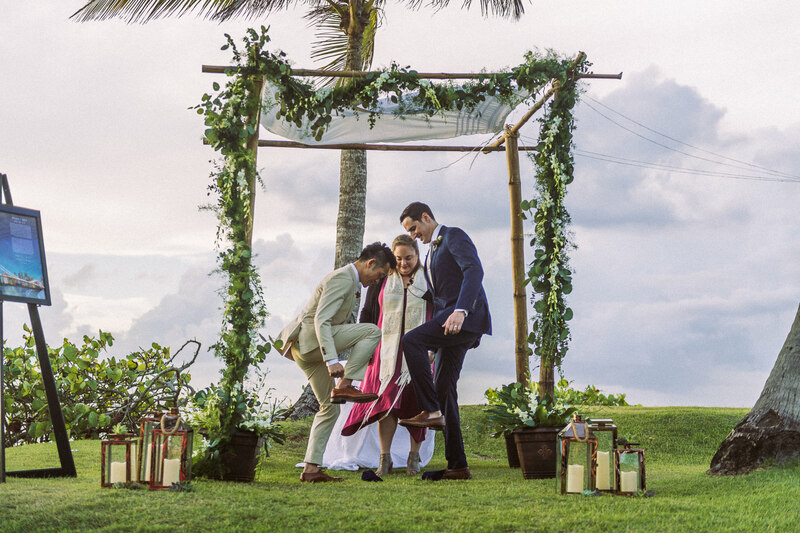 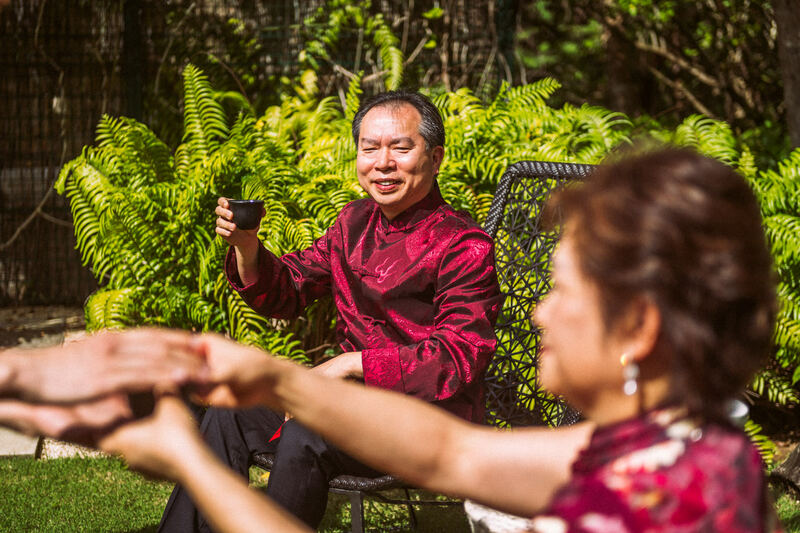 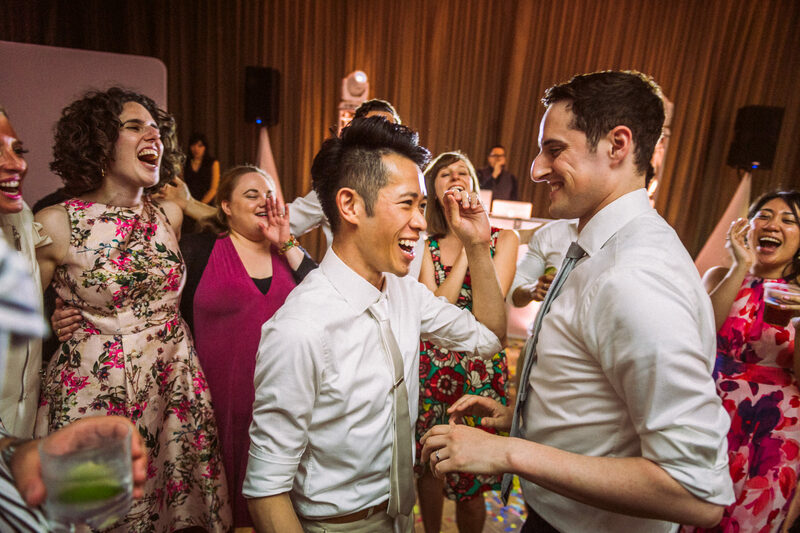 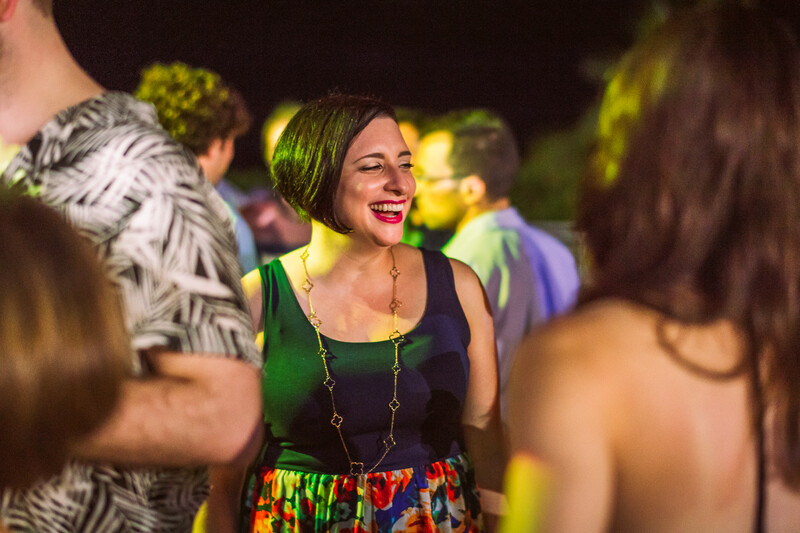 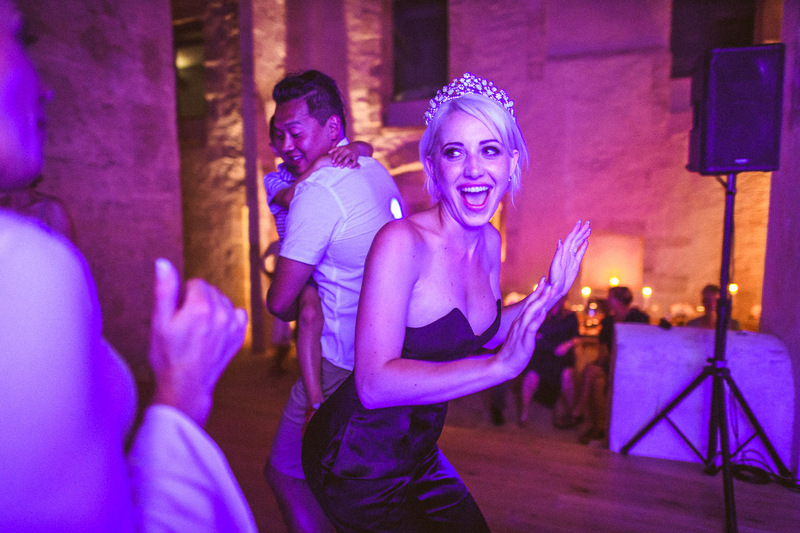 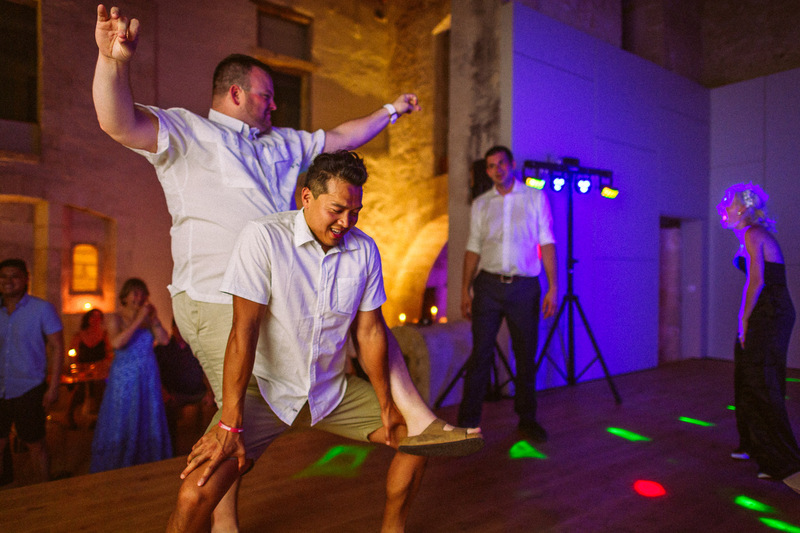 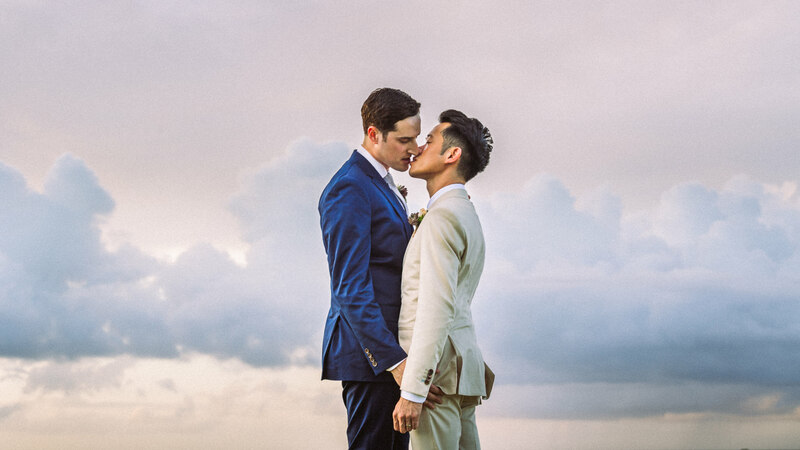 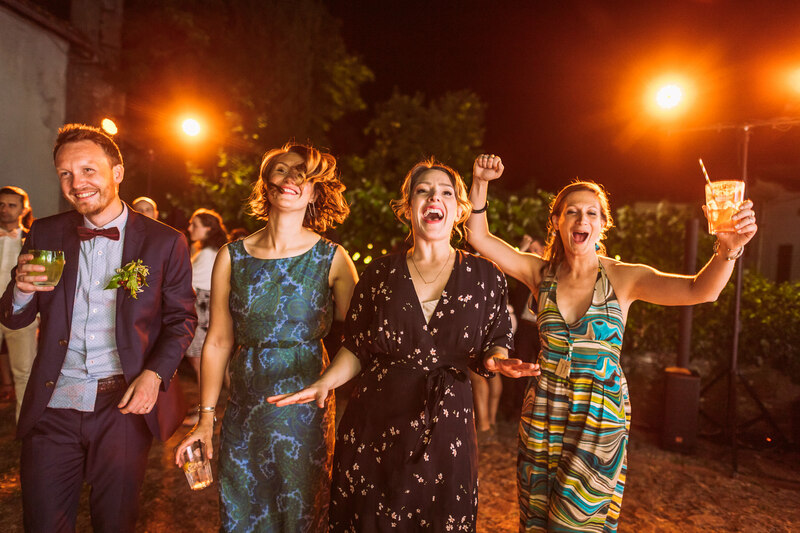 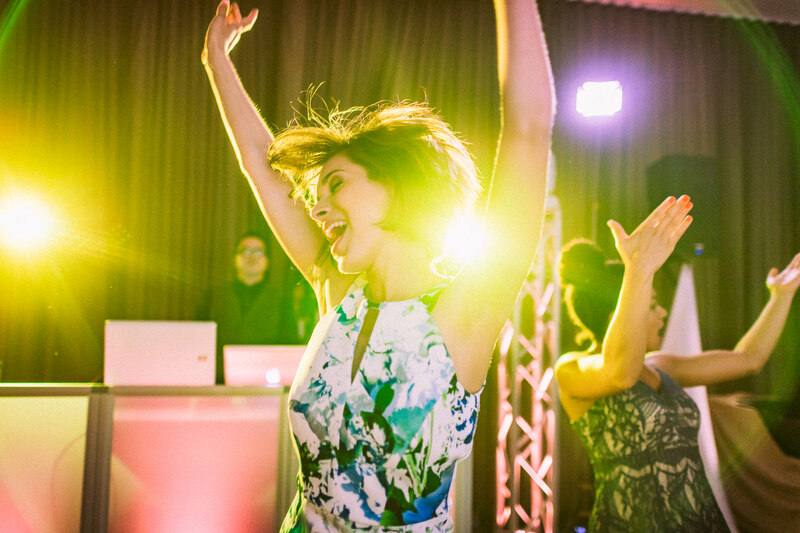 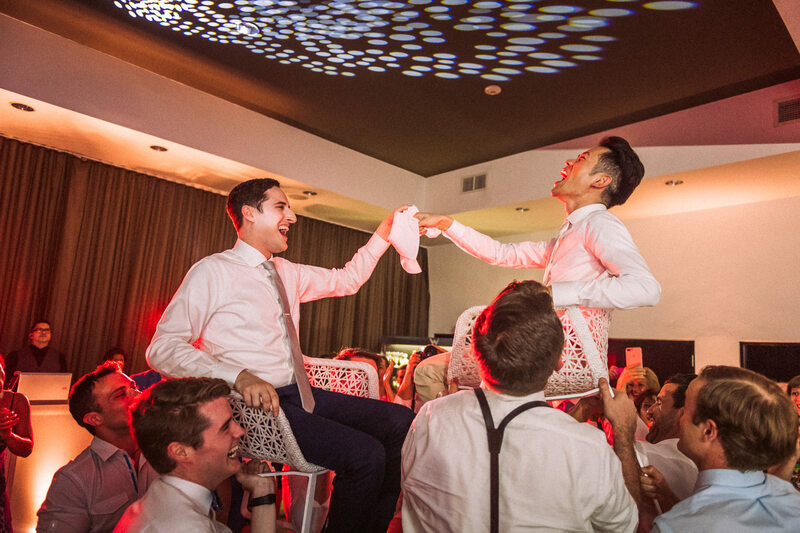 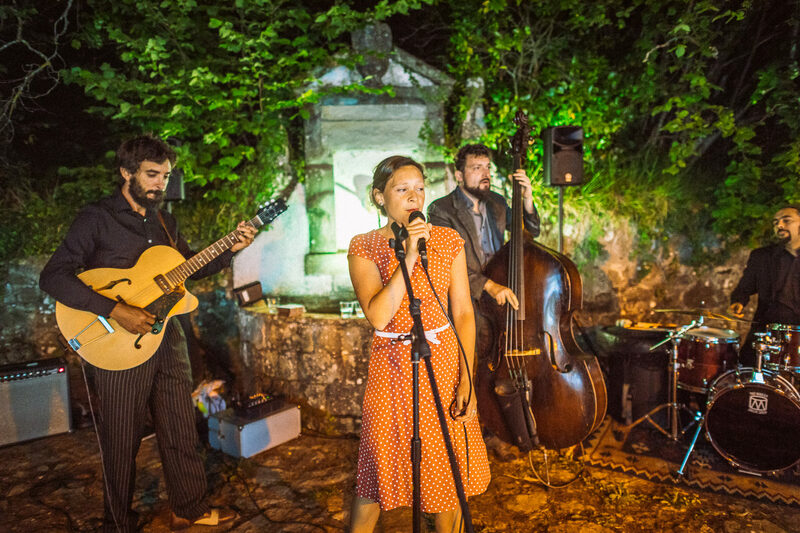 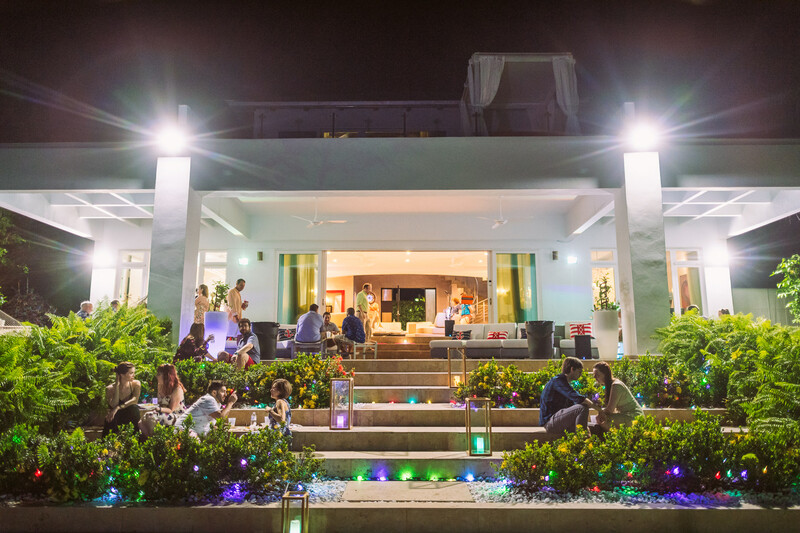 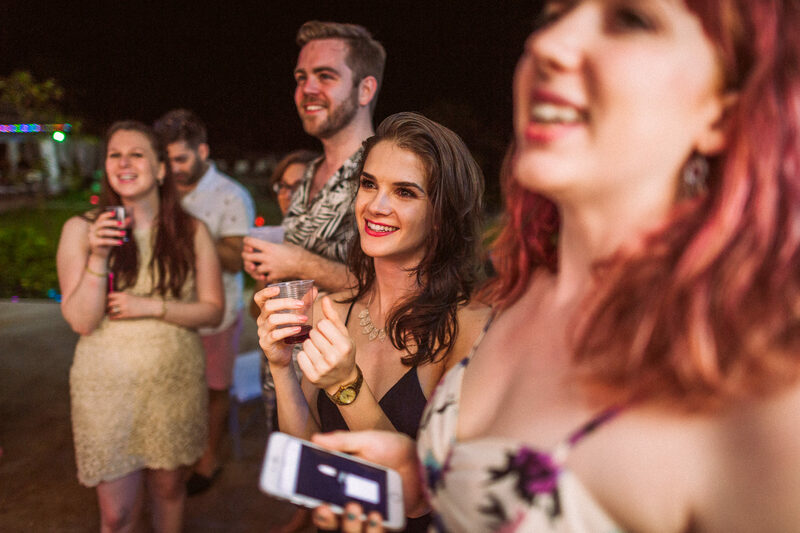 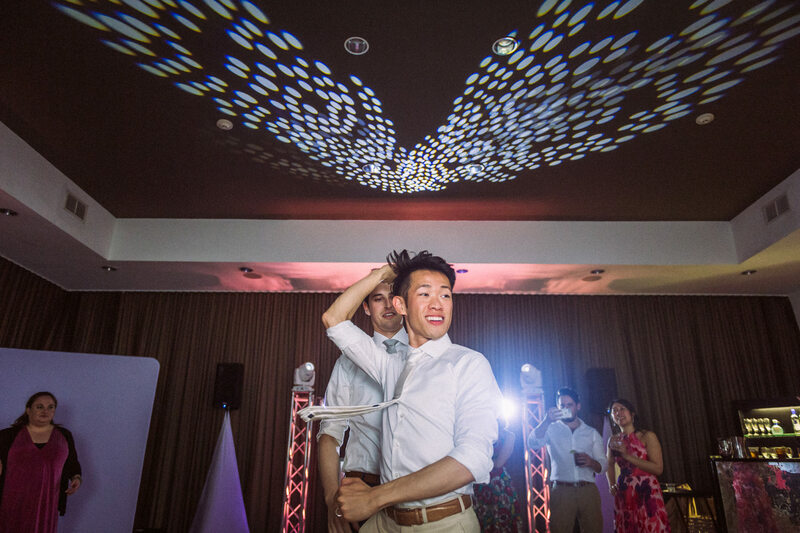 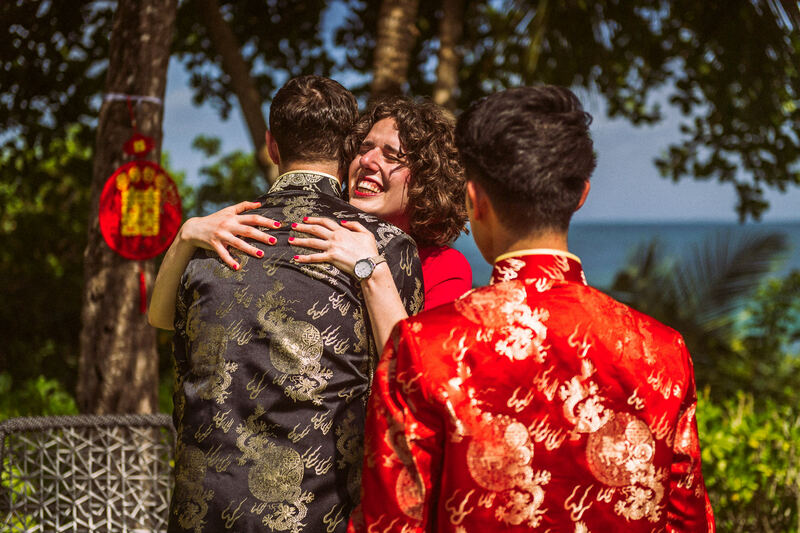 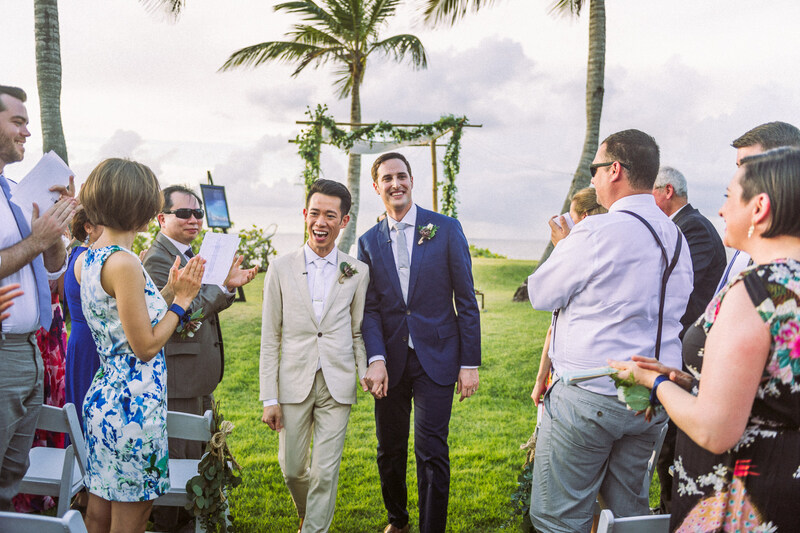 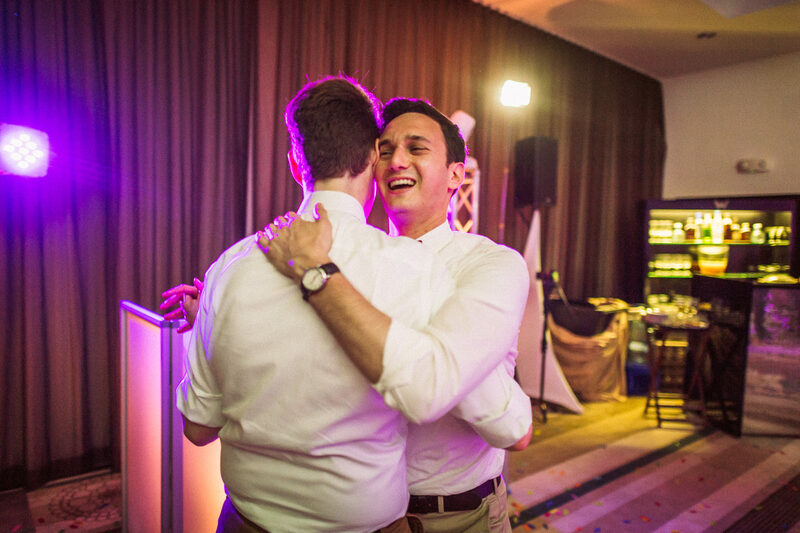 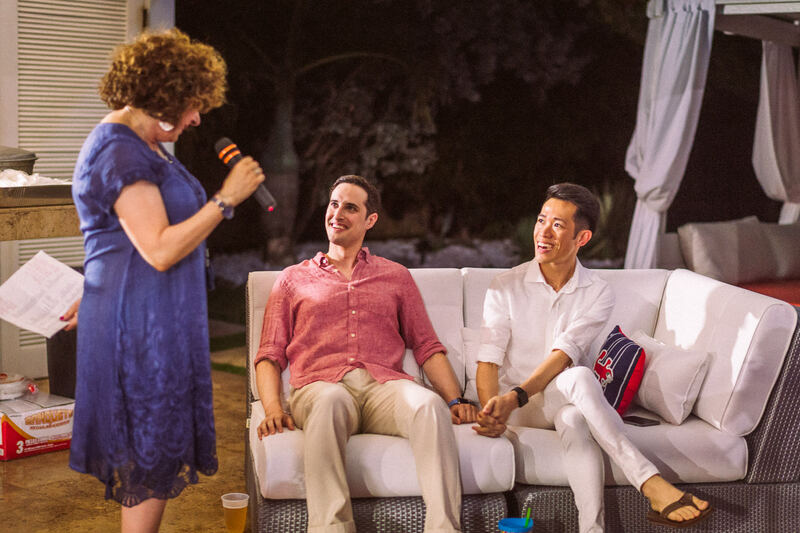 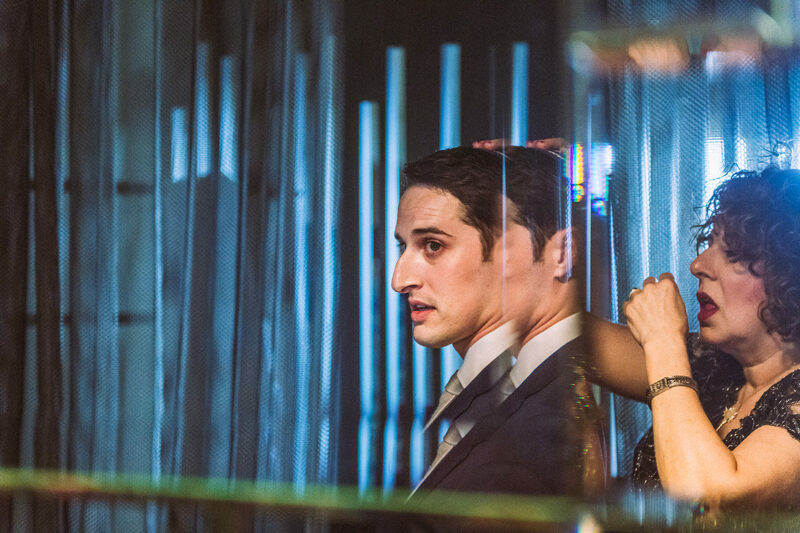 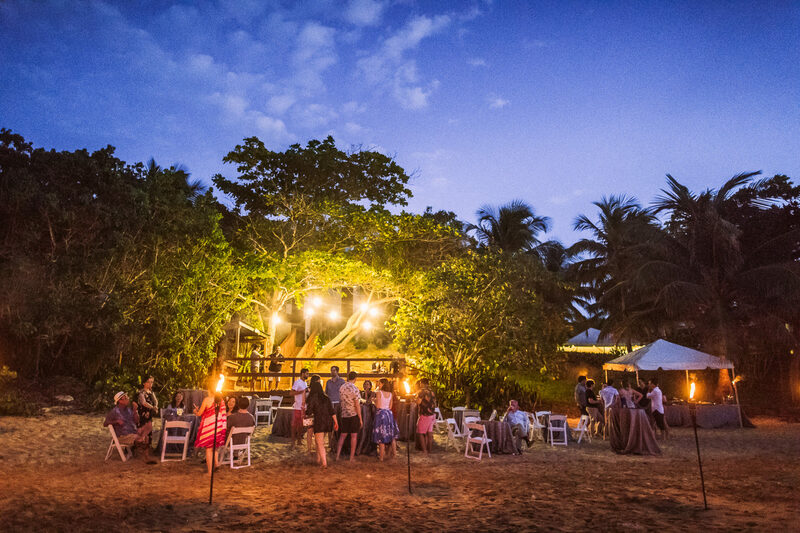 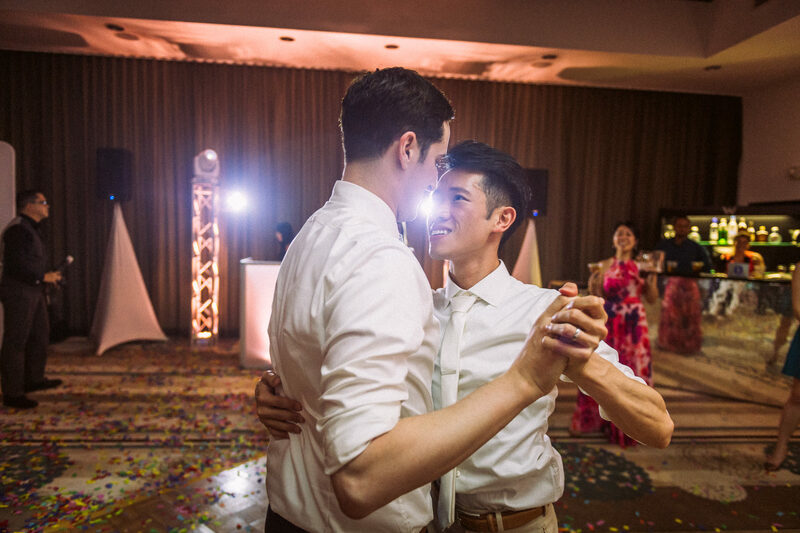 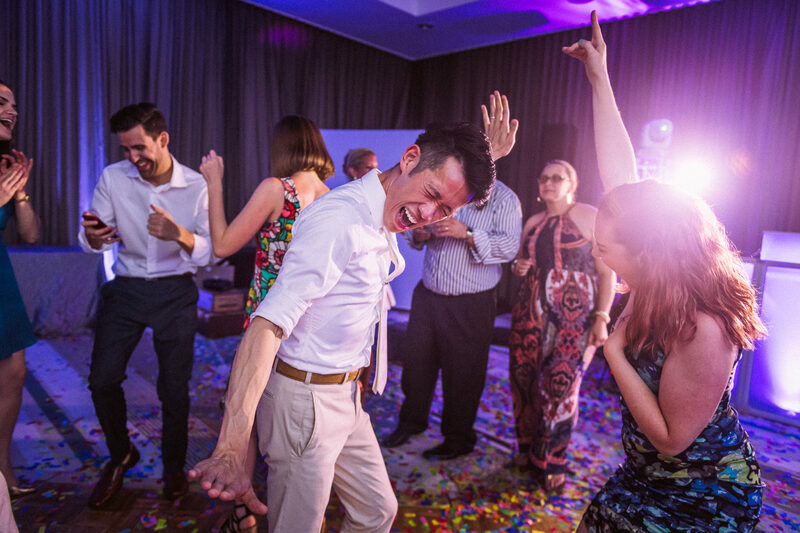 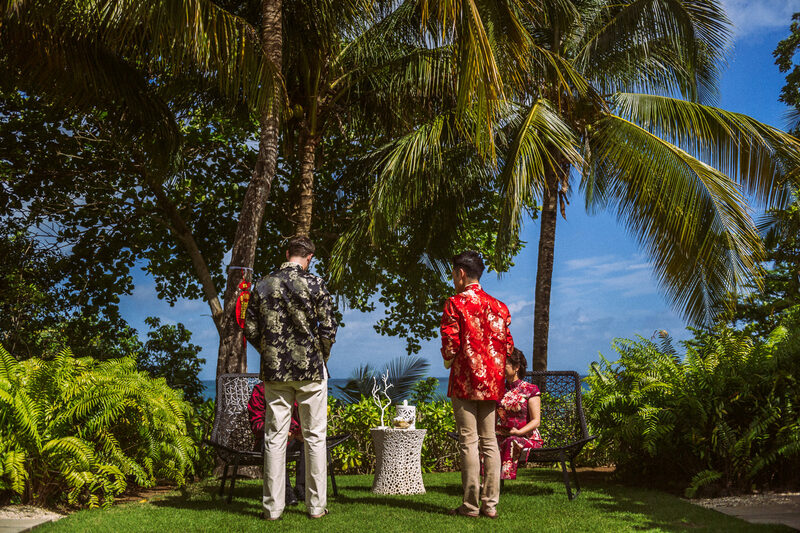 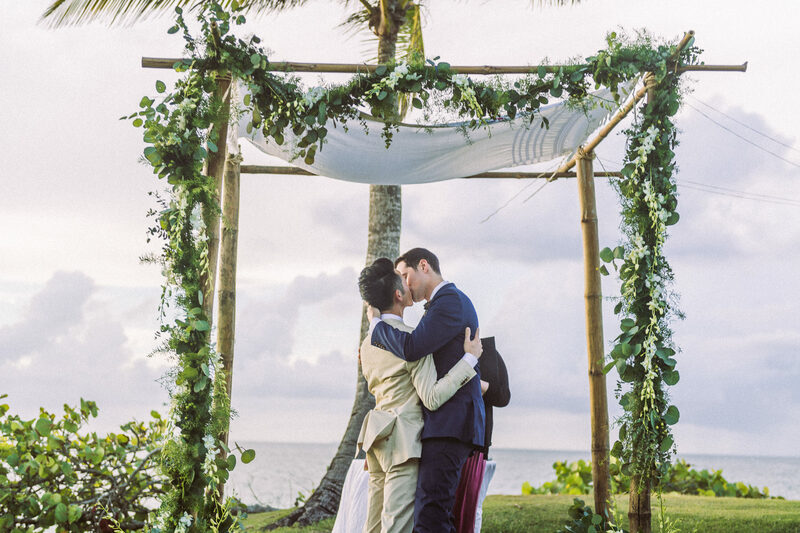 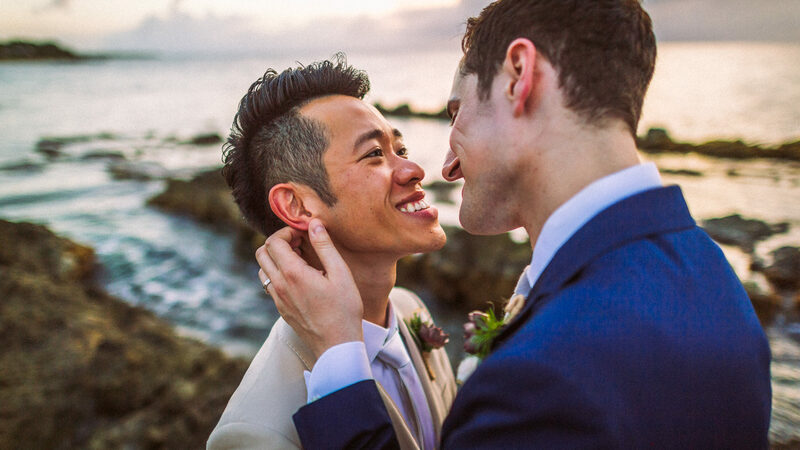 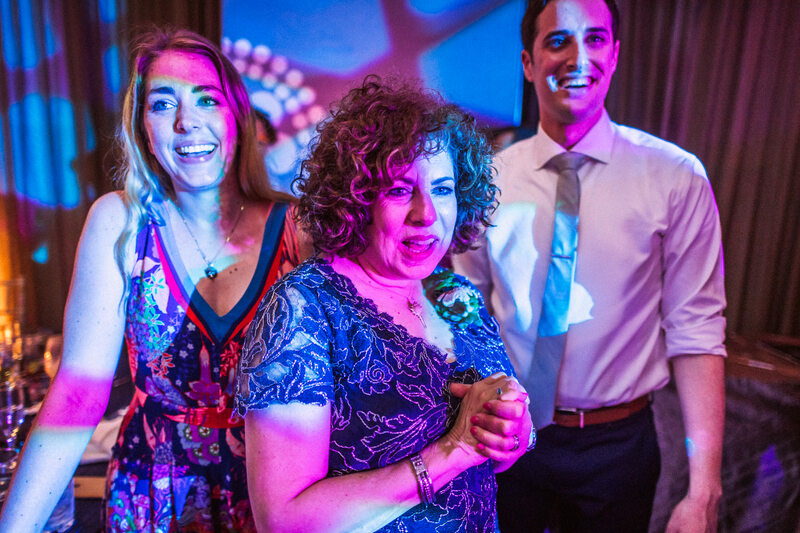 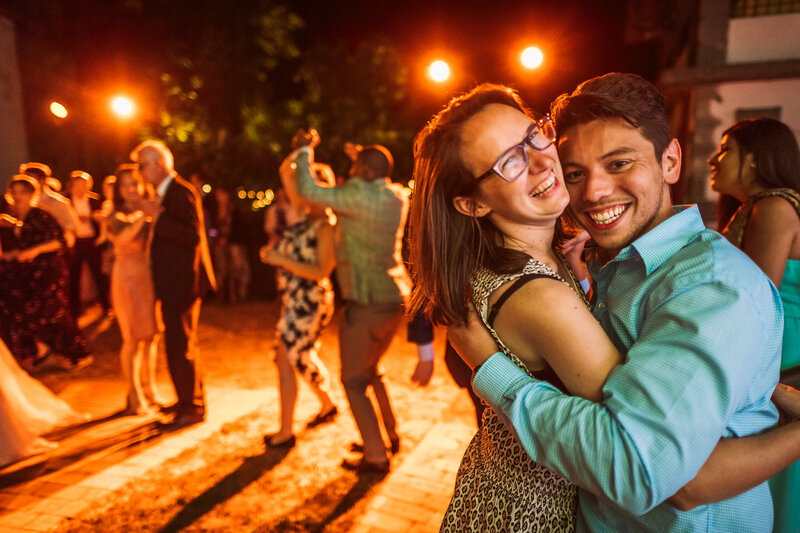 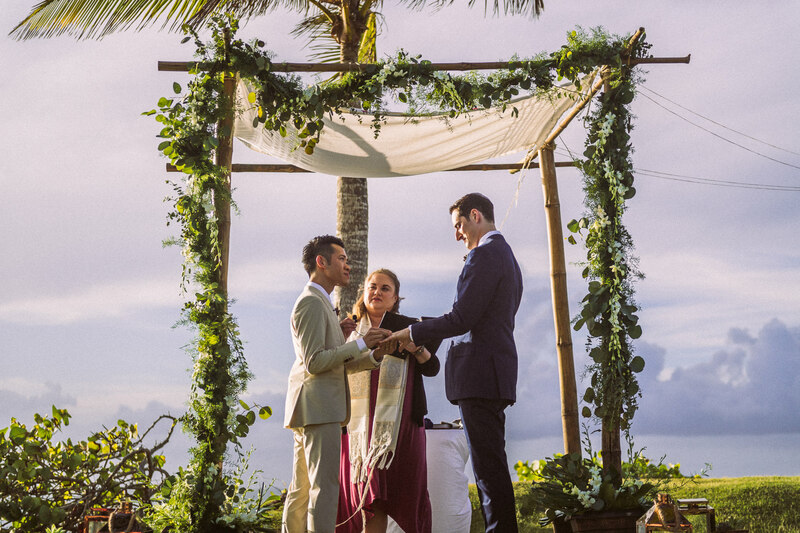 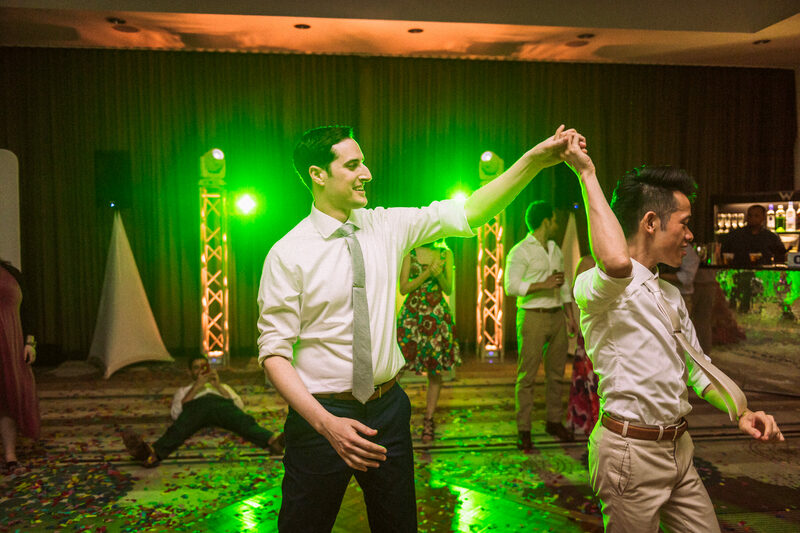 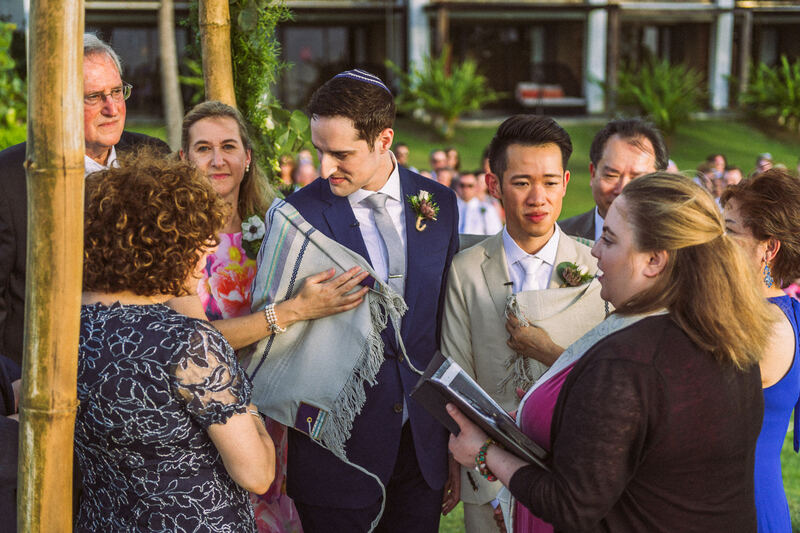 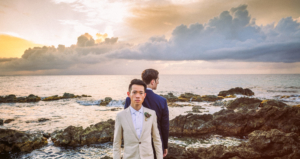 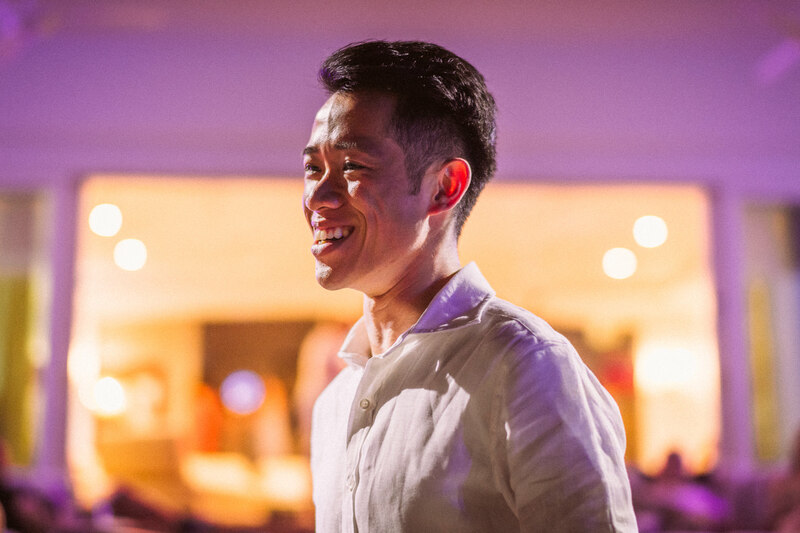 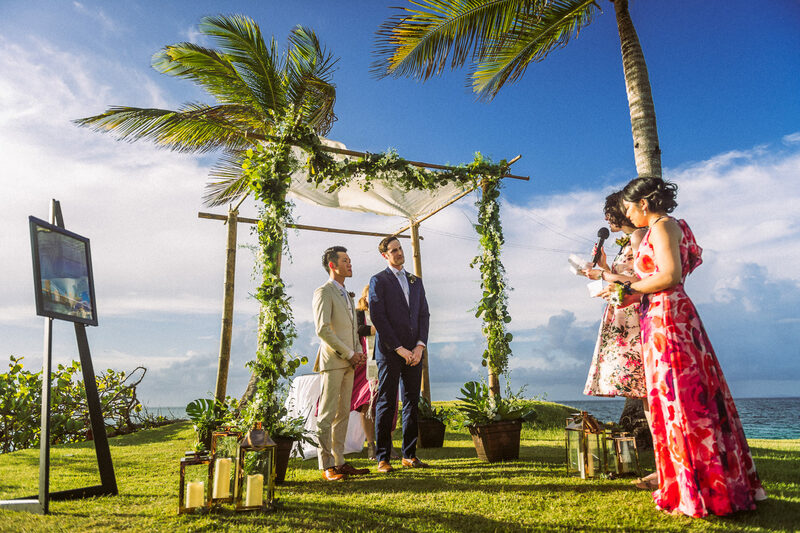 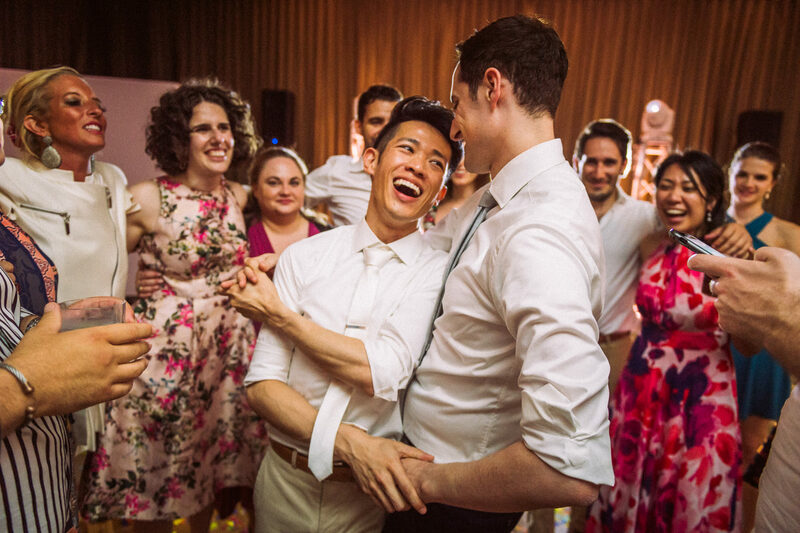 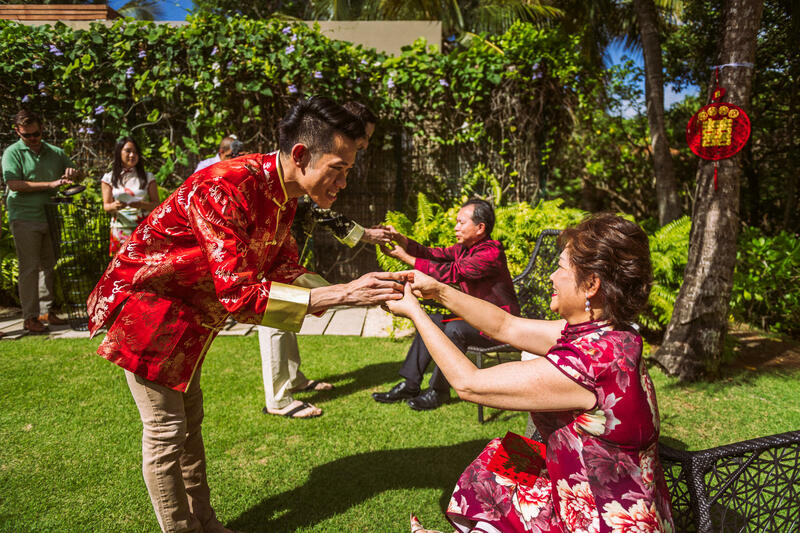 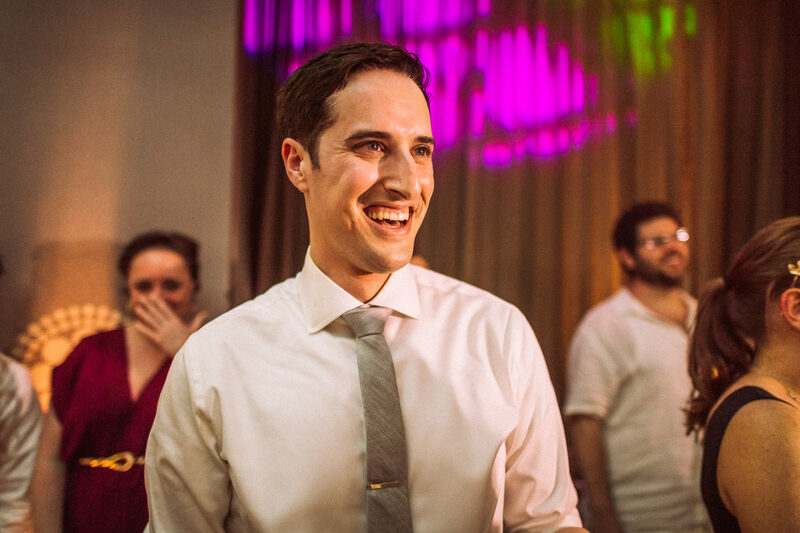 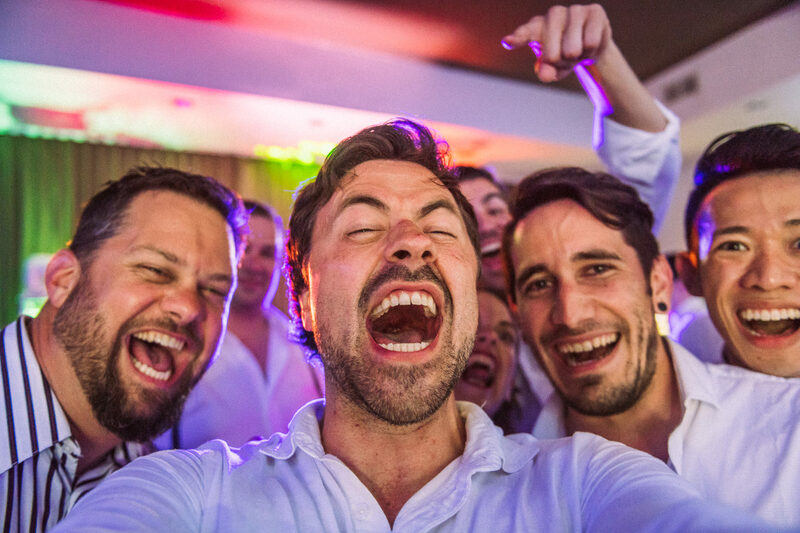 The weekend was rounded out by parties on the beach, dinner and music at a neighboring relative’s incredible domicile, both Chinese and Jewish cultural wedding traditions and A LOT of epic dance moves.